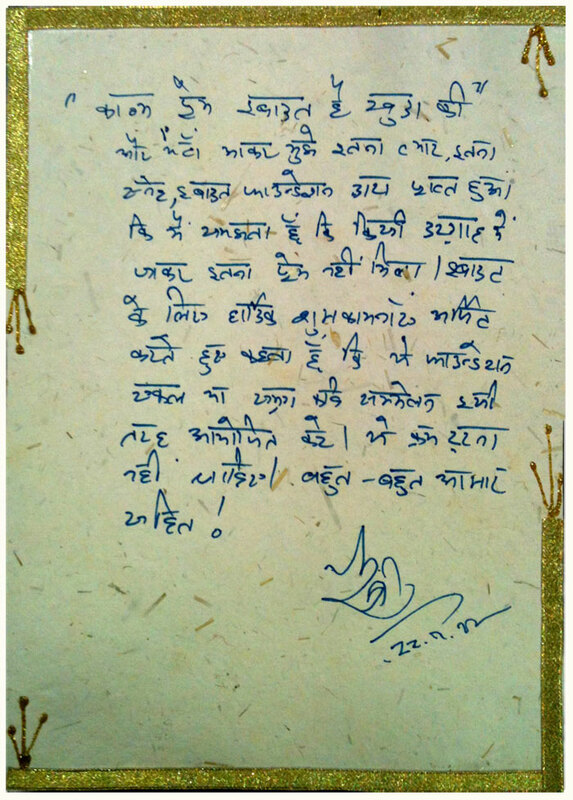 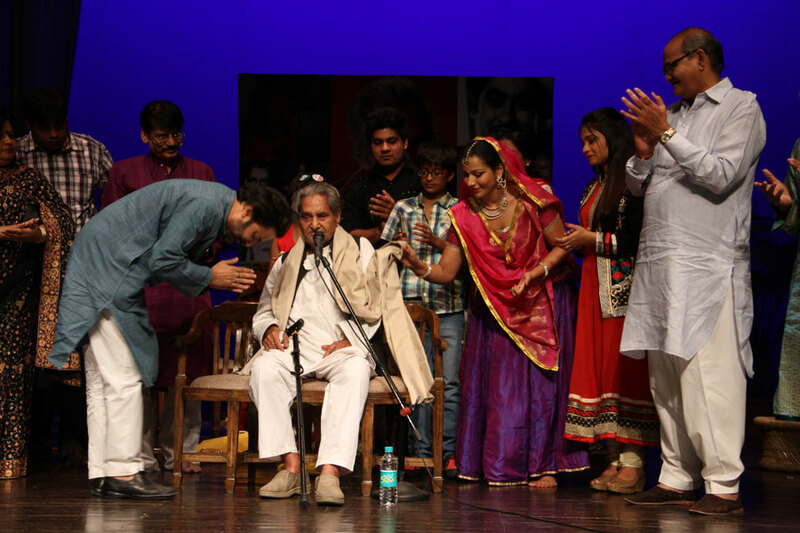 शायरी, कविता- चाहे किसी भी जुबां में हो-दिल और रूह से निकली हुई आवाज़ है. 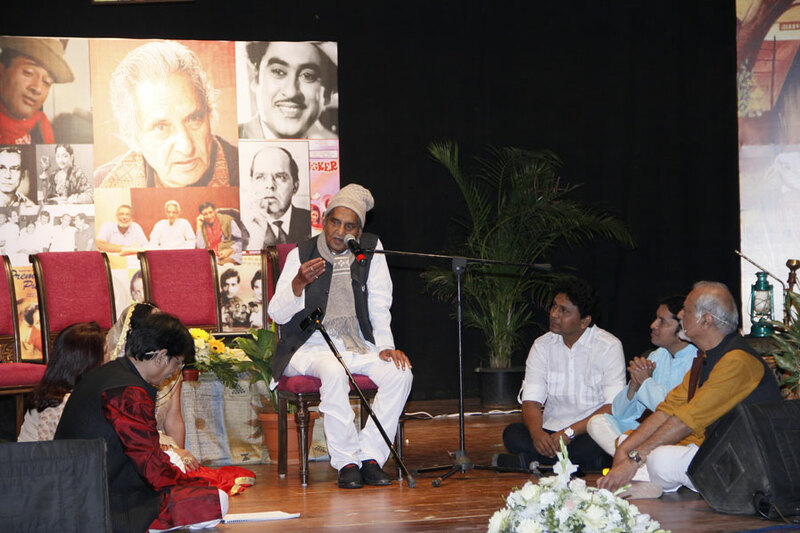 Poetry is the most beautiful verbal expression of human emotion. 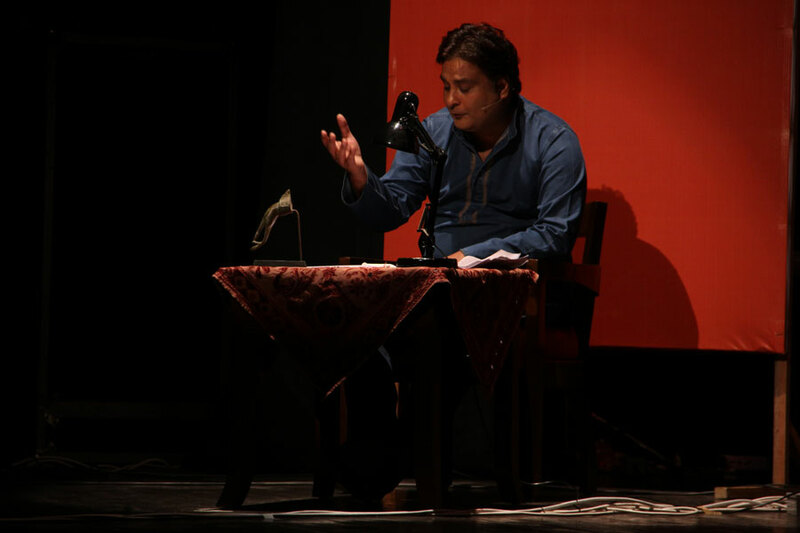 It is eternal; poetry written hundreds of years ago remains relevant even today. 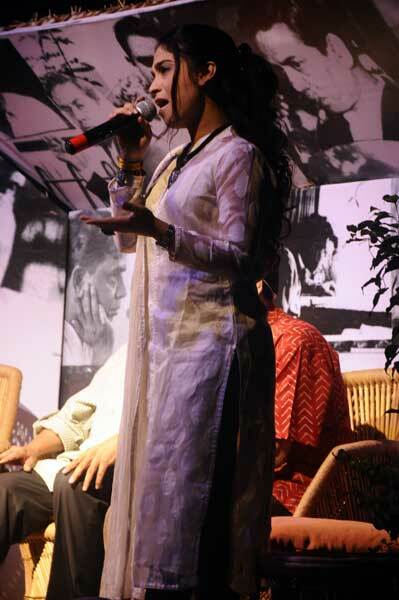 In fact, nothing moves the human heart as does poetry. 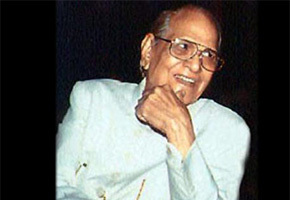 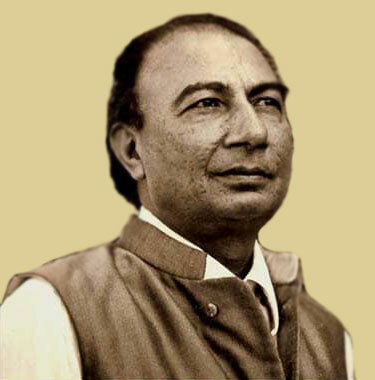 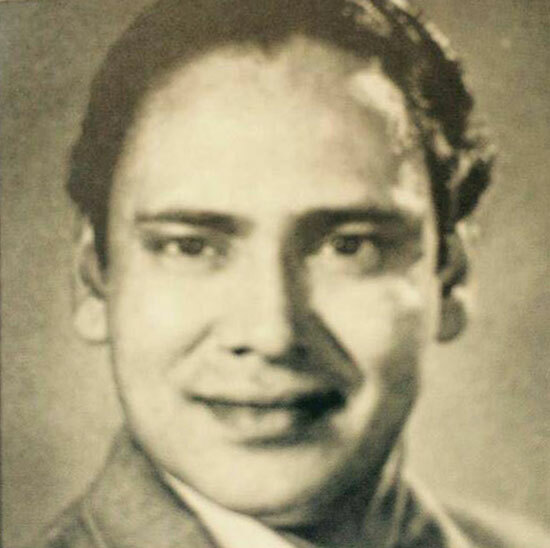 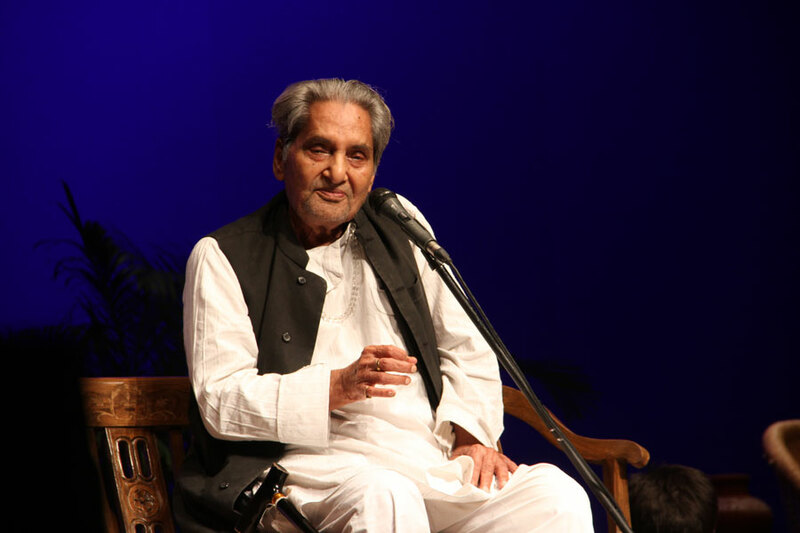 While we are touched by poetry, especially that which has become popular through cinema, and while we eulogise the music directors and singers, most of us have virtually no appreciation of the real genius-the shaayar, because of whom such songs are alive even decades later. 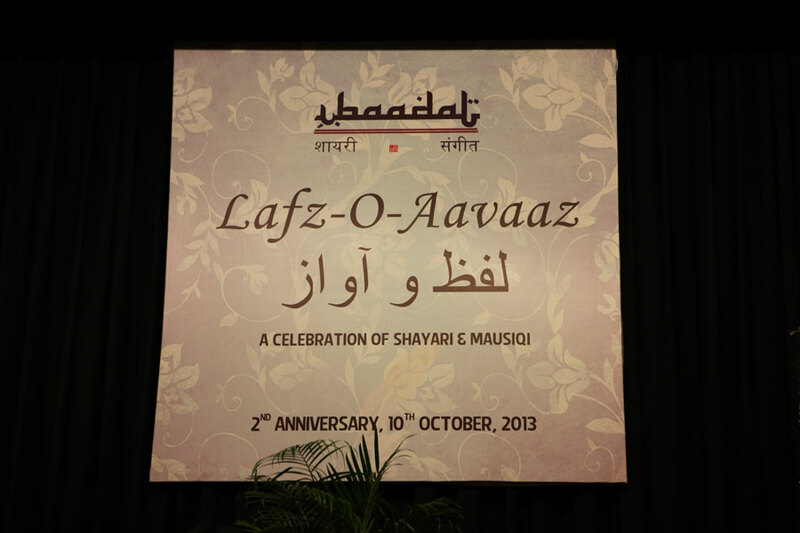 Our aim at Ibaadat is to work towards reducing this injustice. 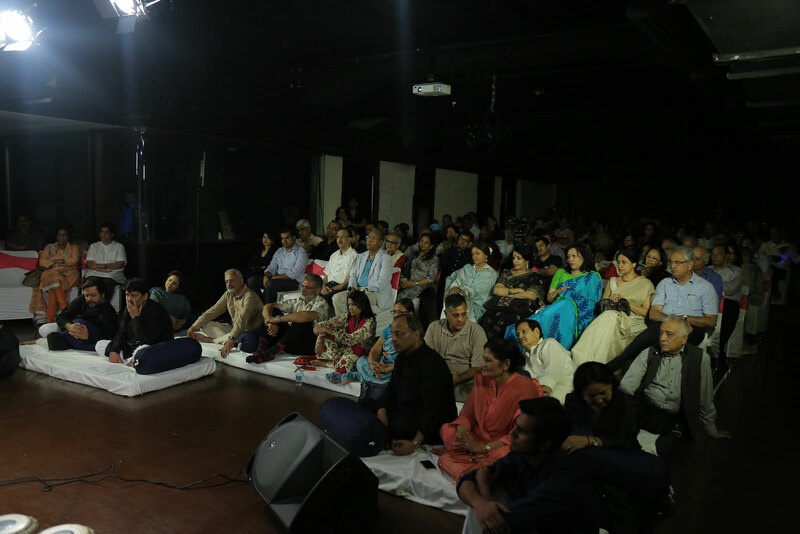 It is our effort to bring to the centre stage those who are the soul- the ruuh- and try and provide them their rightful place in the hearts of all poetry and music lovers. 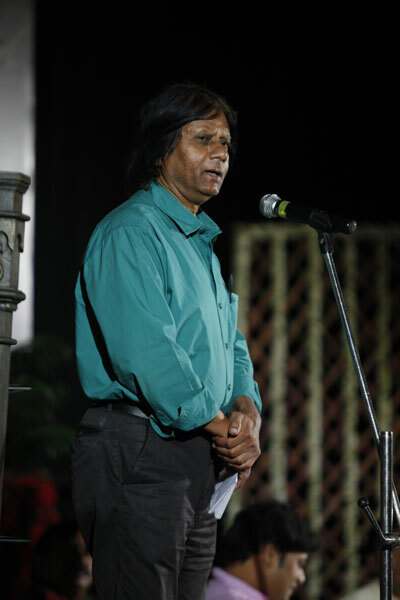 It is also our humble effort to try and encourage and provide whatever assistance and support we can to poets and artistes who keep the flame of poetry burning bright. 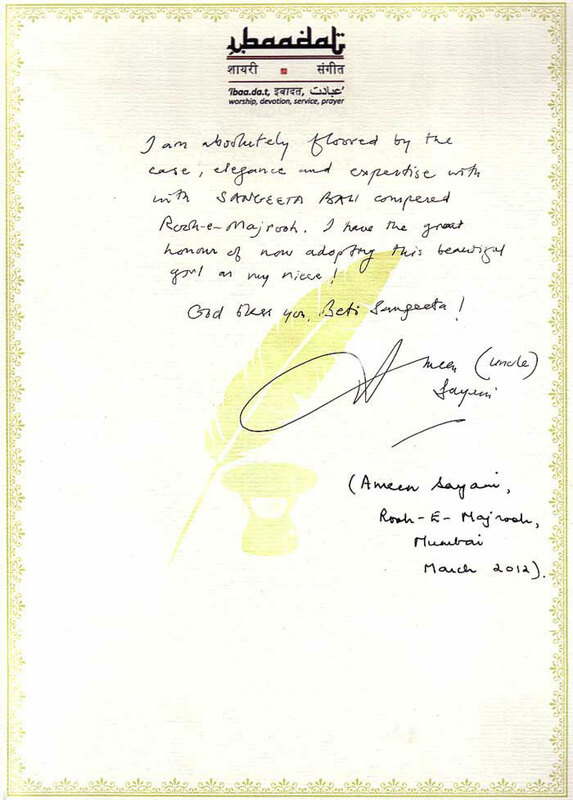 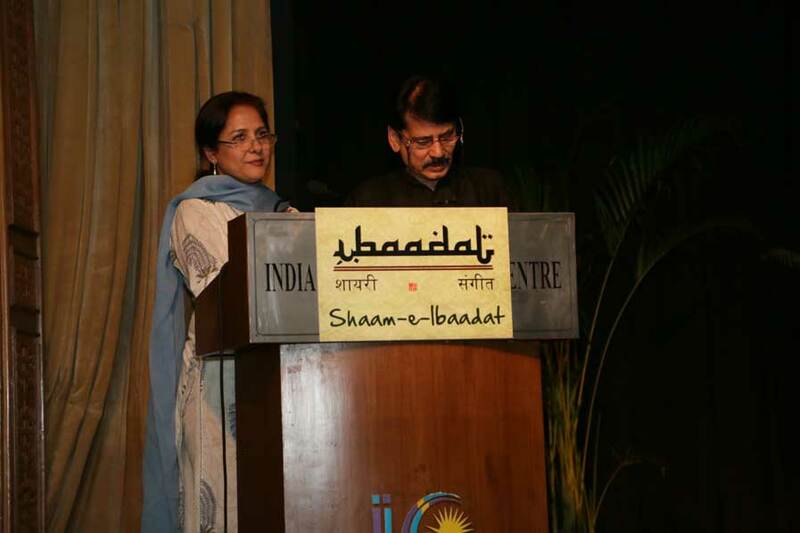 The activities of Ibaadat are funded through the corpus and continuing contributions of the Trustees, through contributions received from friends, and through advertisements in the Programme Souvenirs. 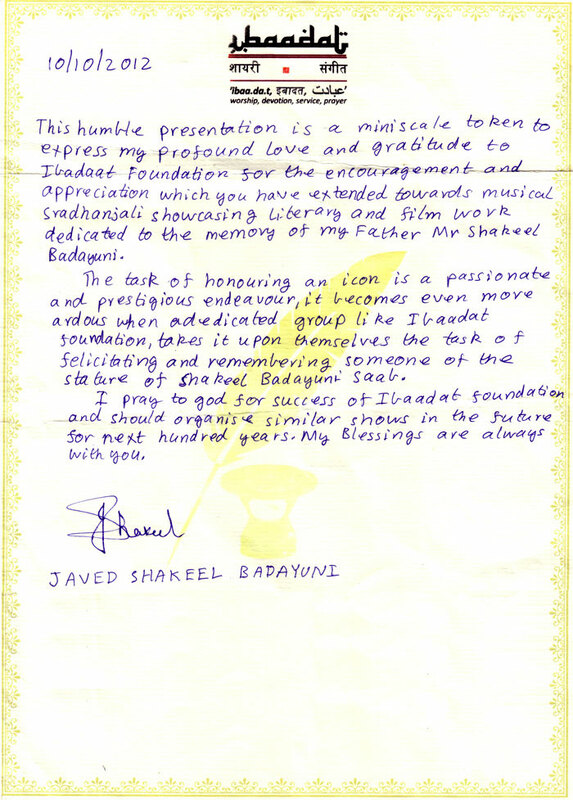 (Ibaadat is not open to sponsorships and ticket sales). 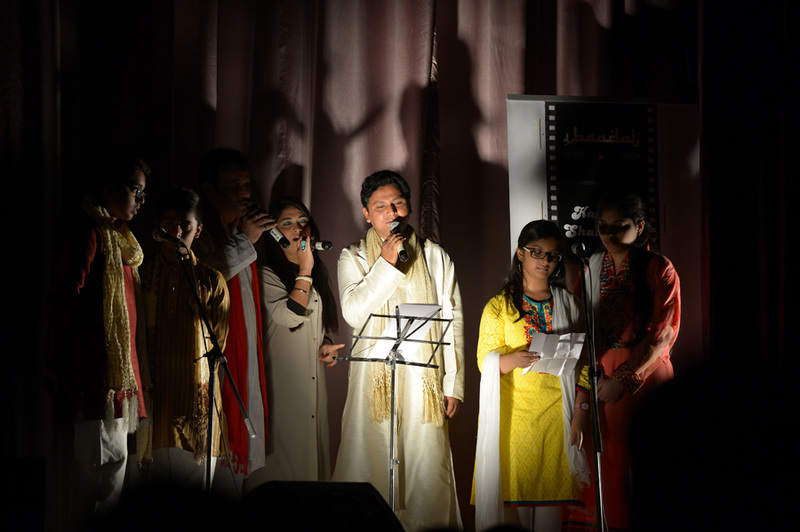 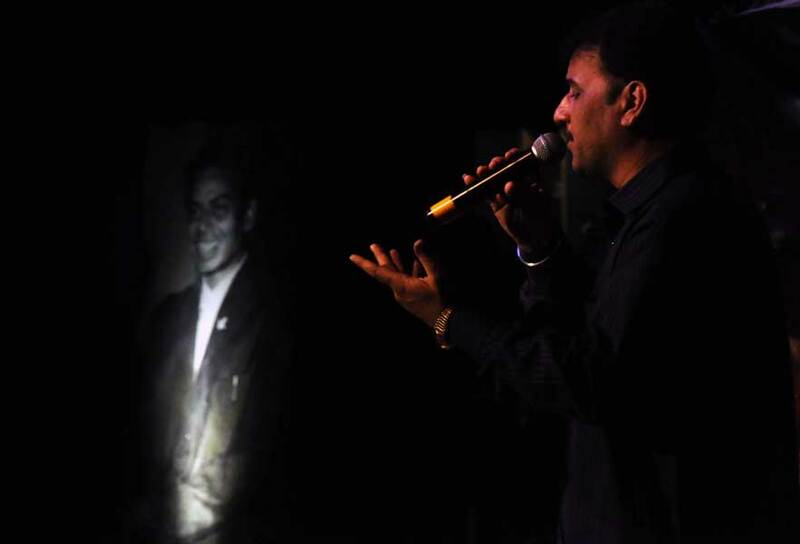 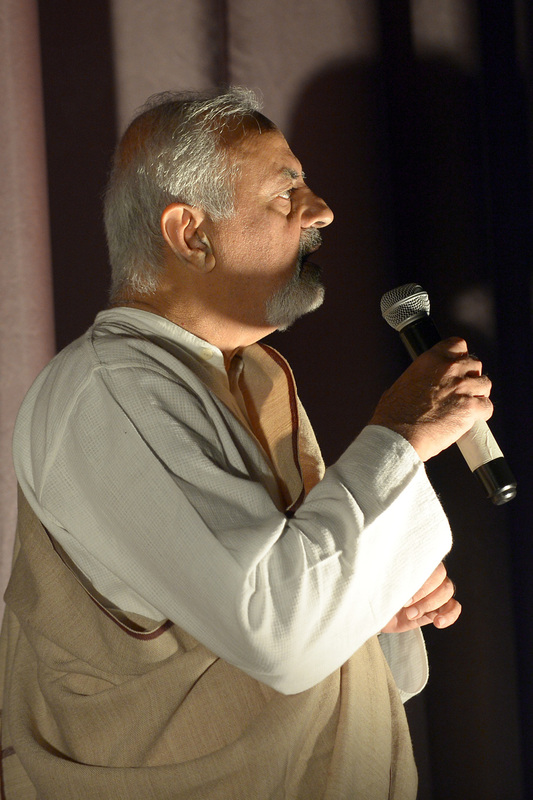 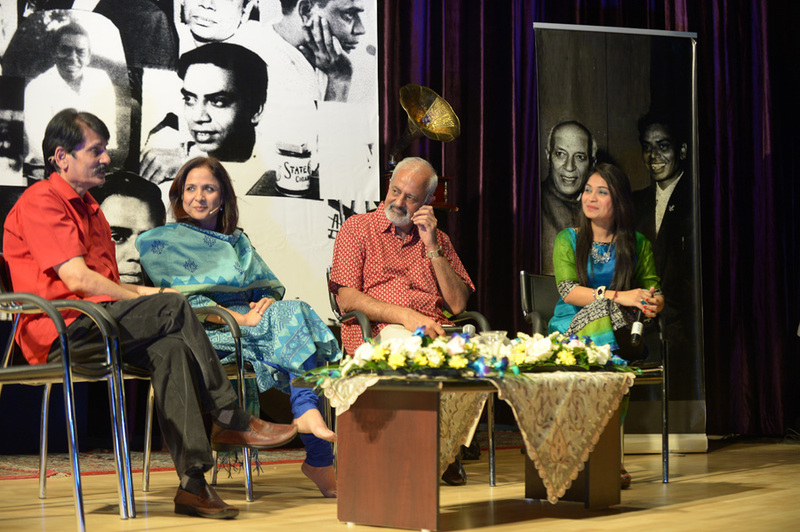 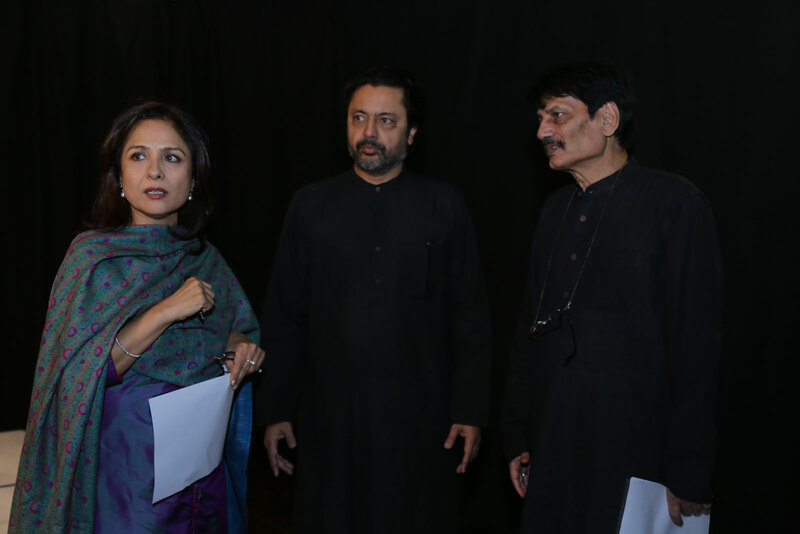 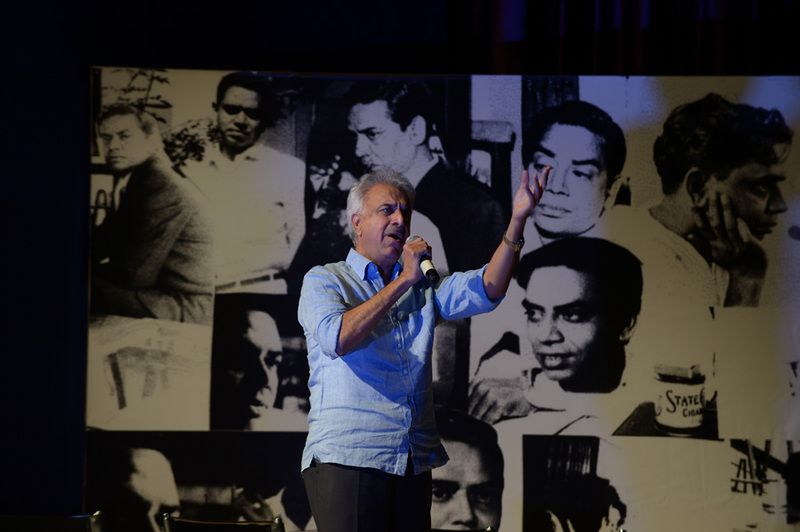 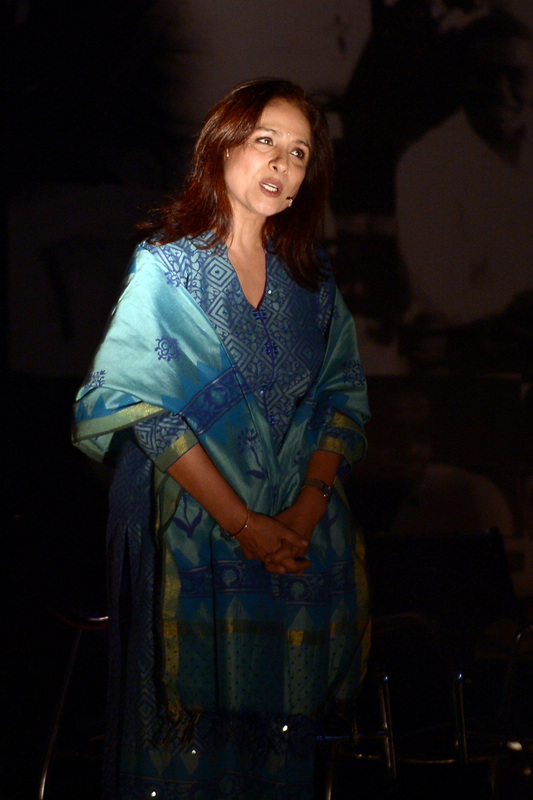 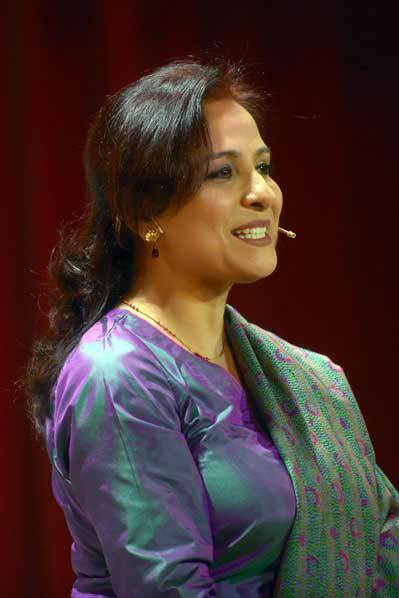 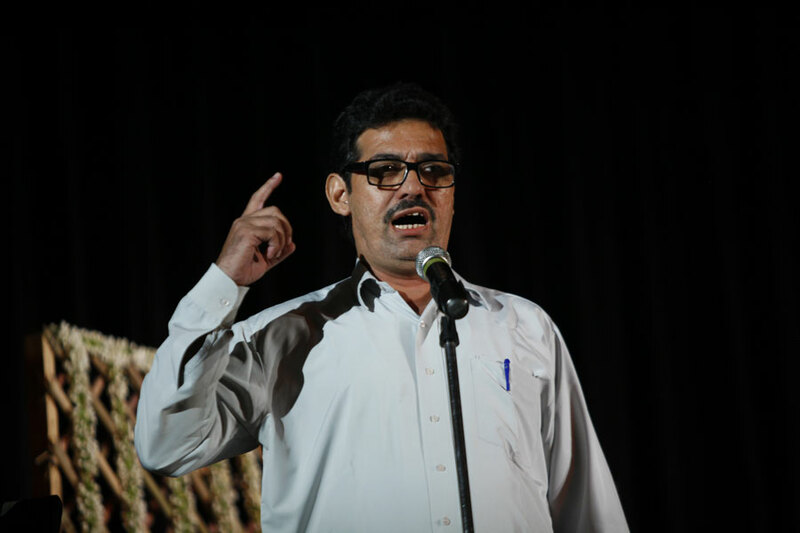 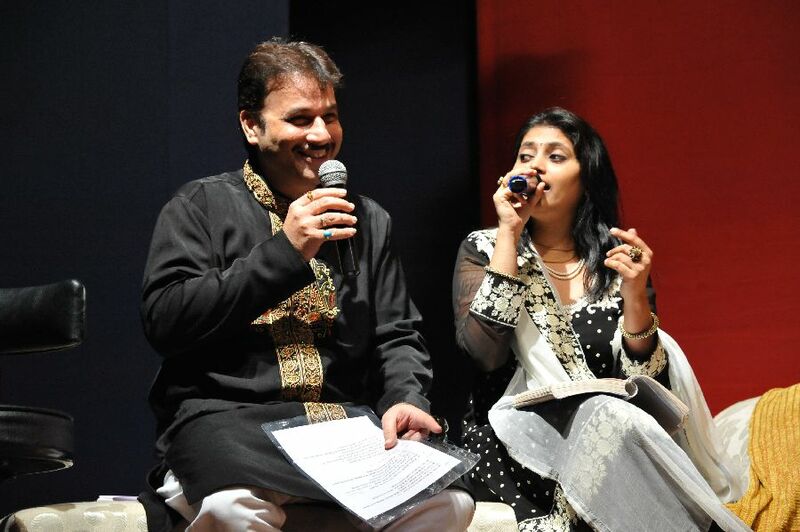 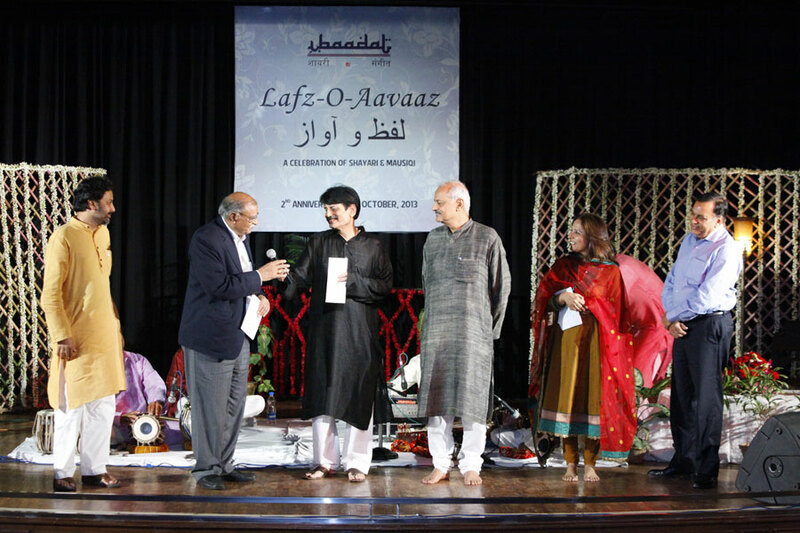 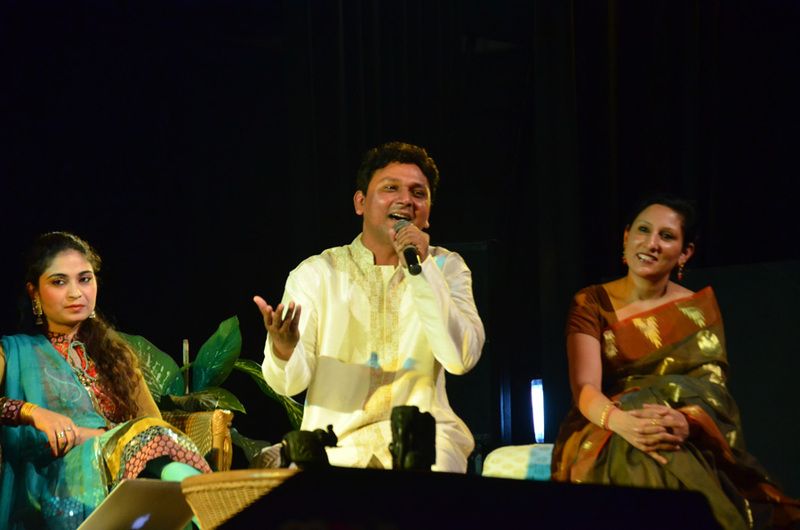 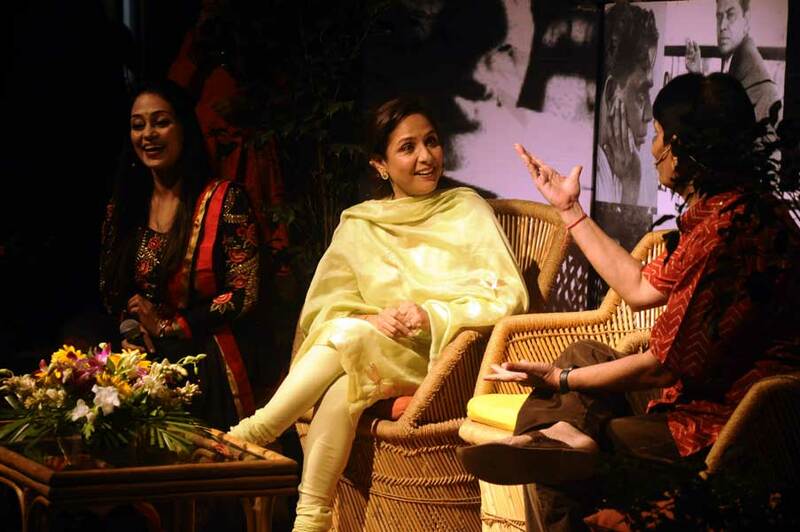 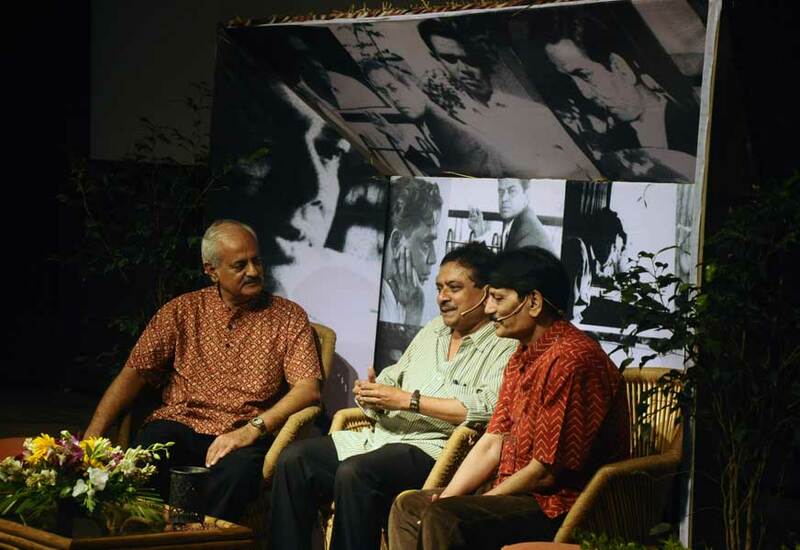 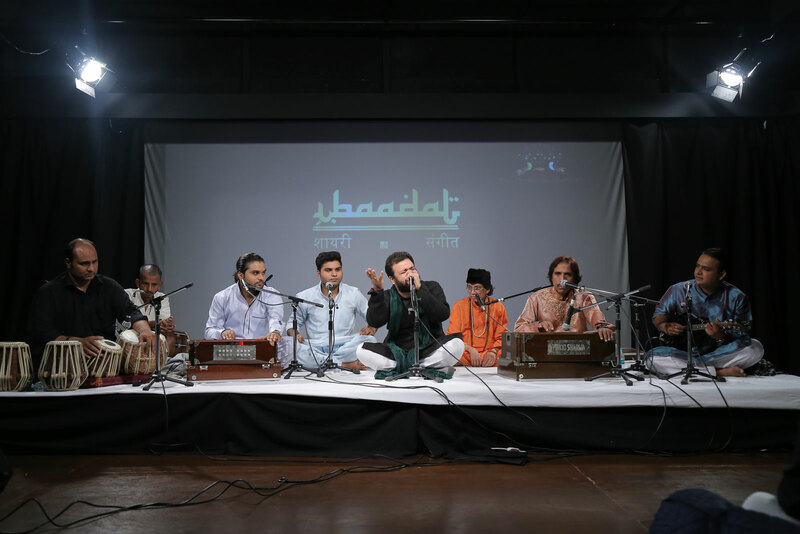 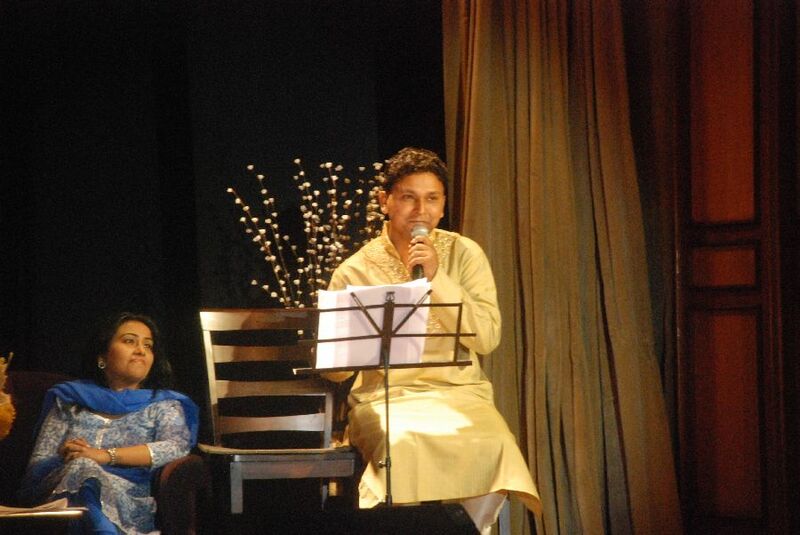 Each Ibaadat program, showcasing a particular poet, is a uniquely-conceived 2-and-a-half-hour musical drama, in an informal setting of real people with a passion for poetry and music, who meet and talk about his life and work. 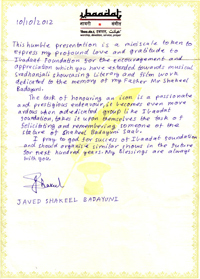 Underlining their conversation is the social and cultural context of his life. 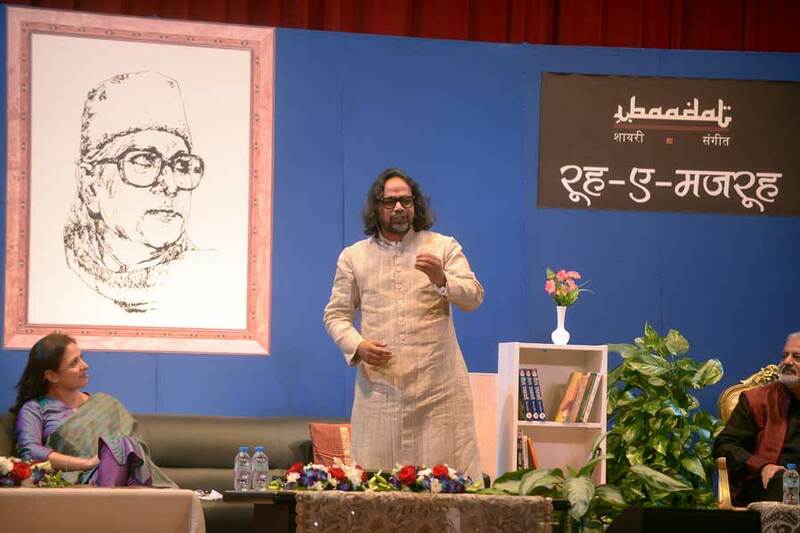 The key idea behind this concept is to educate, as also entertain, the audience with episodes of the poet’s life and help them in understanding the depth of his work. 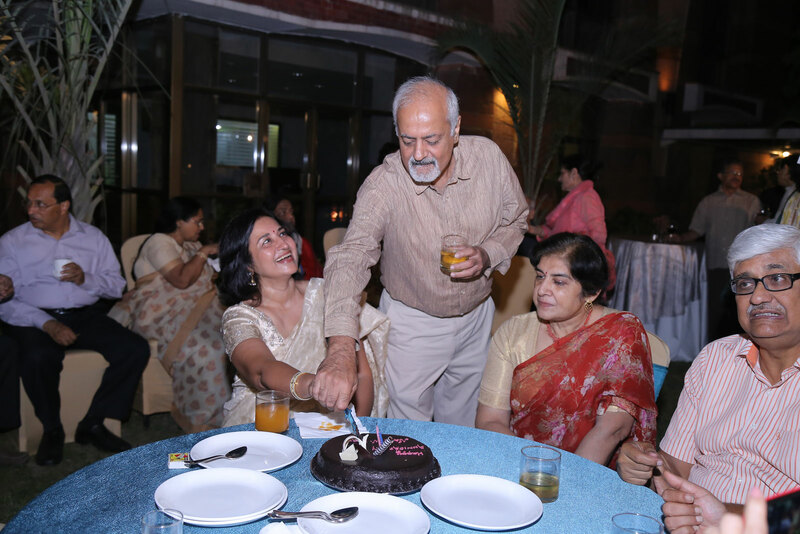 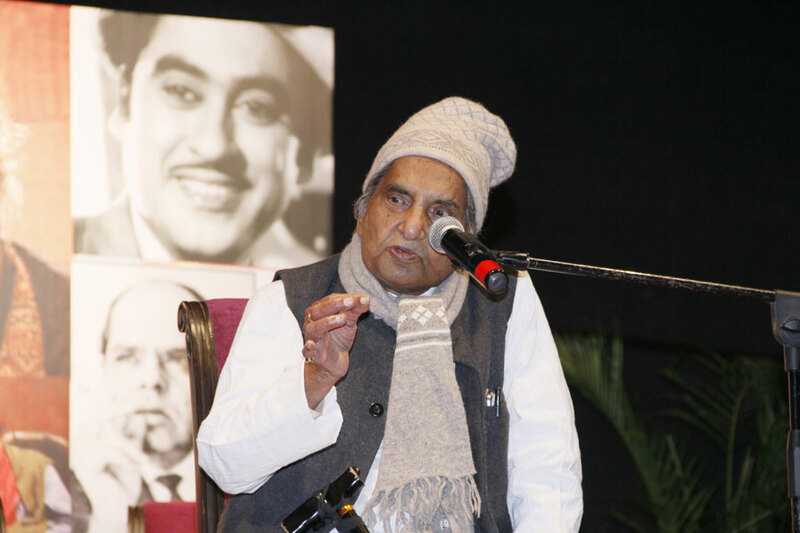 Extensive research on each poet is done over nearly a 12-month period, including reading the entire body of his work and meetings with the poet’s family members. 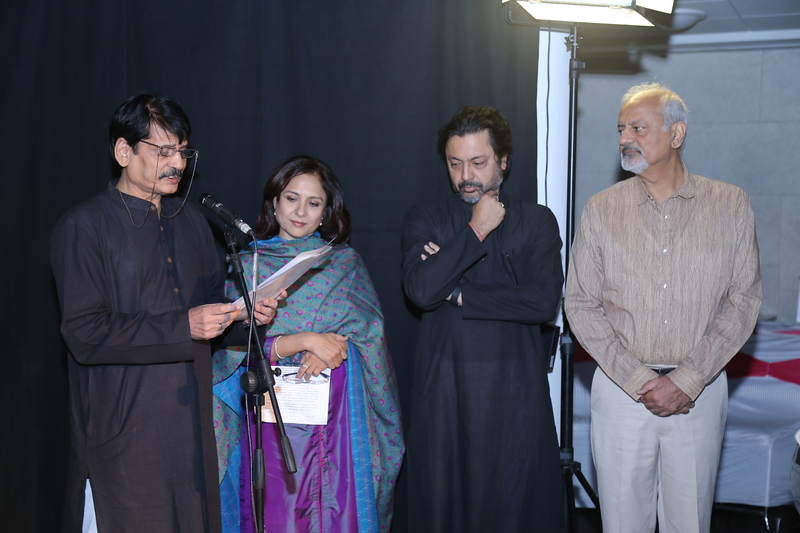 This is then converted into a 150-minute script. 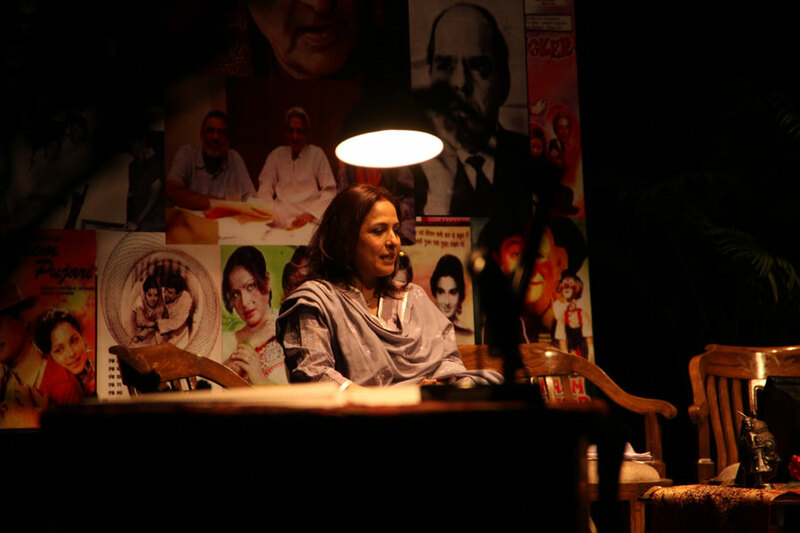 Family member/s of the poet are made a part of the script, to lend a more personal perspective to the narrative. 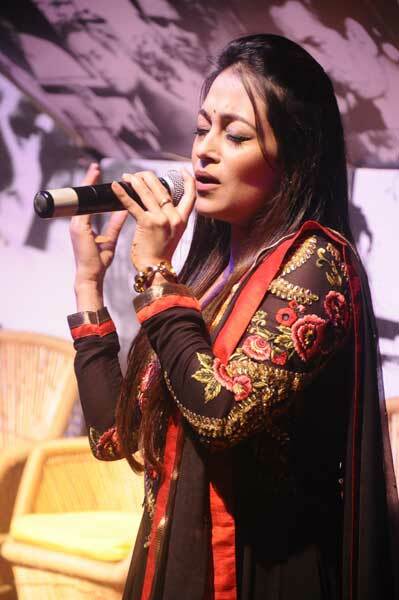 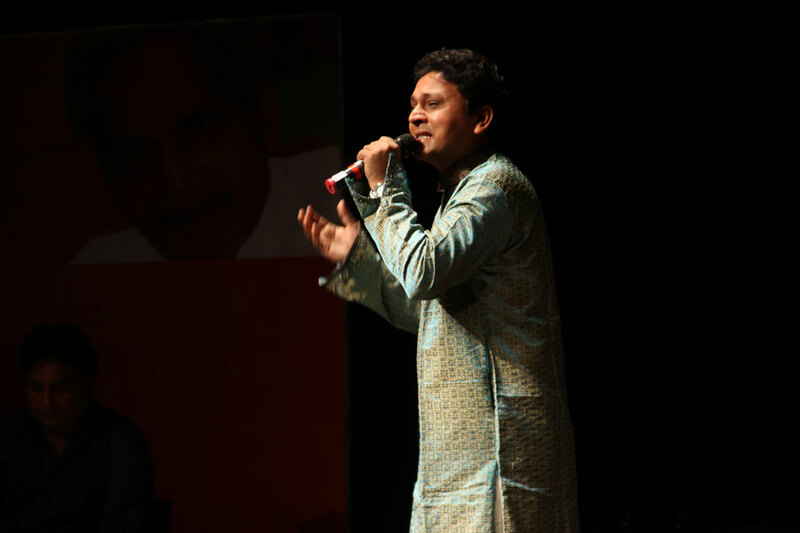 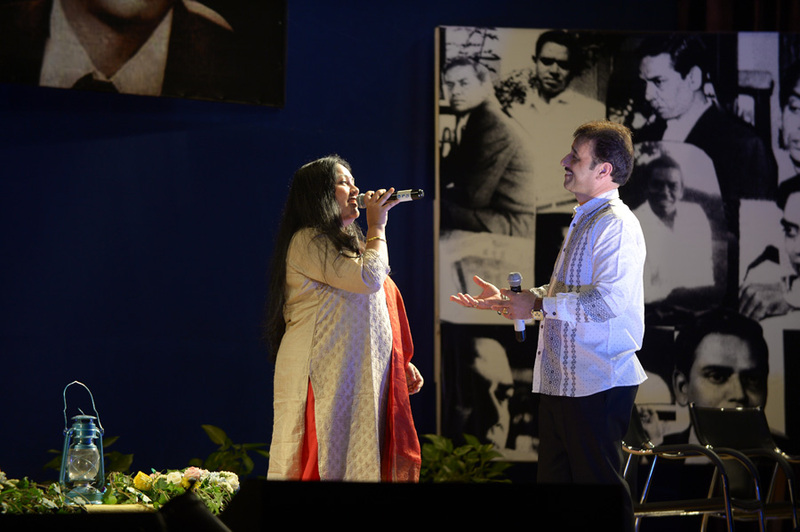 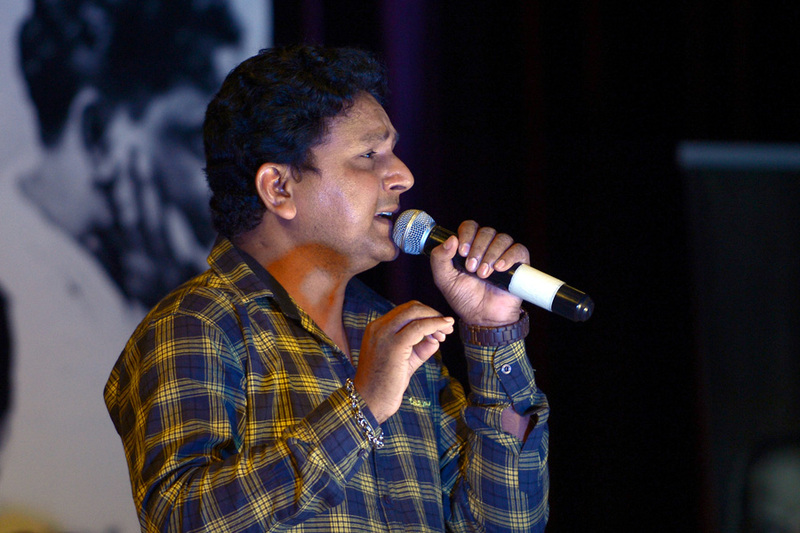 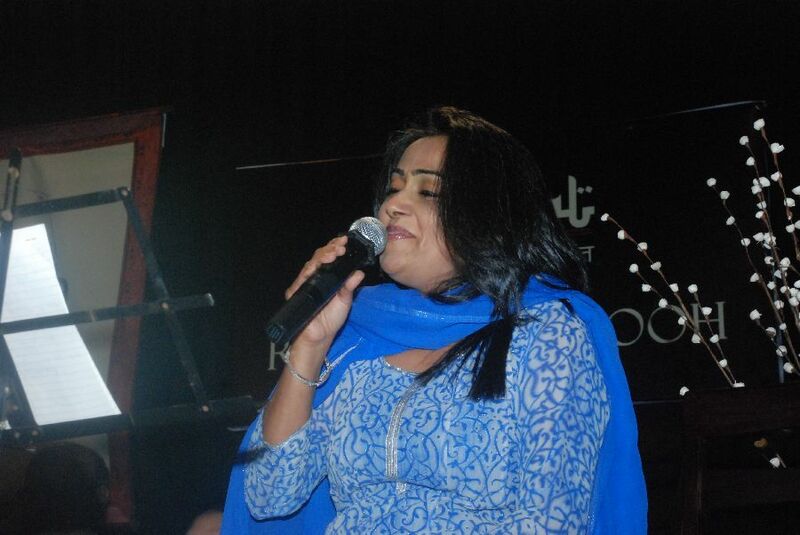 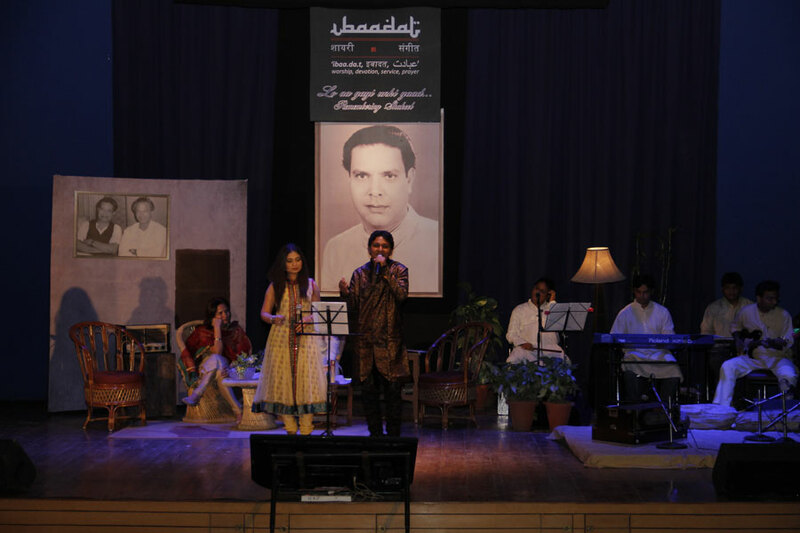 Each show has 16 to 18 of the poet’s best songs which are rendered by consummate singers. 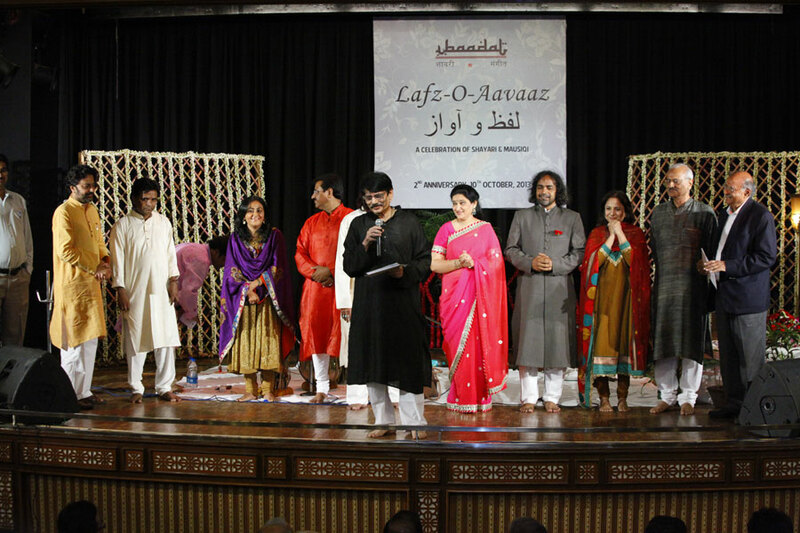 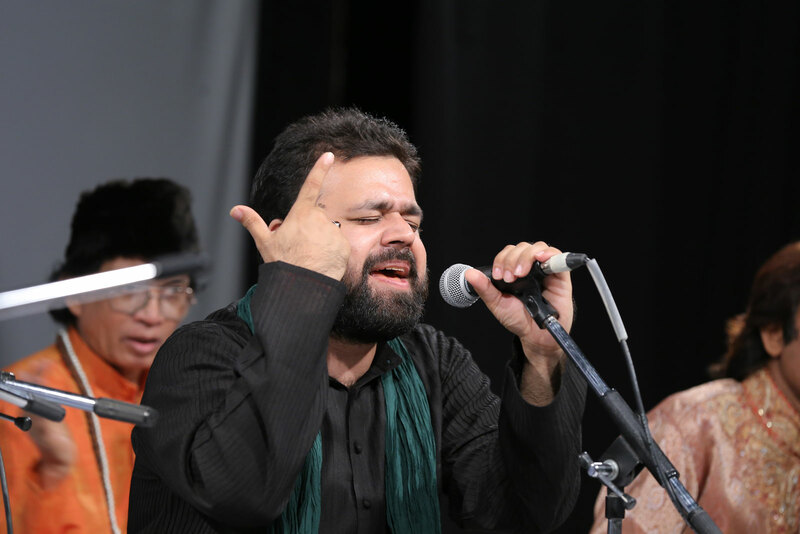 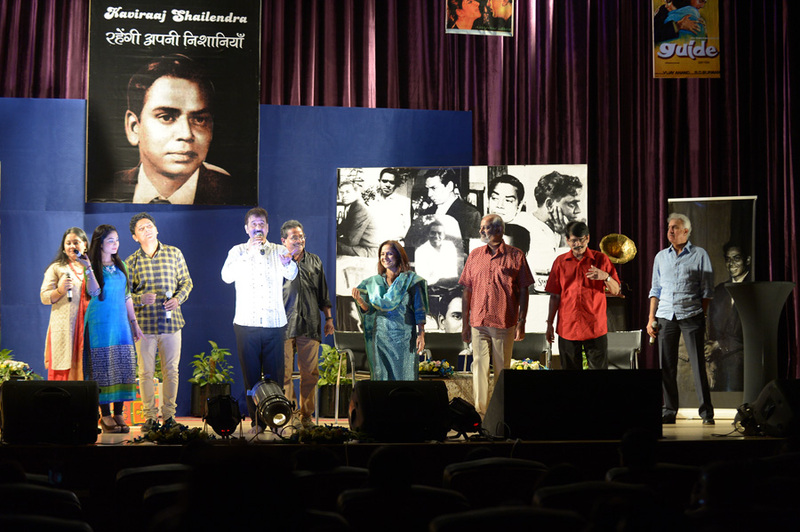 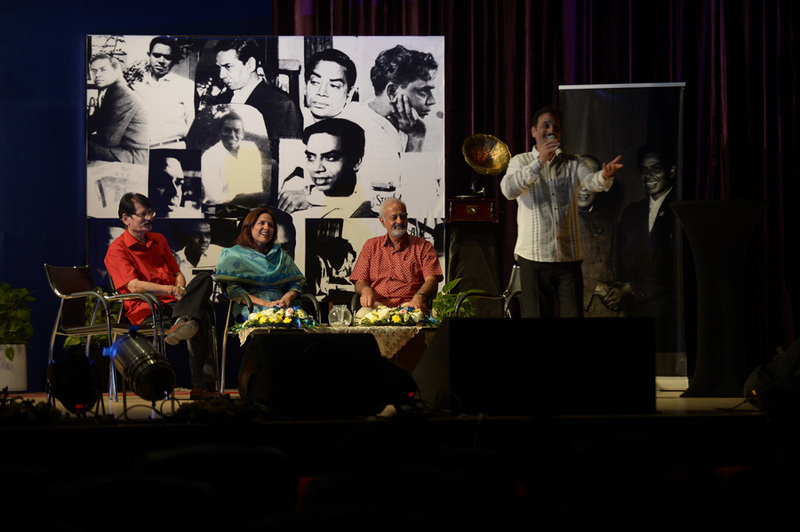 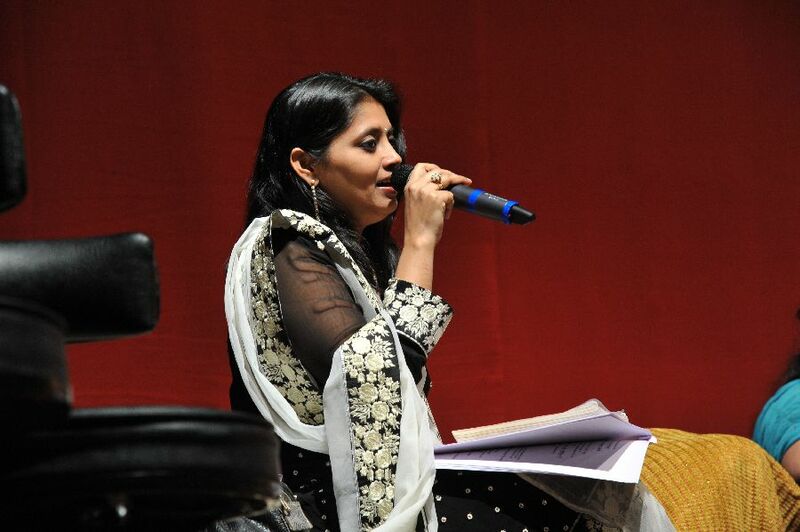 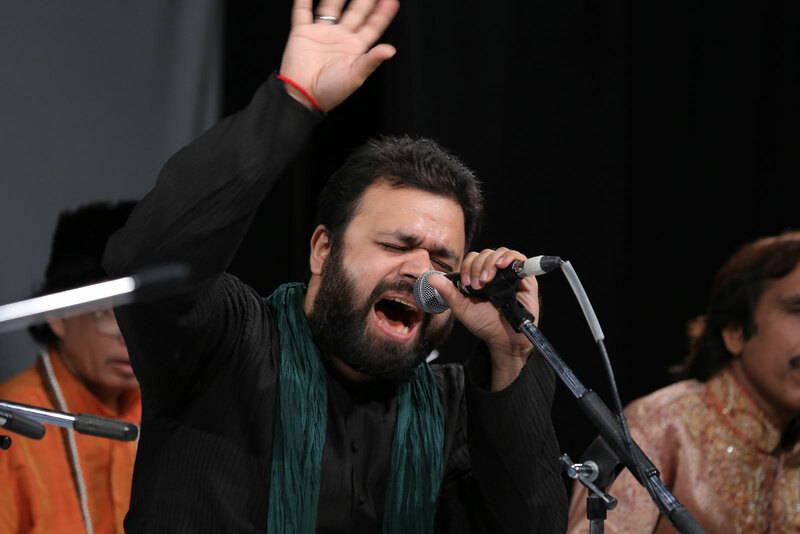 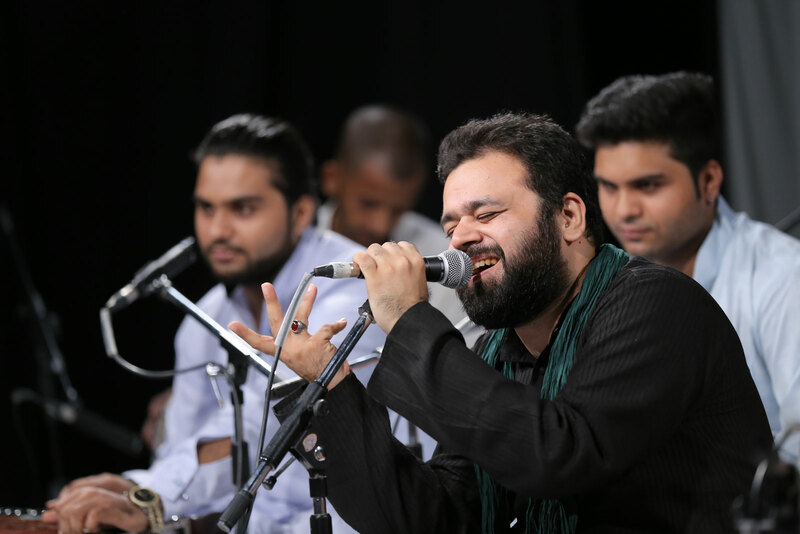 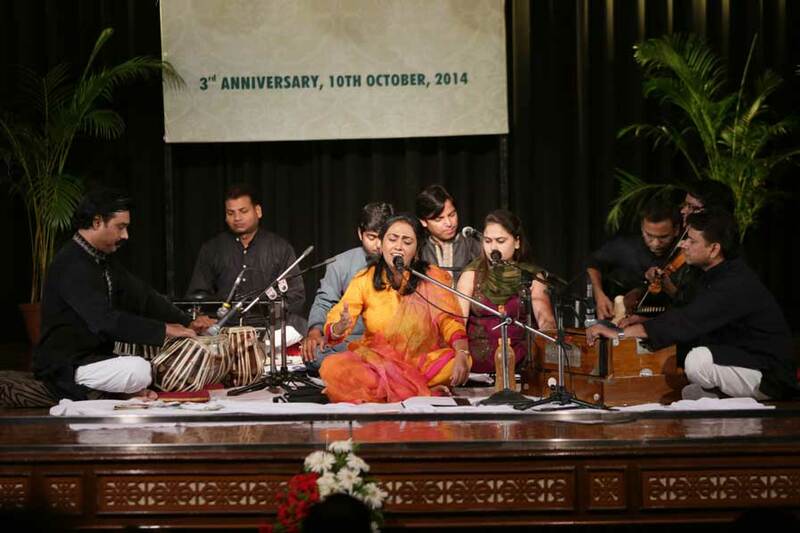 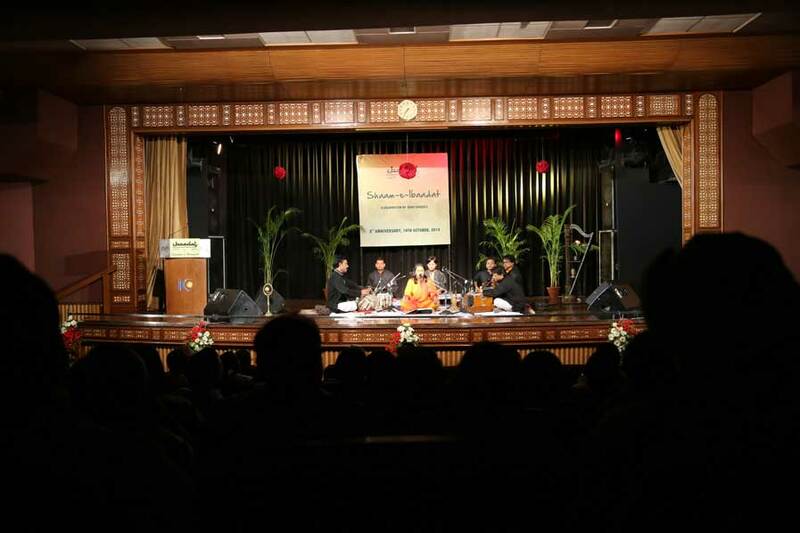 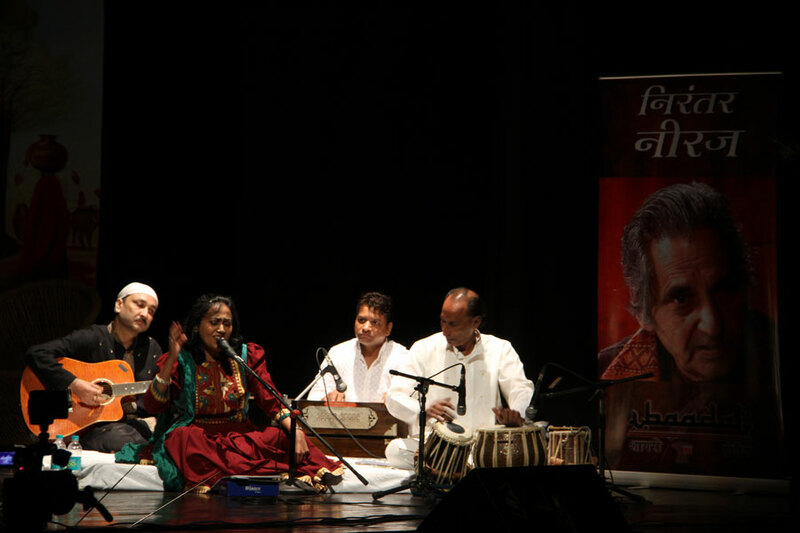 The format does away with an orchestra on the stage, creating space for Ibaadat’s unique conversational format. 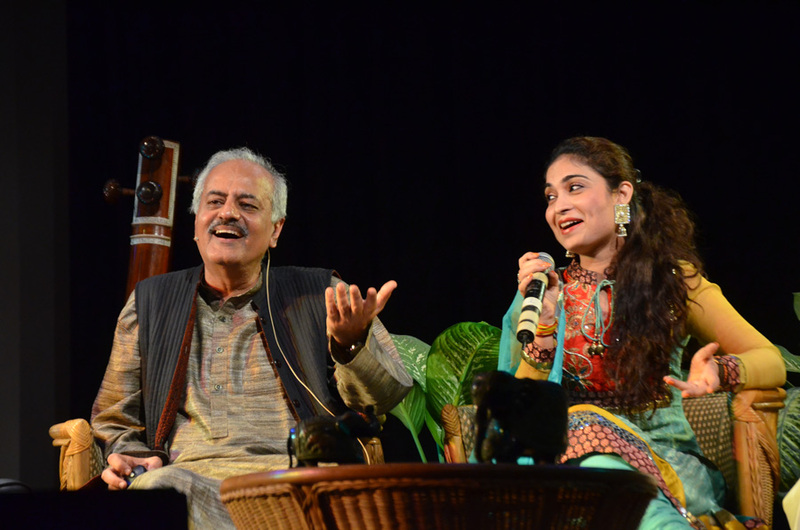 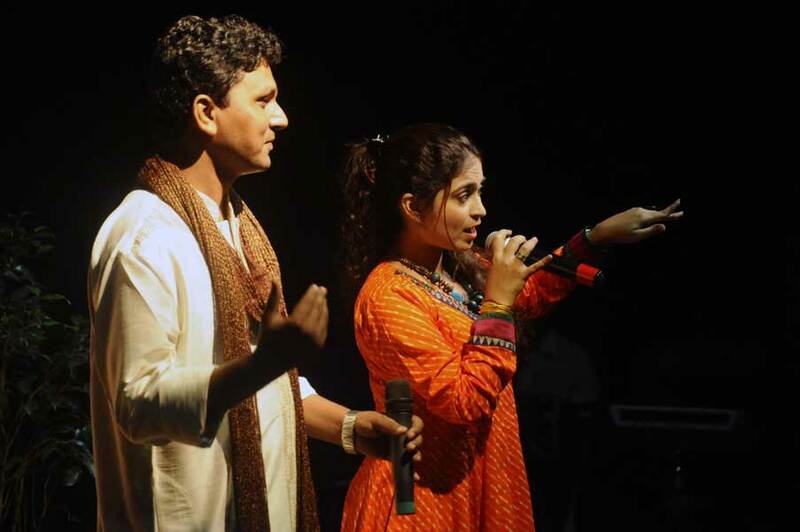 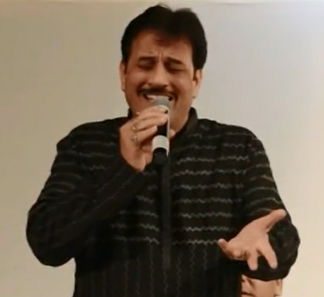 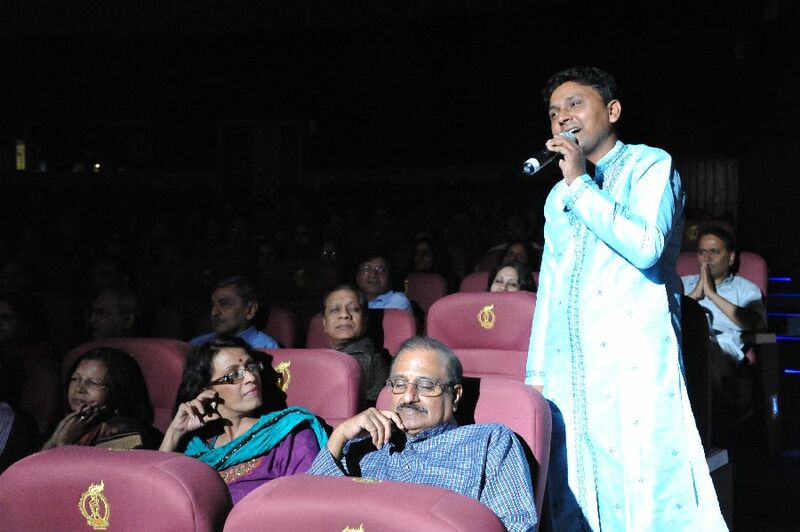 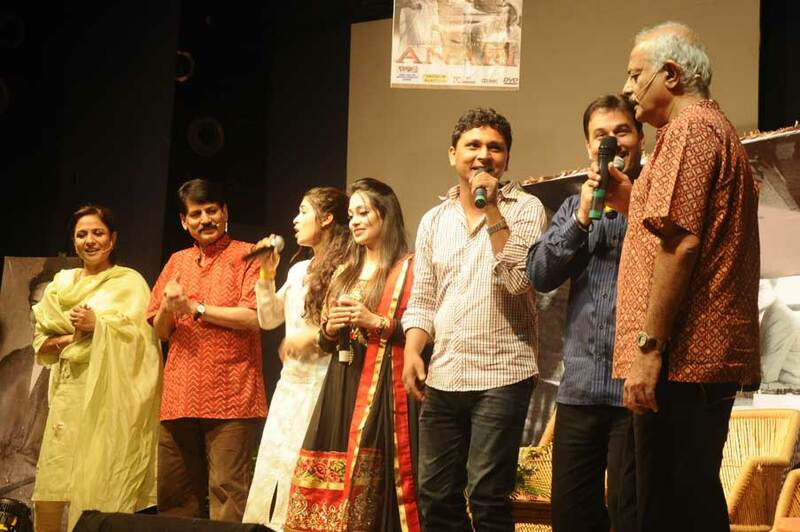 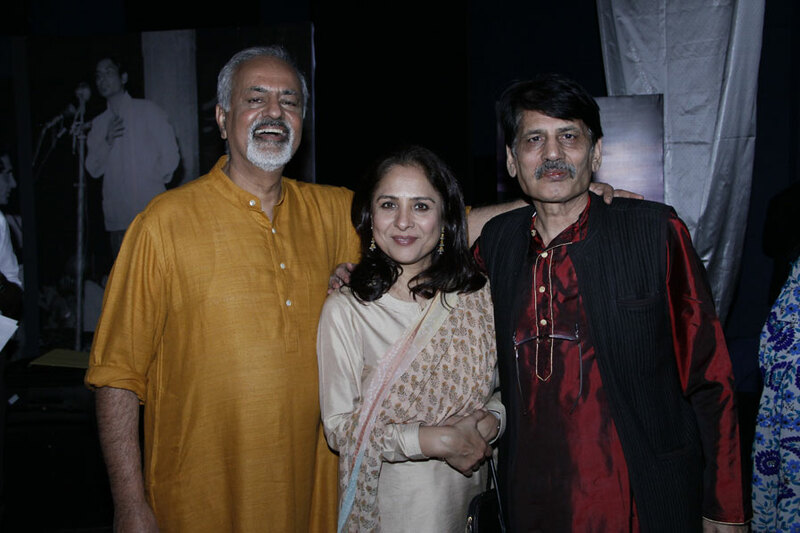 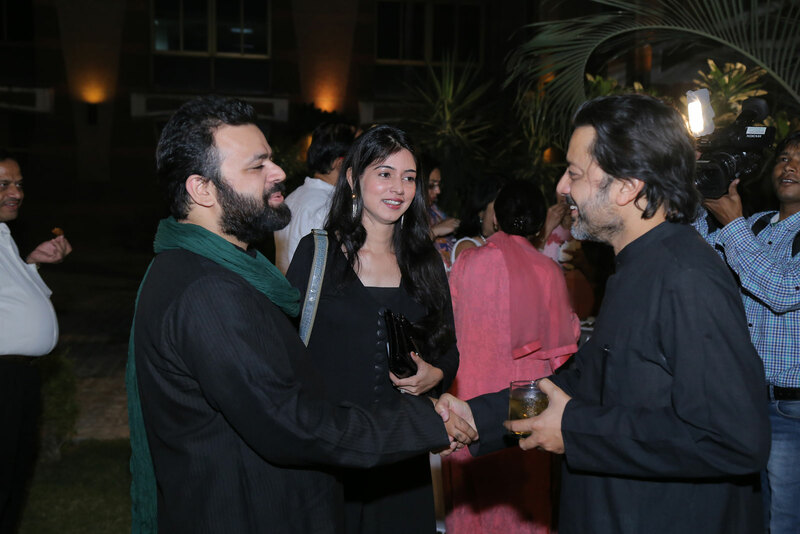 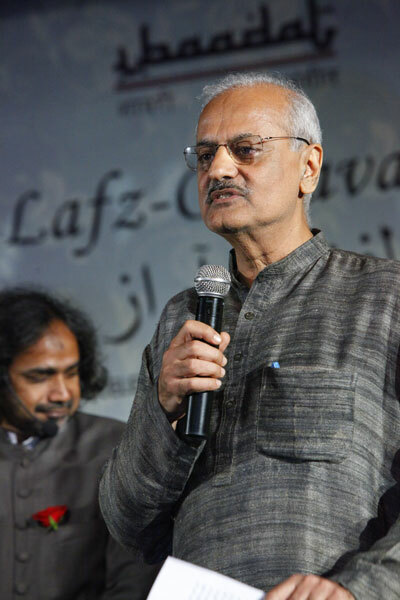 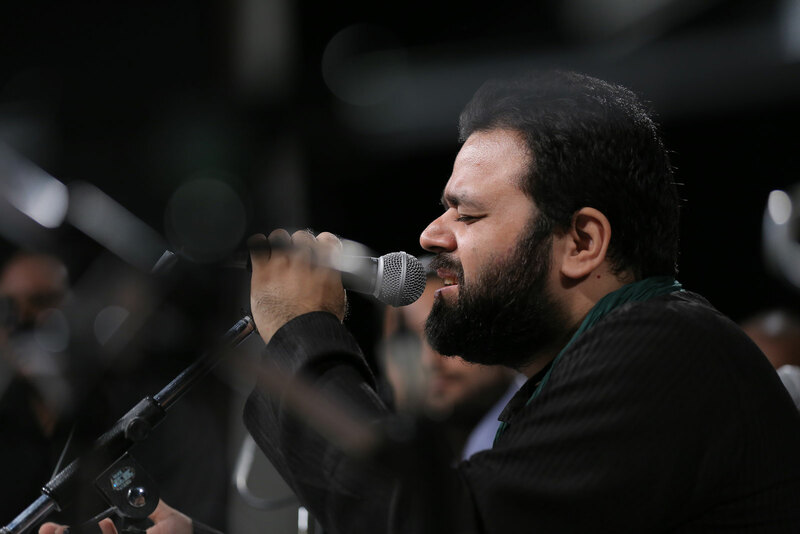 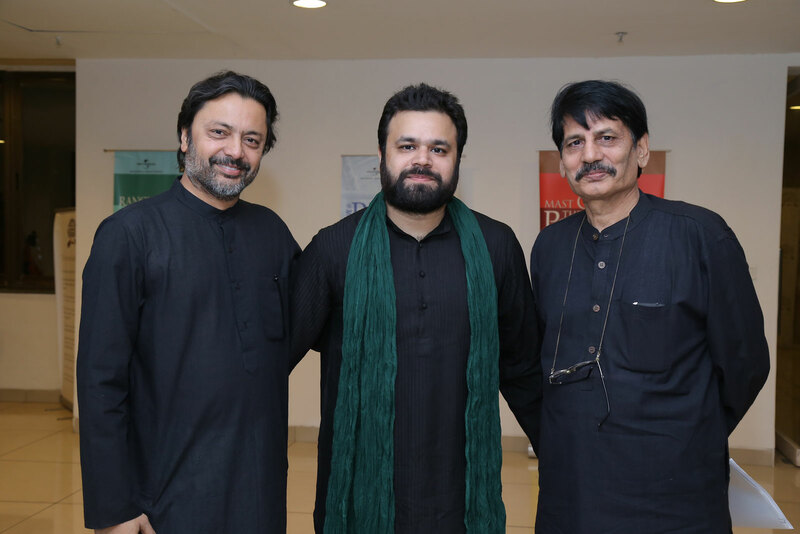 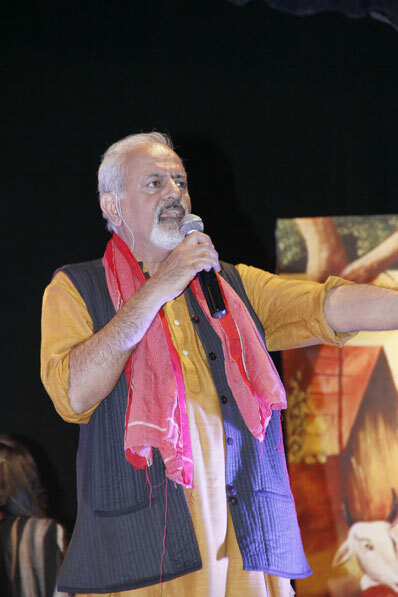 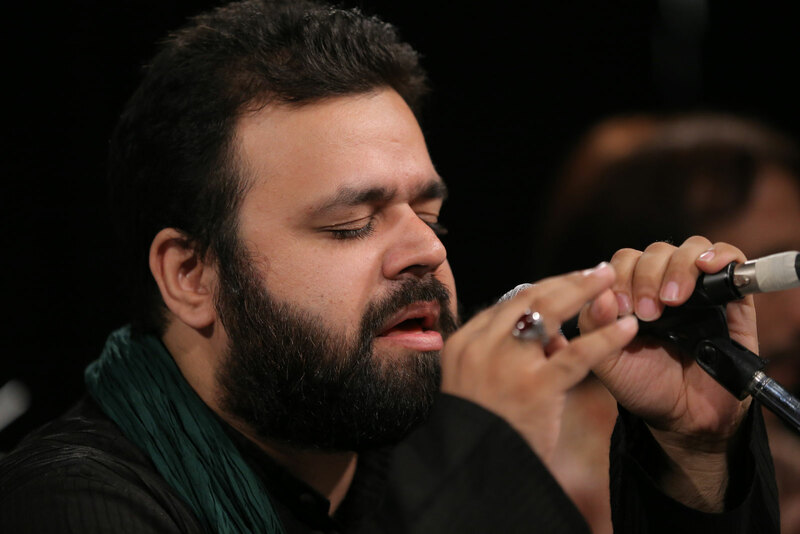 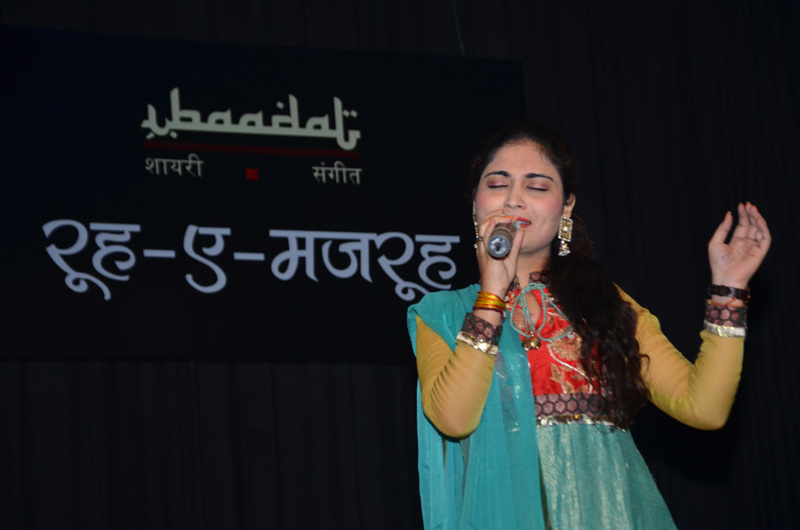 For songs, as the quality of the available tracks is very poor, Ibaadat has engaged a music arranger who creates and records the music afresh, bringing it as close to the original score as possible. 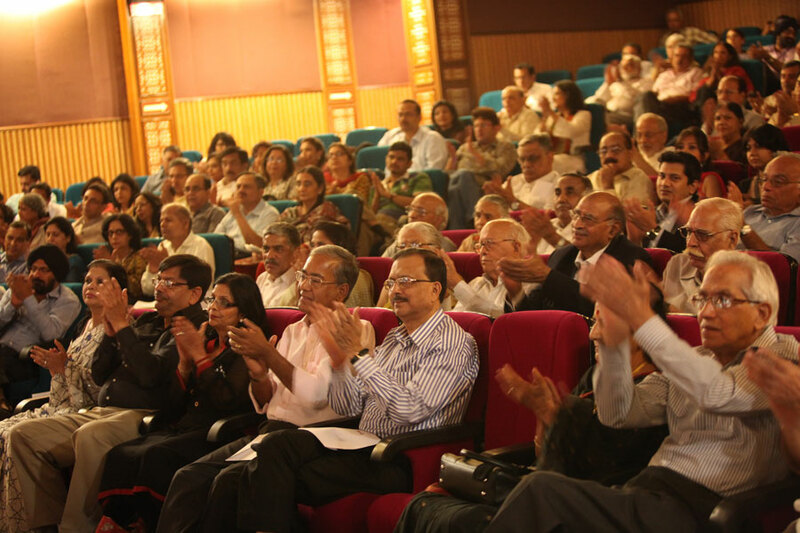 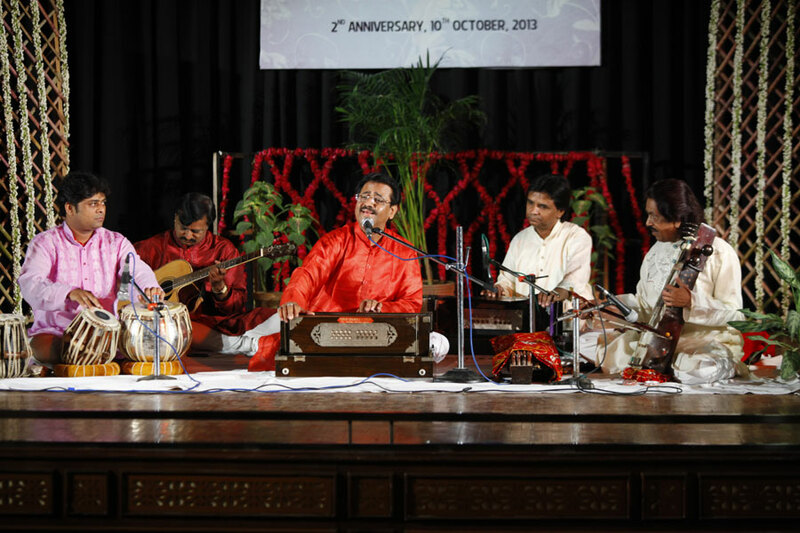 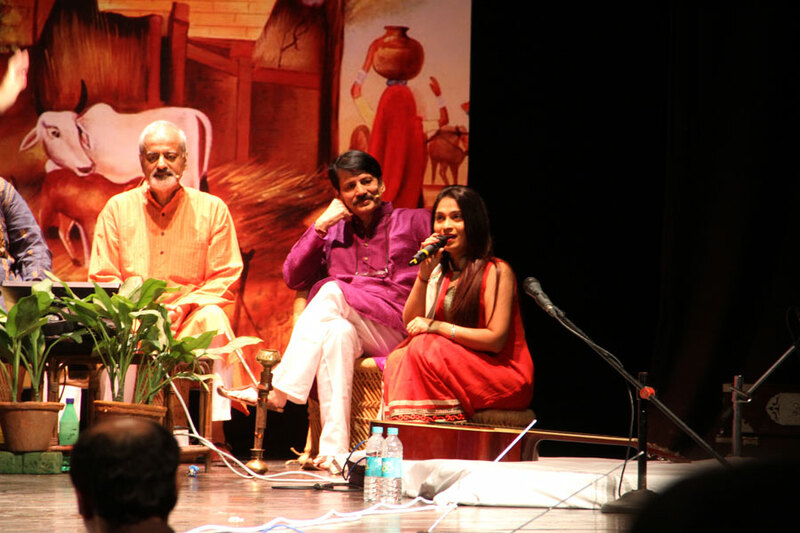 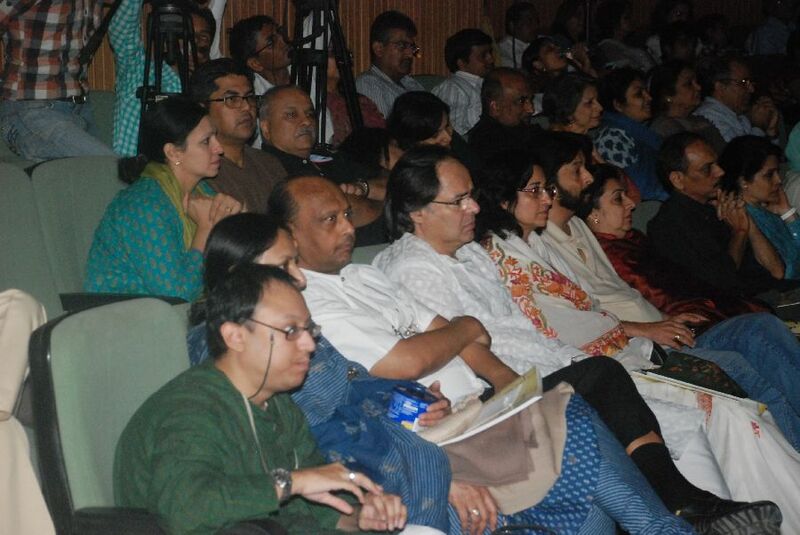 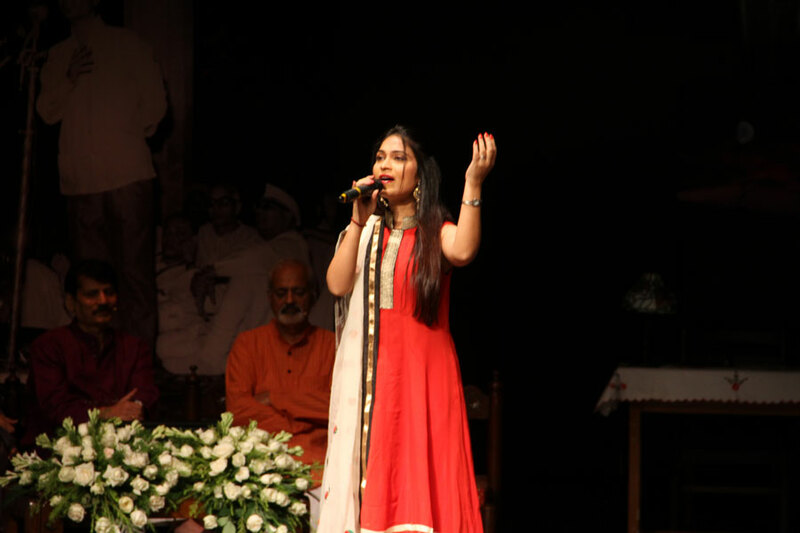 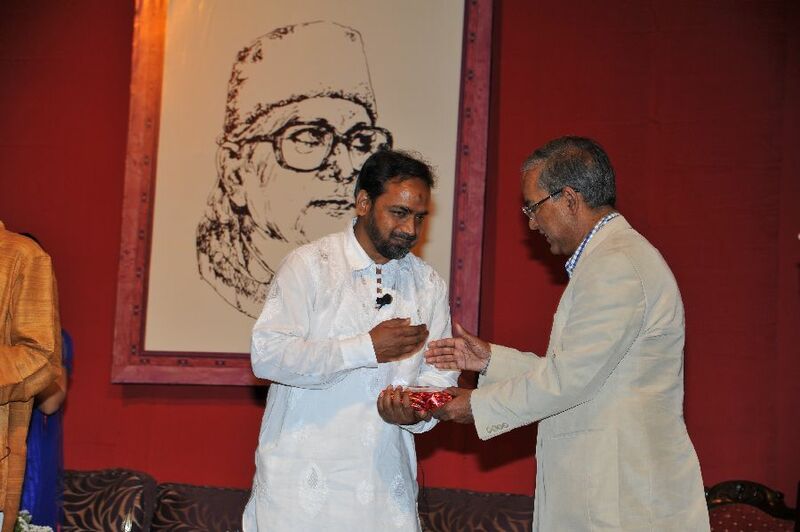 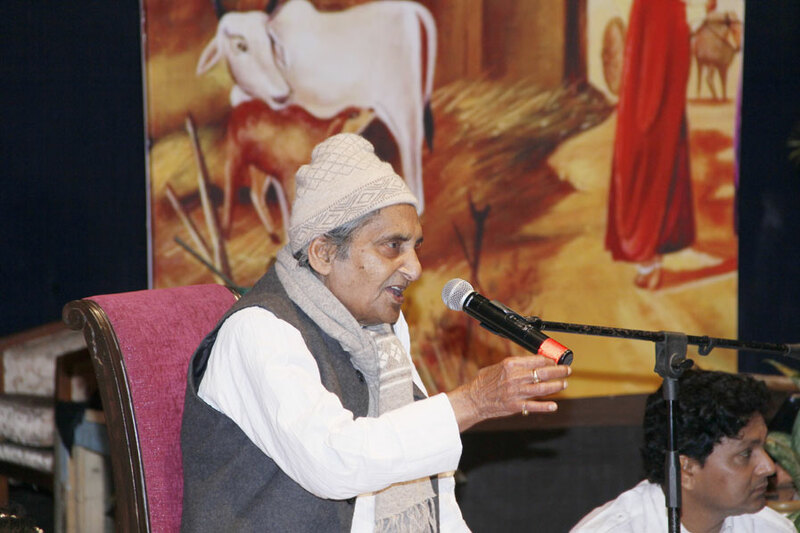 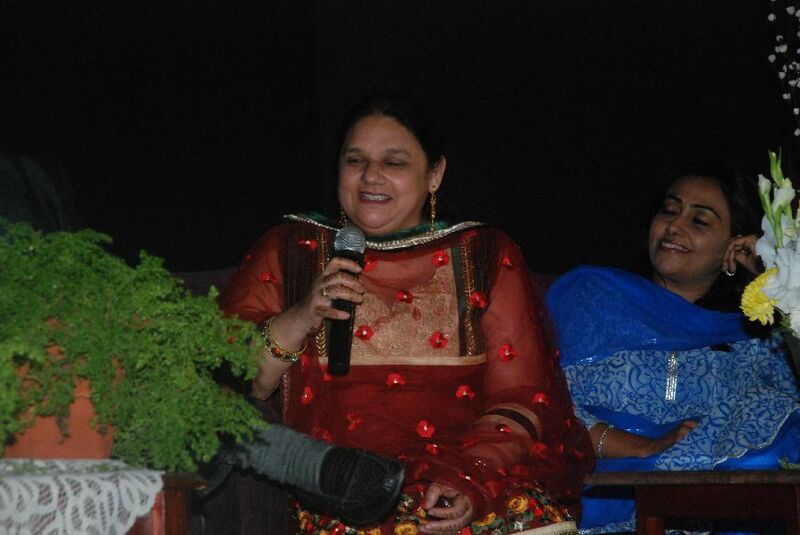 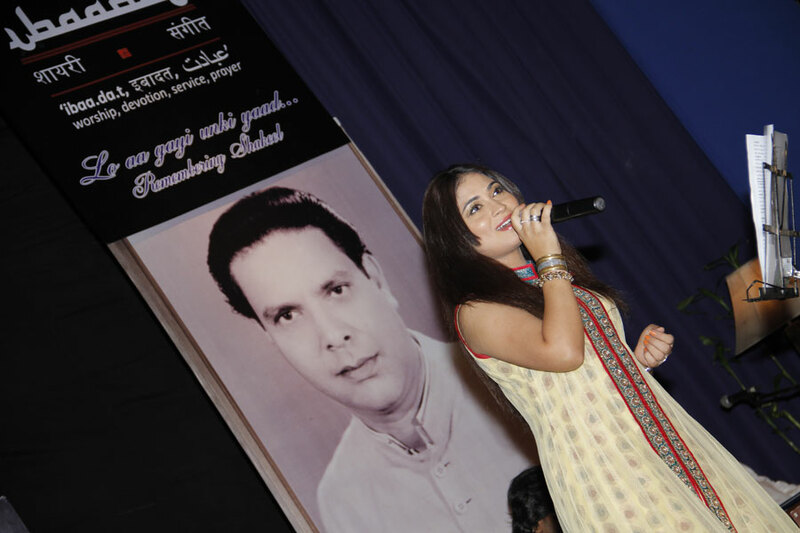 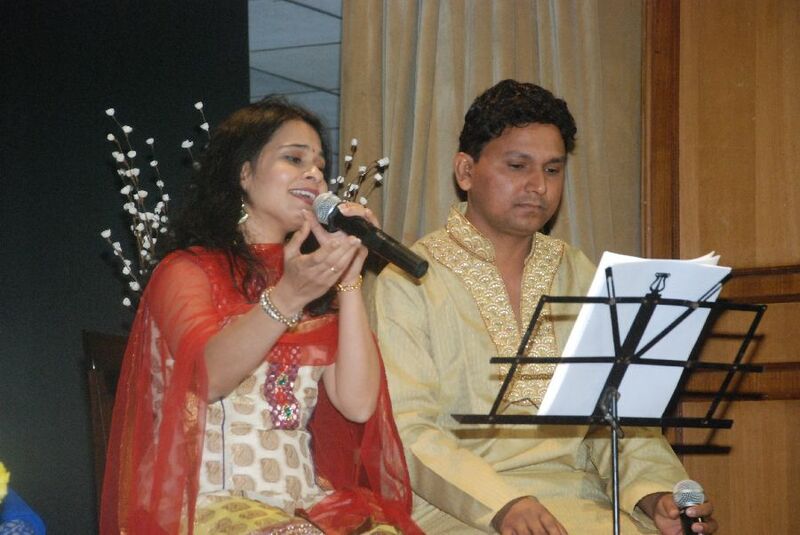 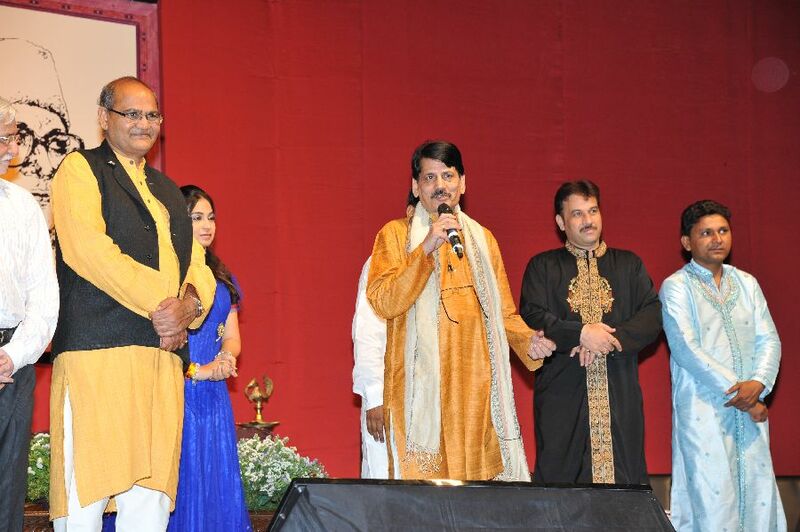 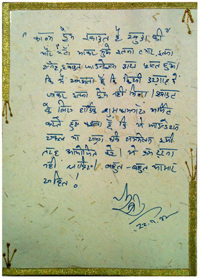 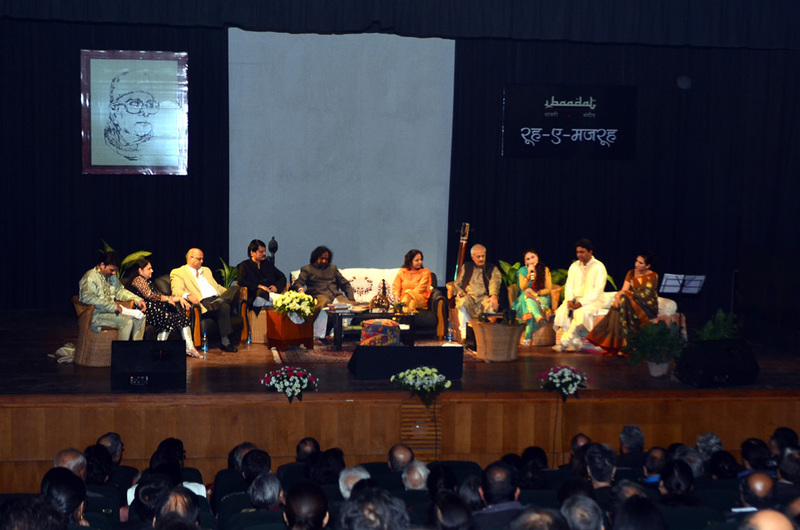 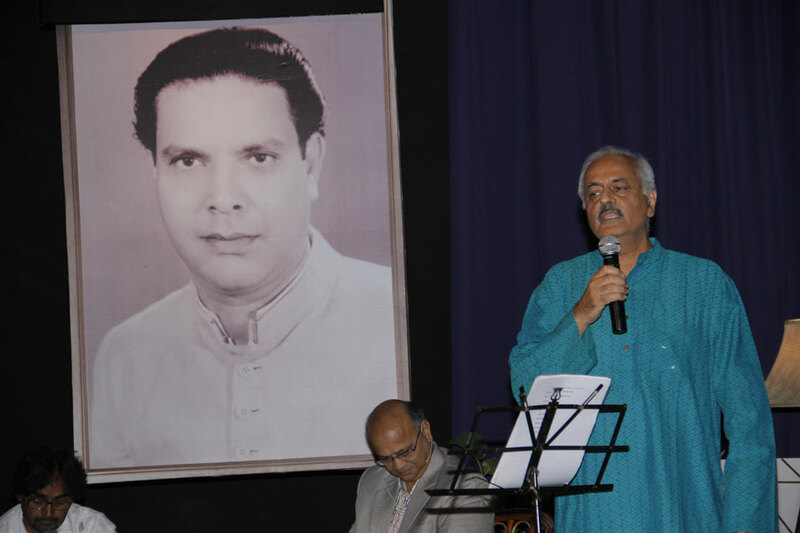 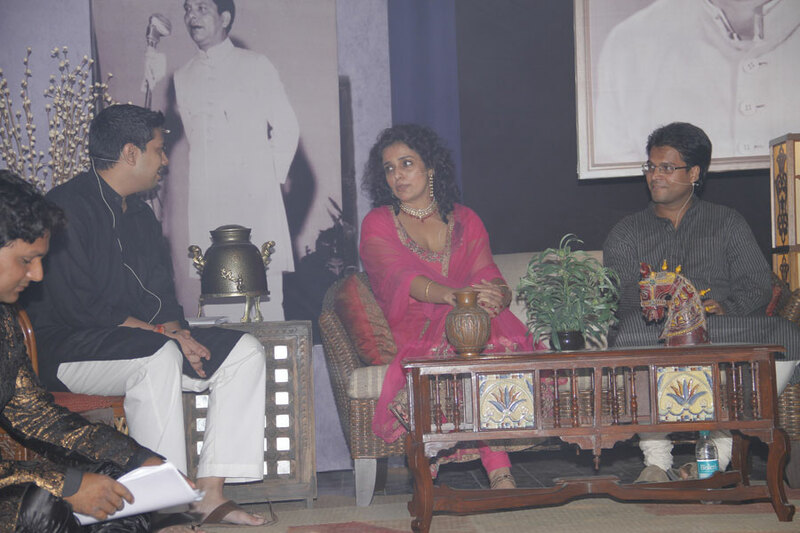 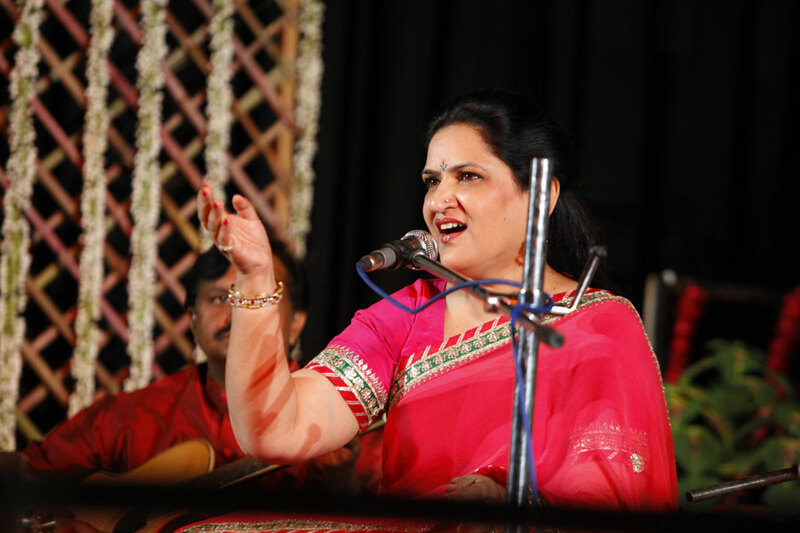 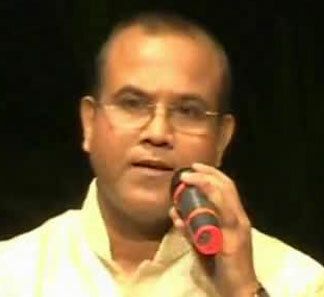 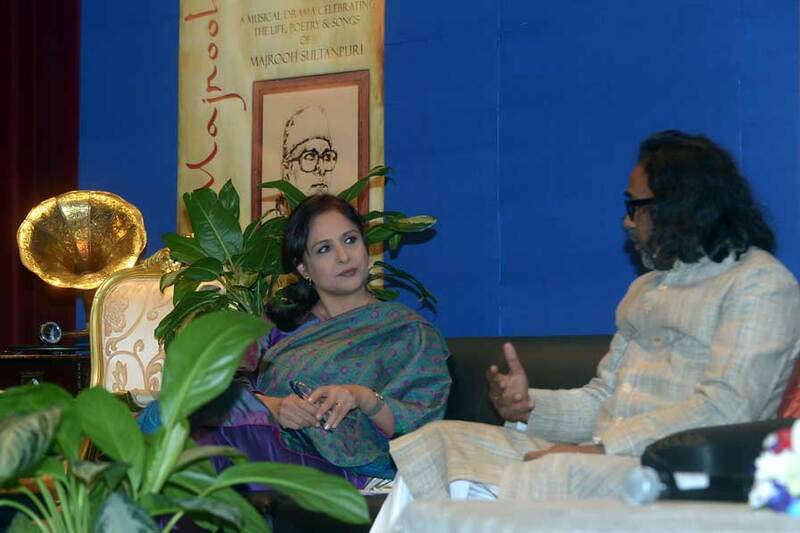 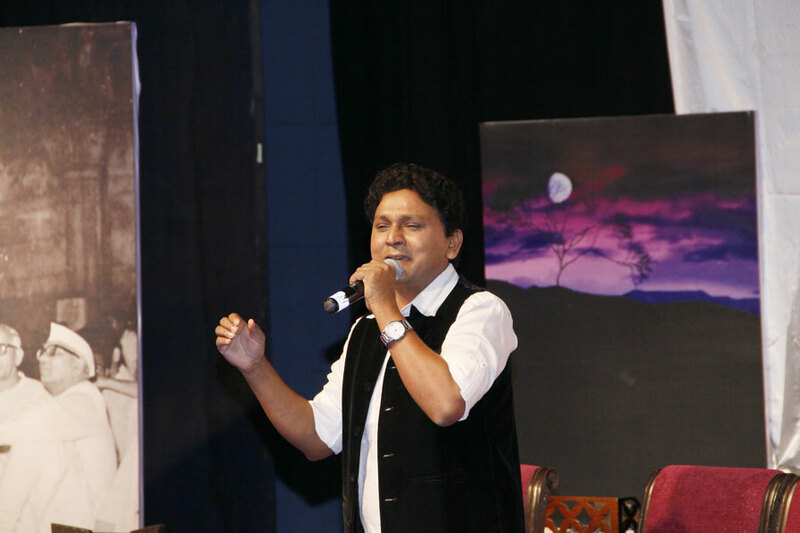 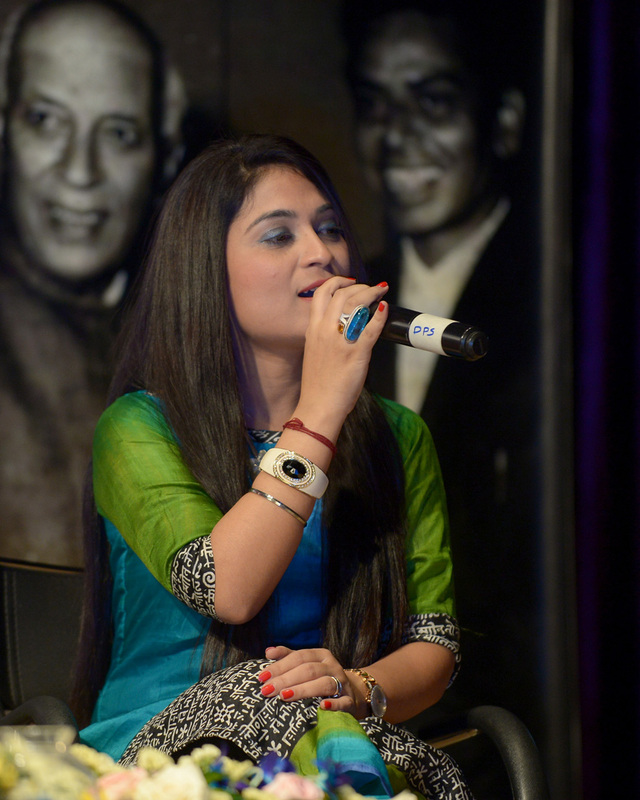 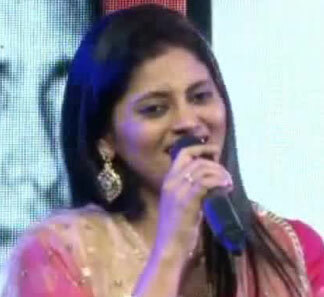 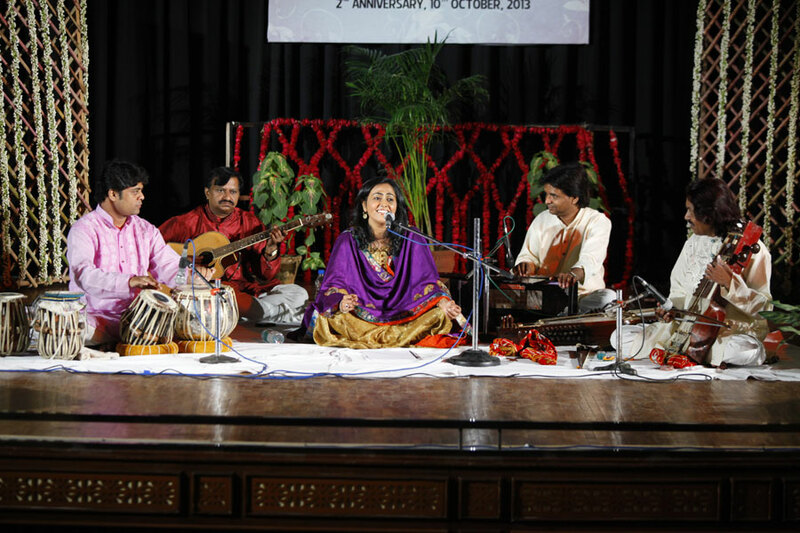 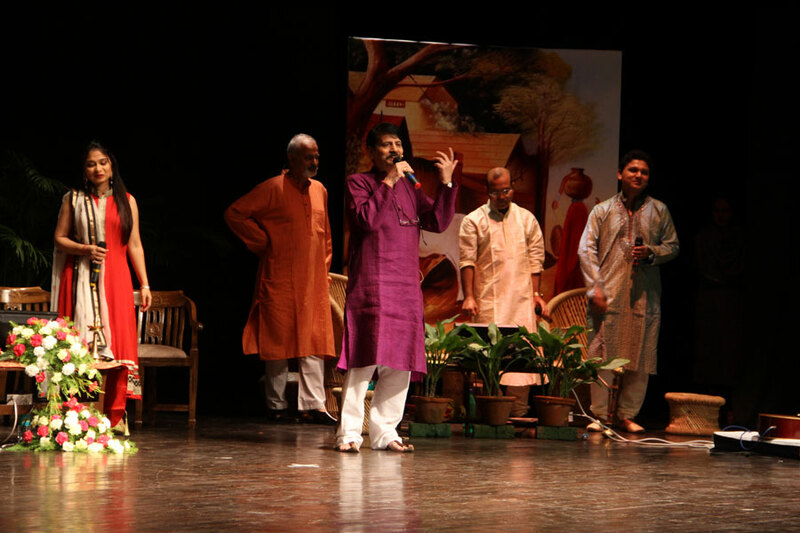 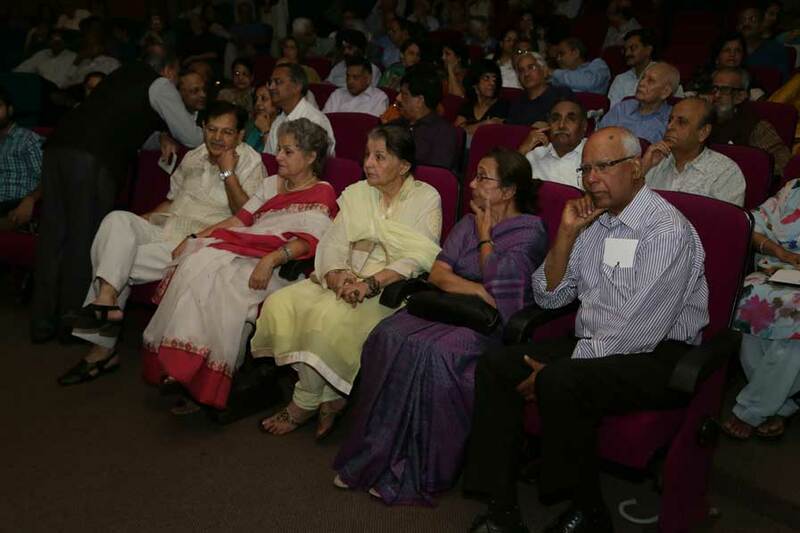 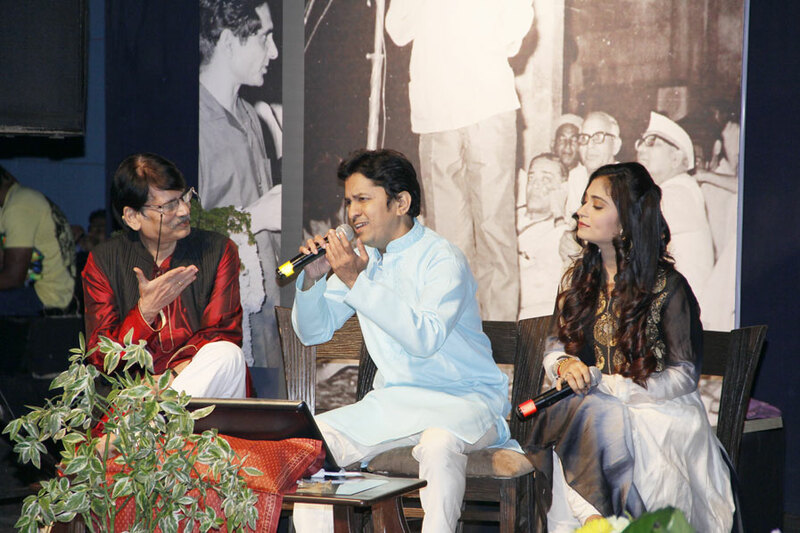 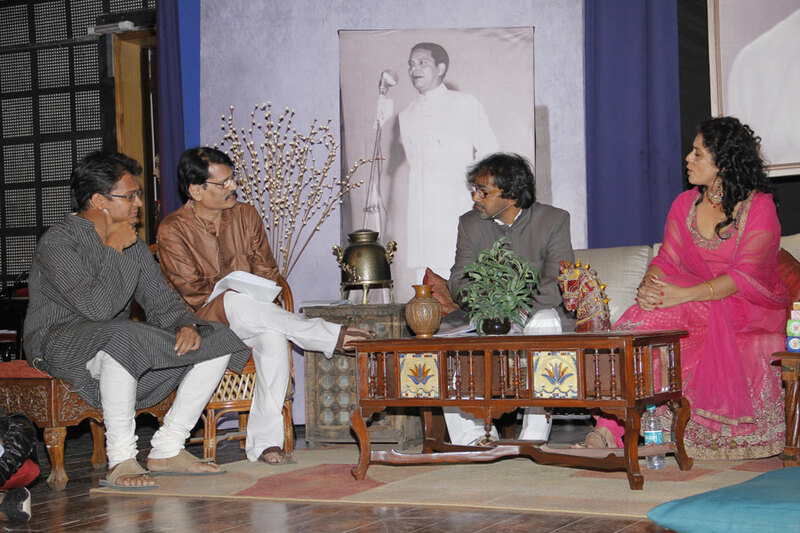 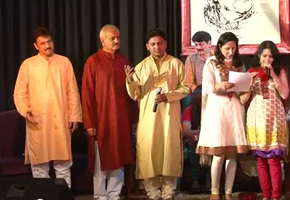 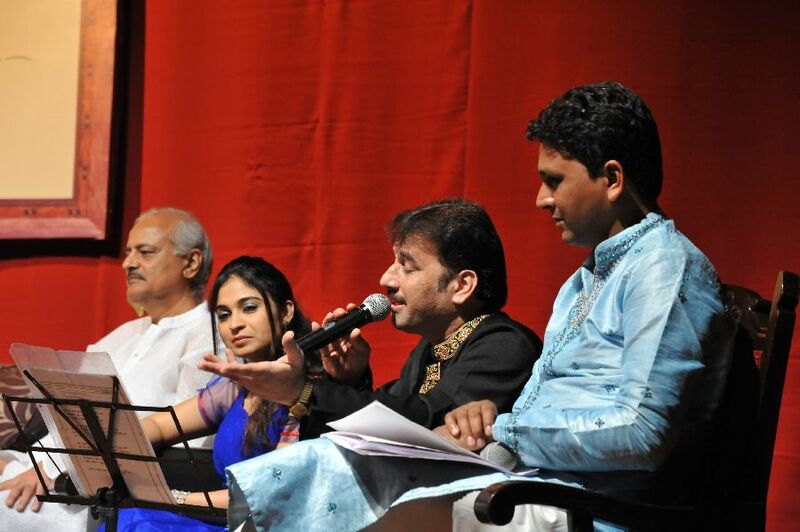 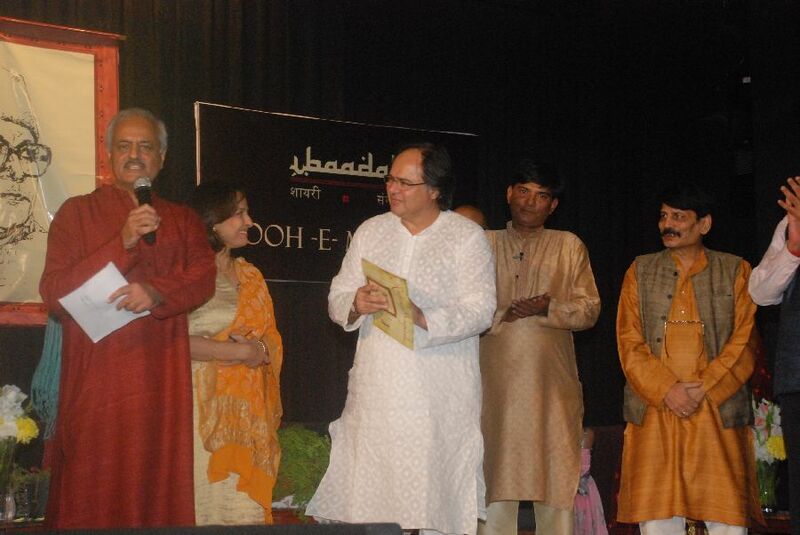 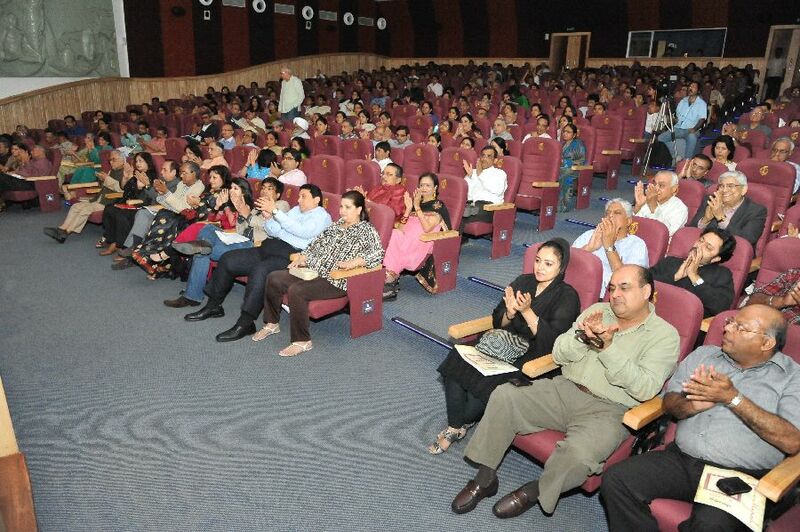 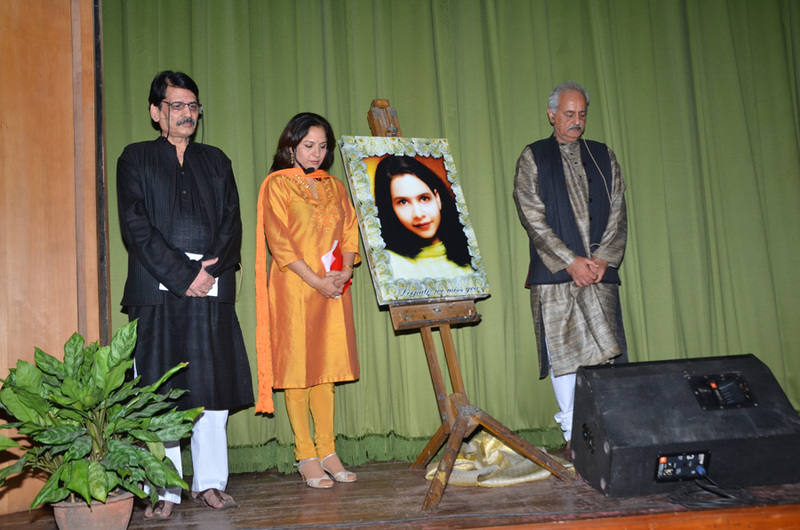 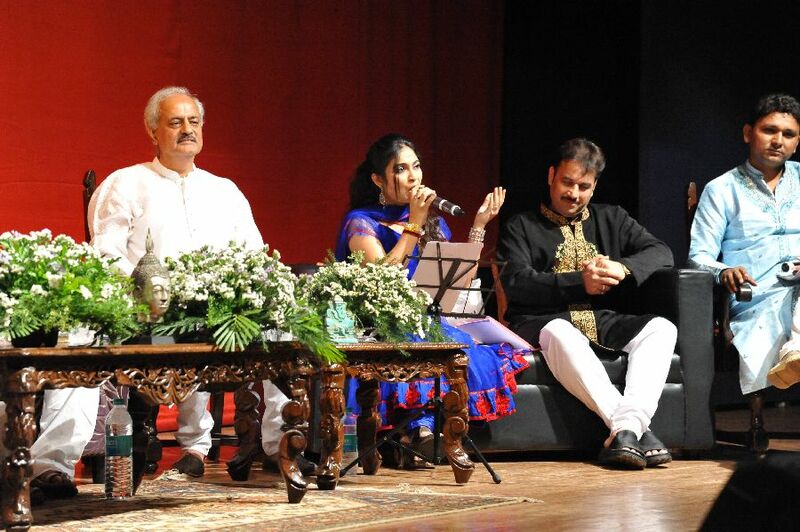 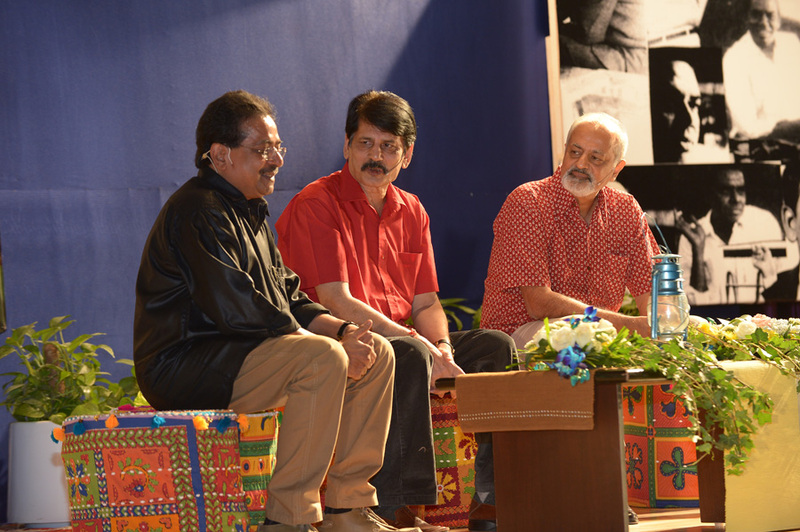 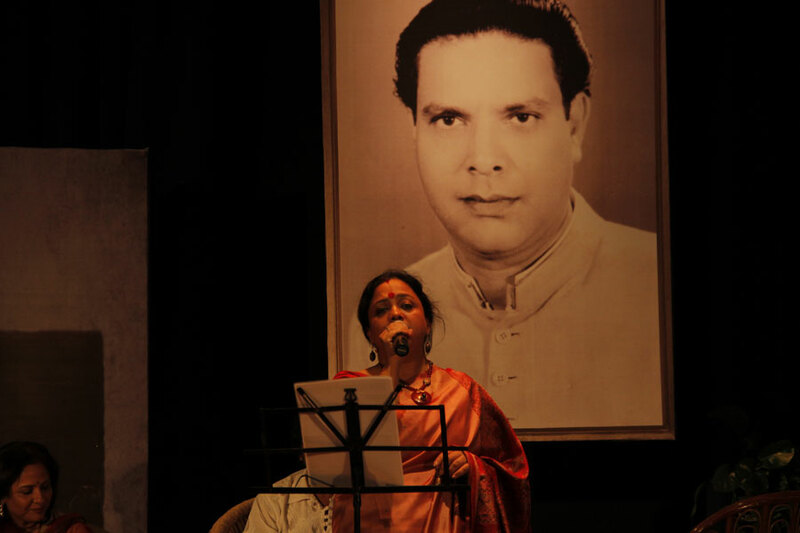 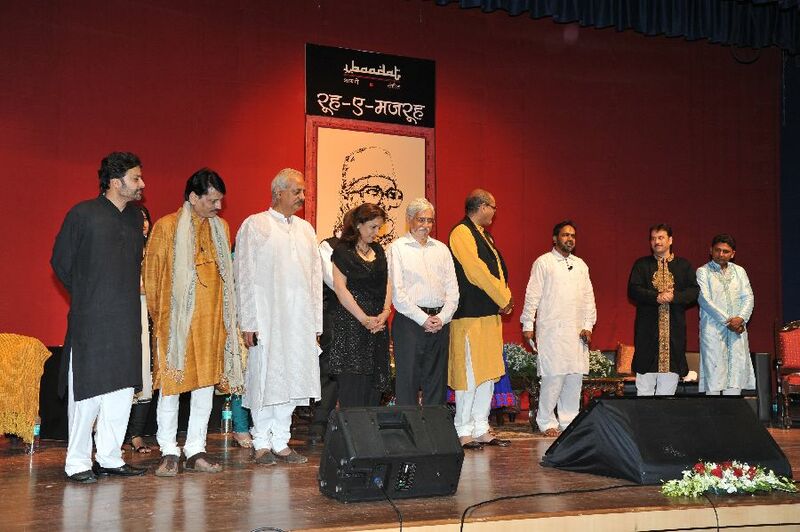 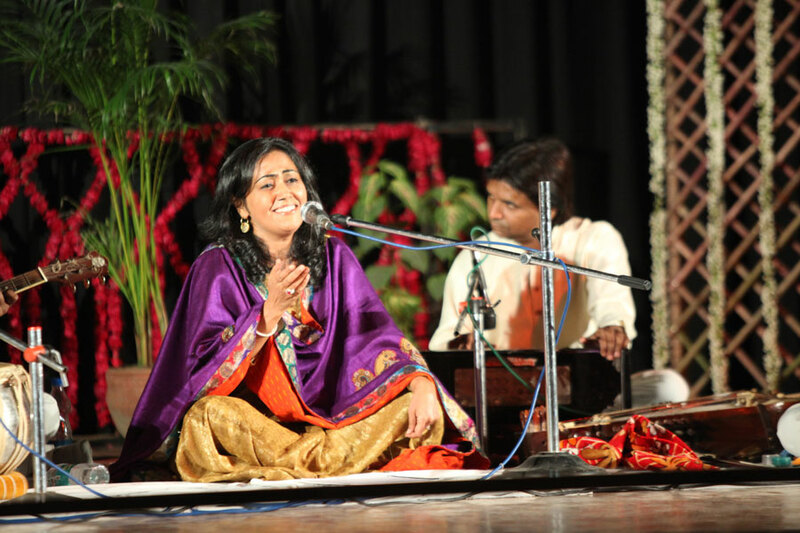 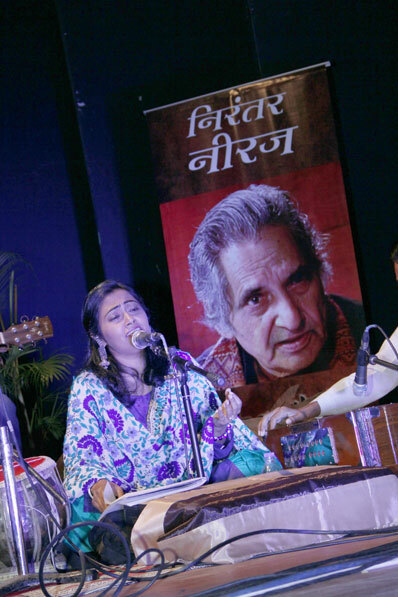 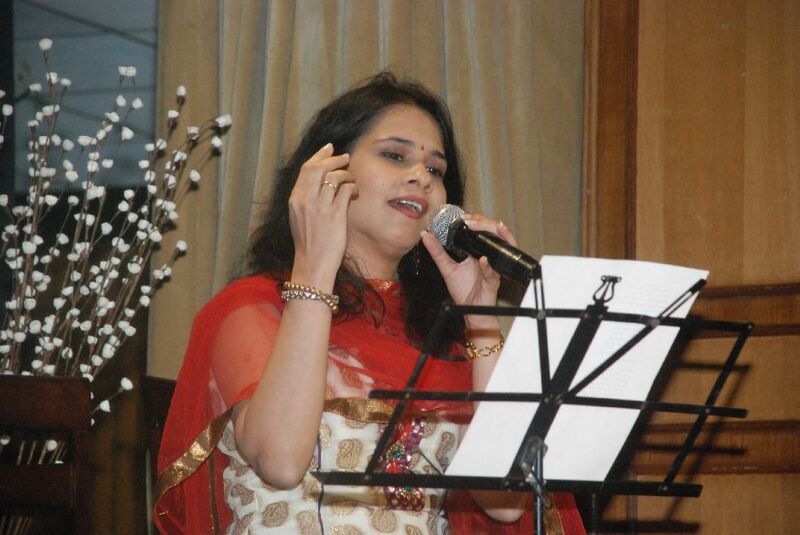 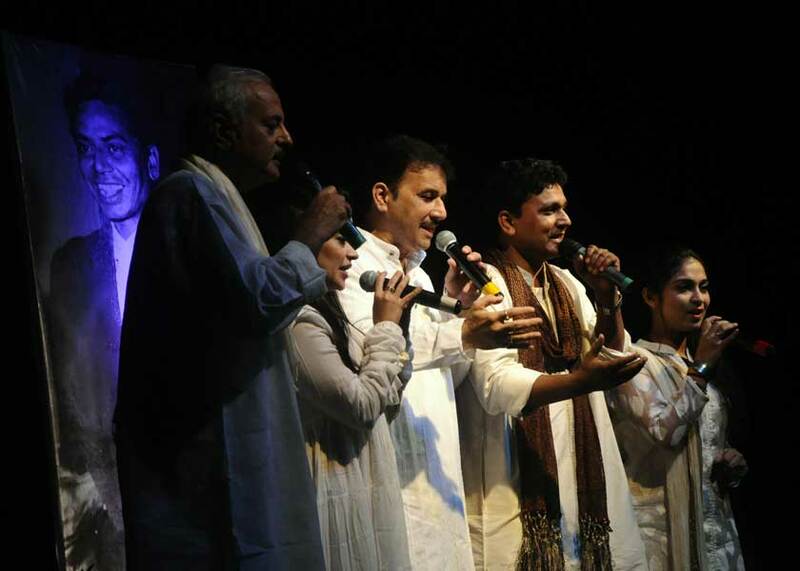 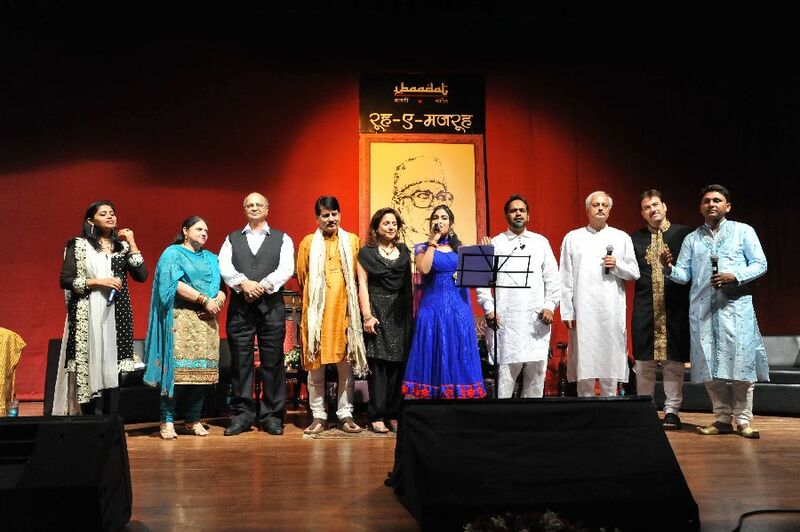 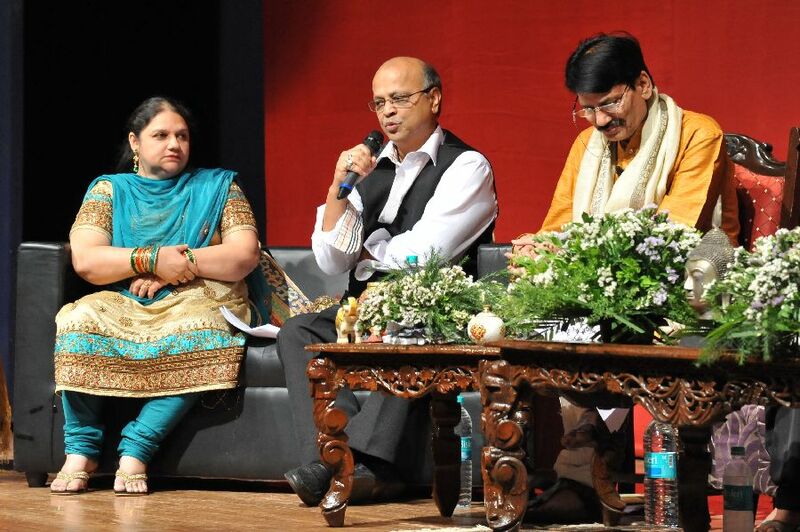 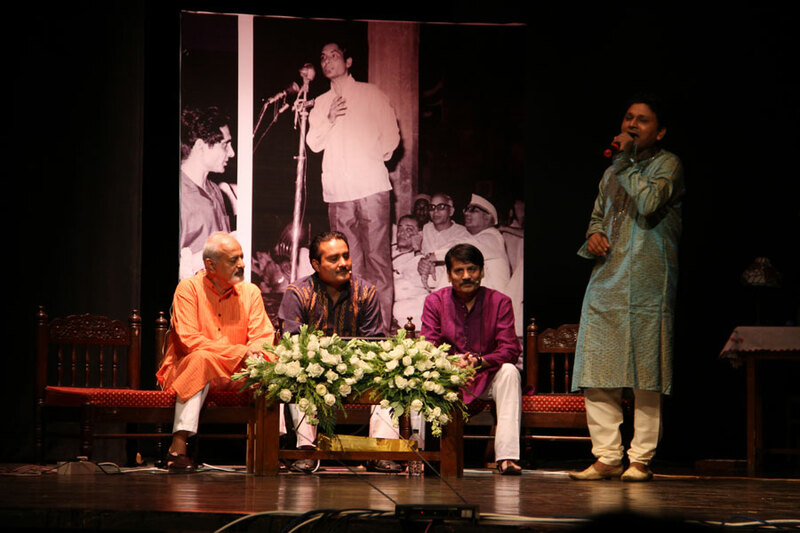 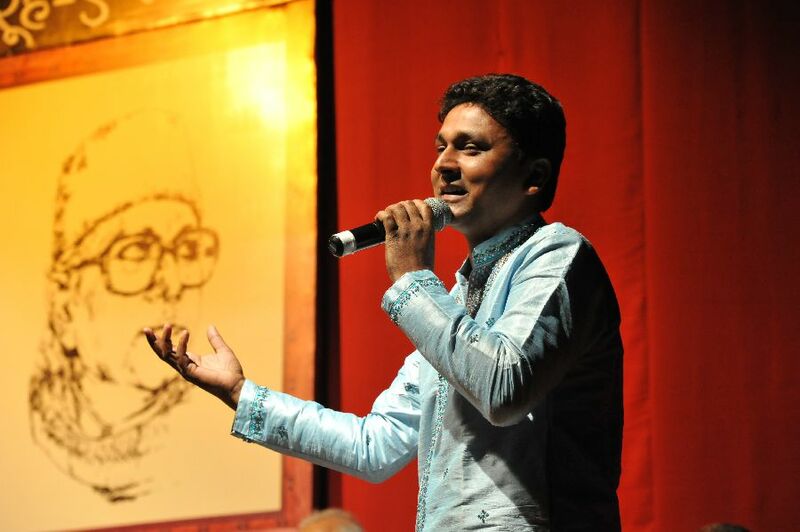 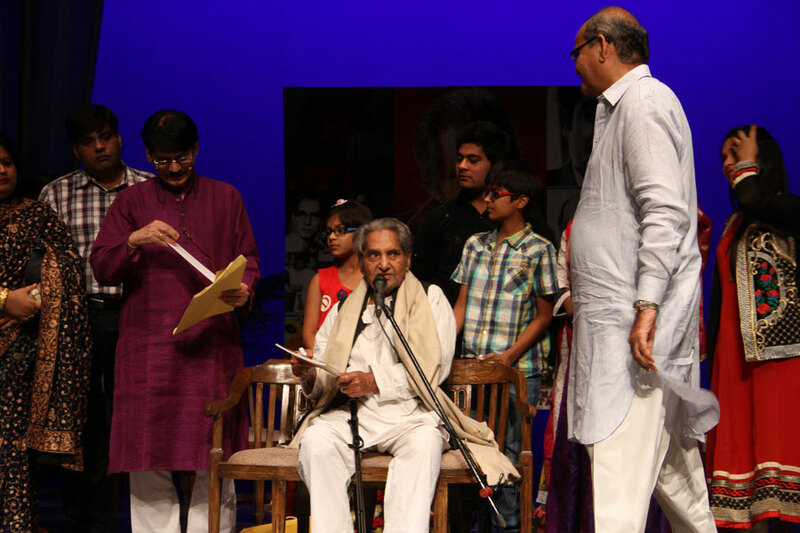 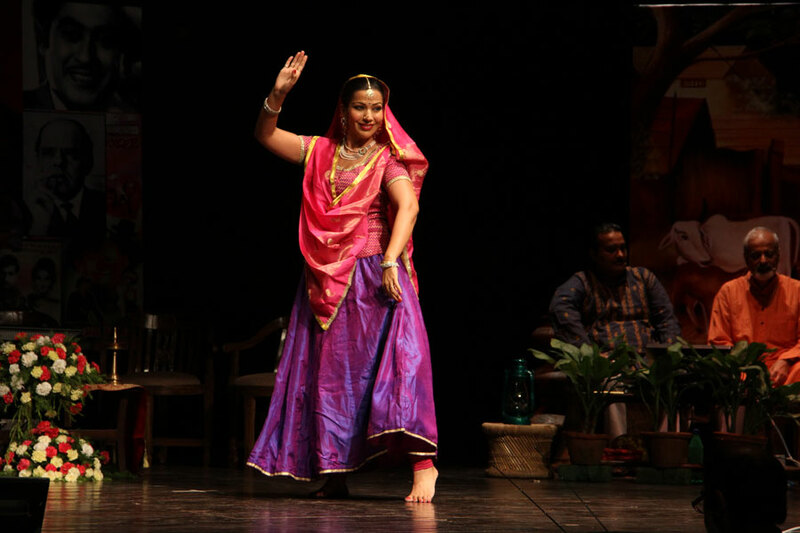 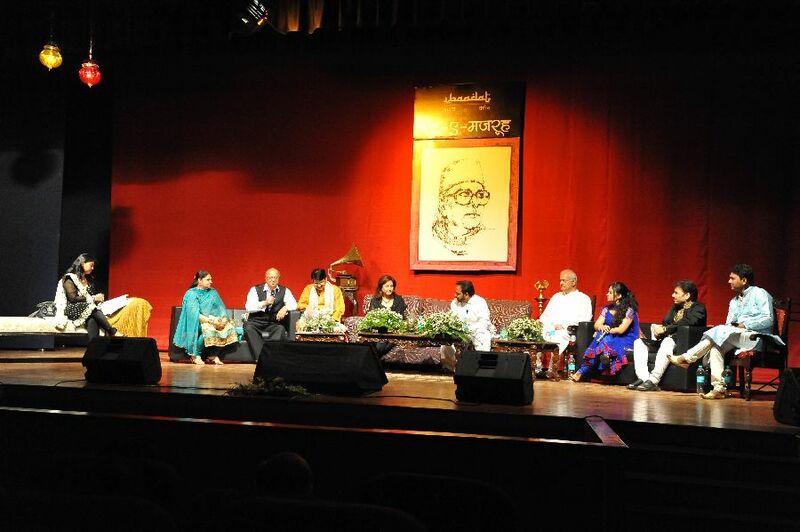 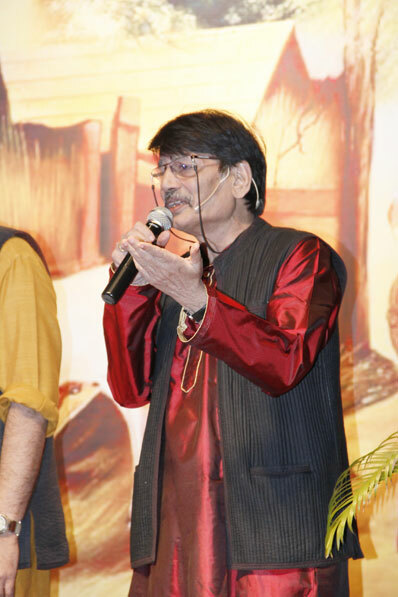 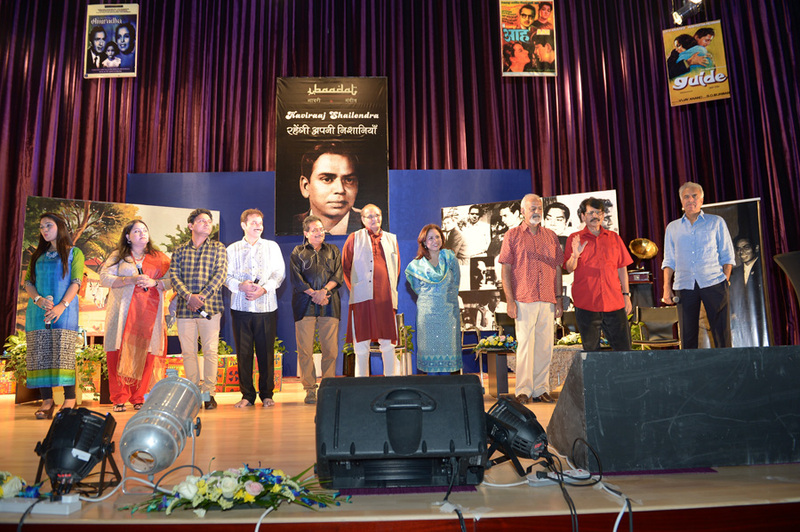 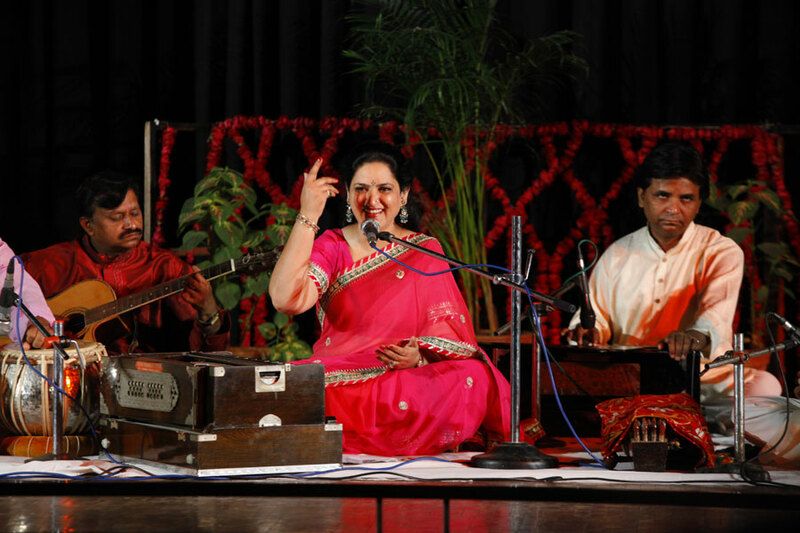 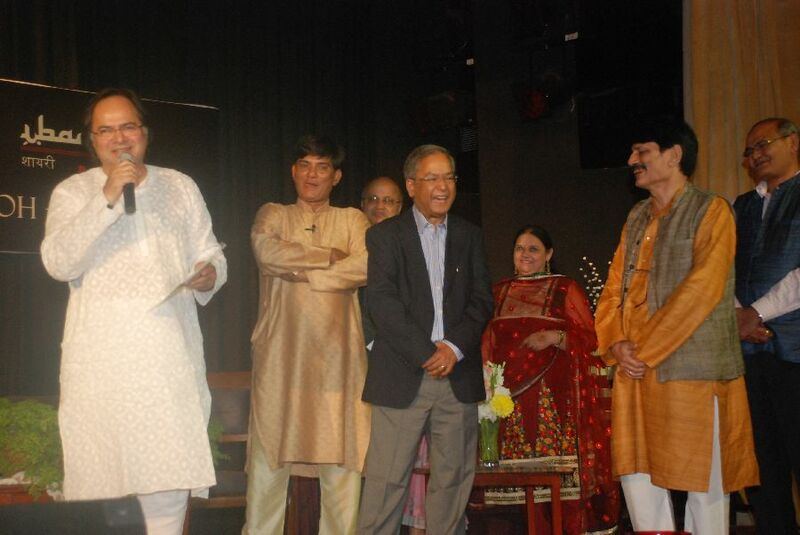 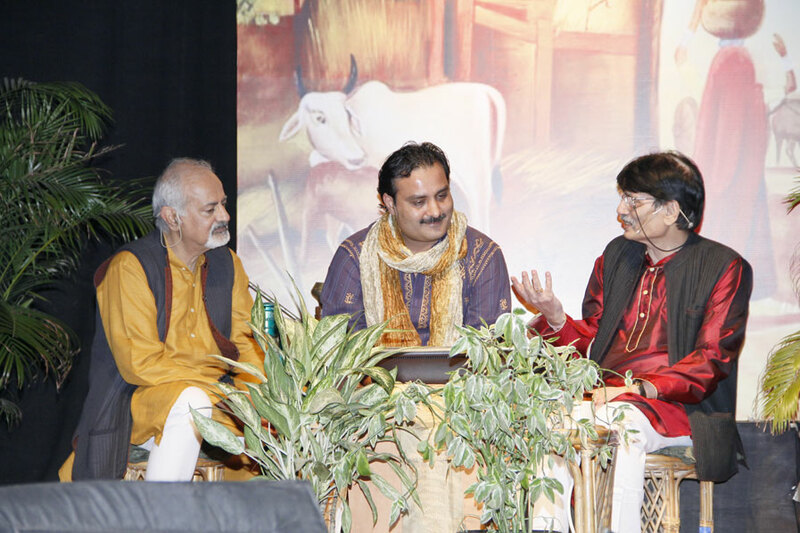 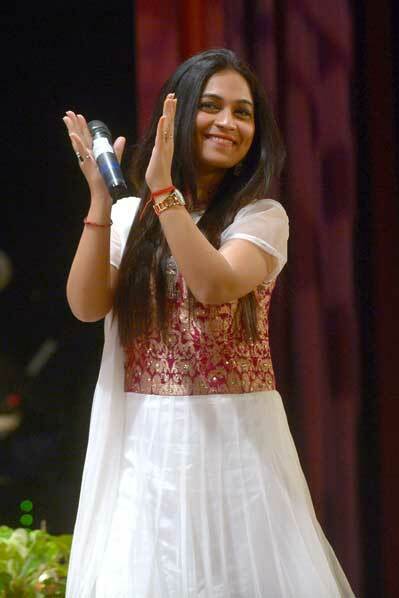 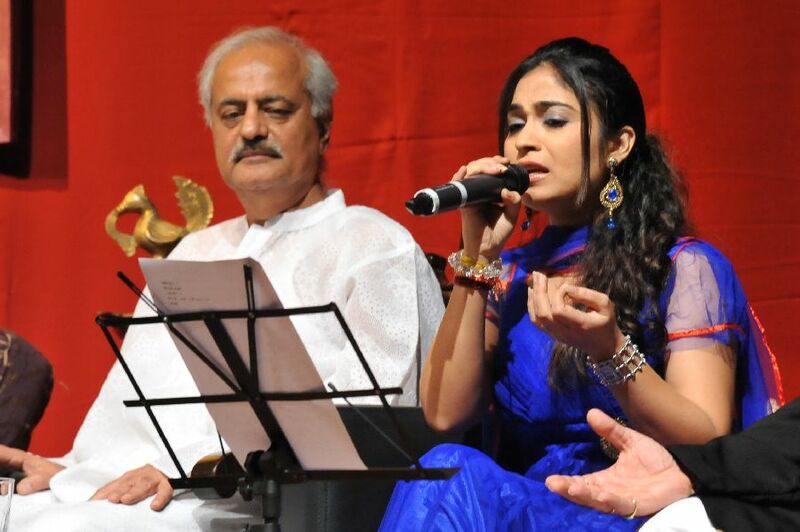 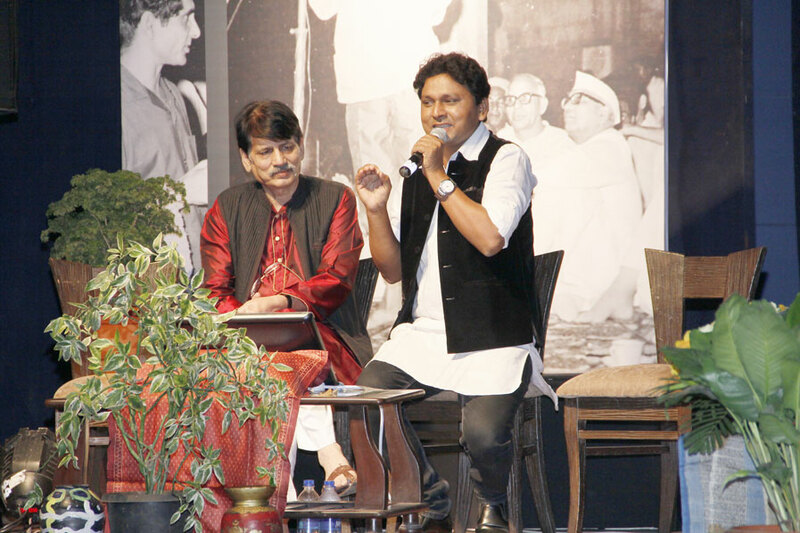 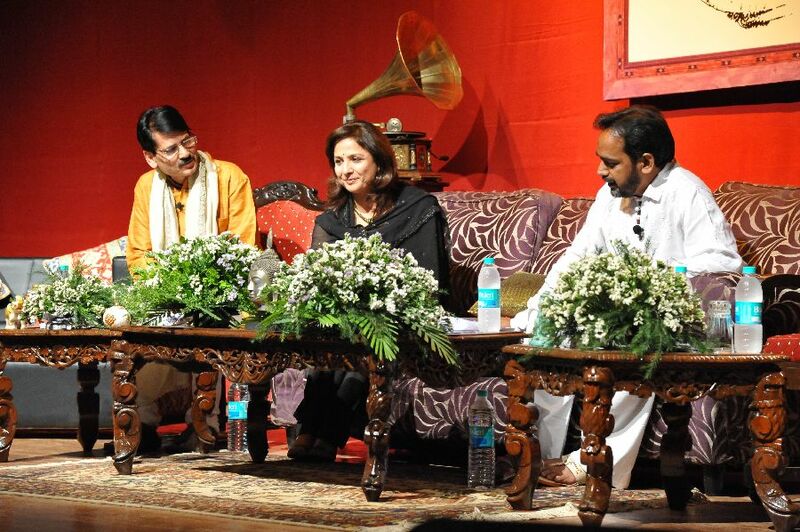 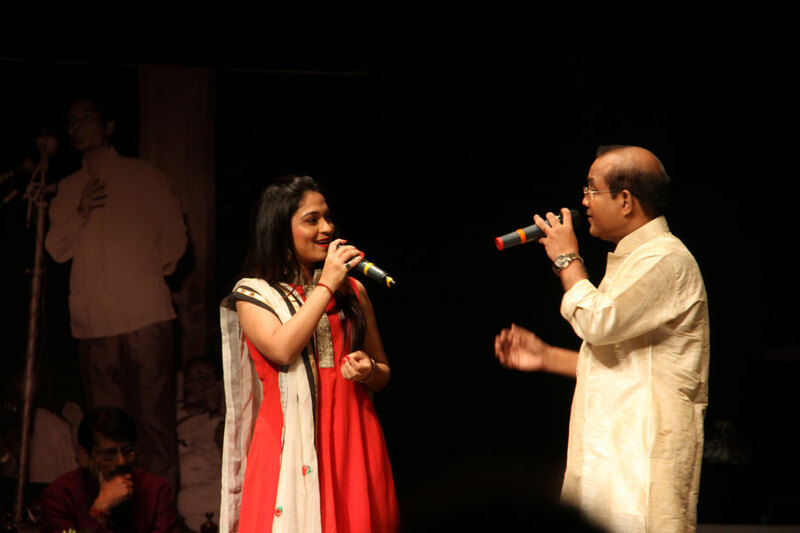 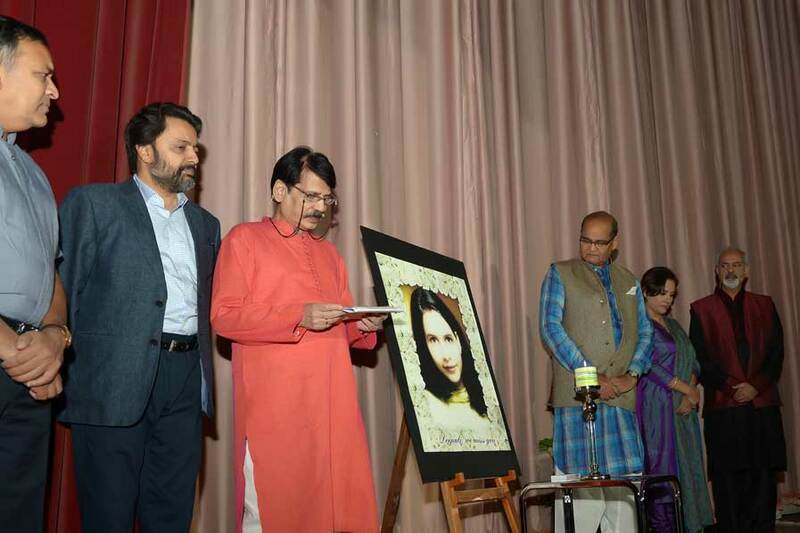 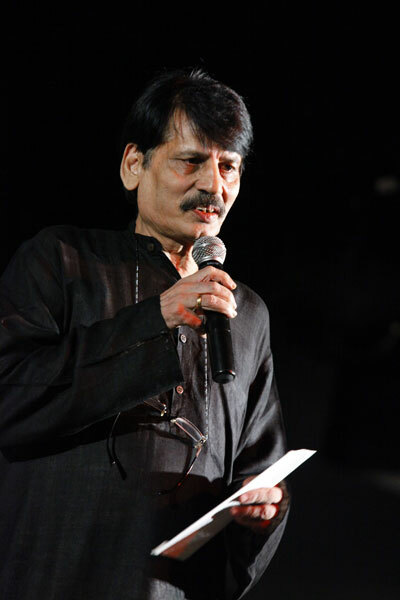 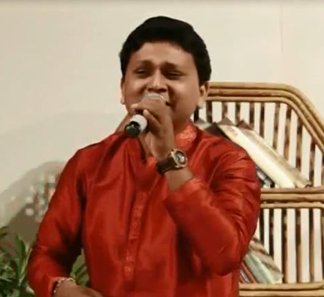 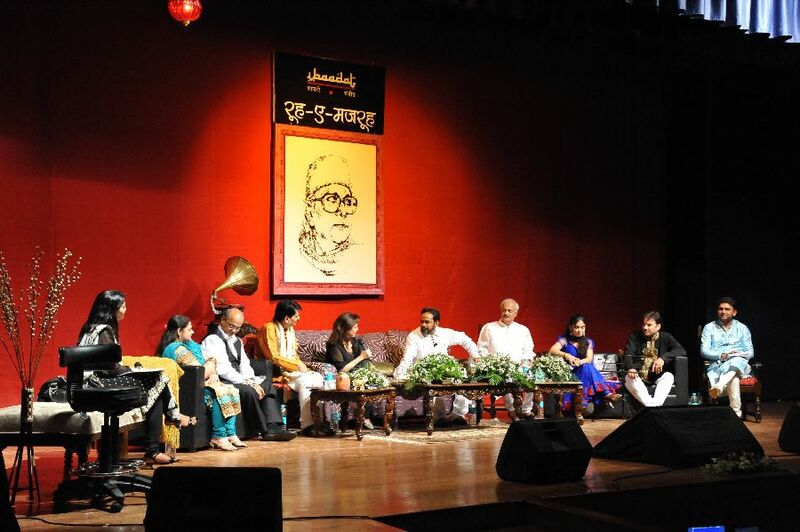 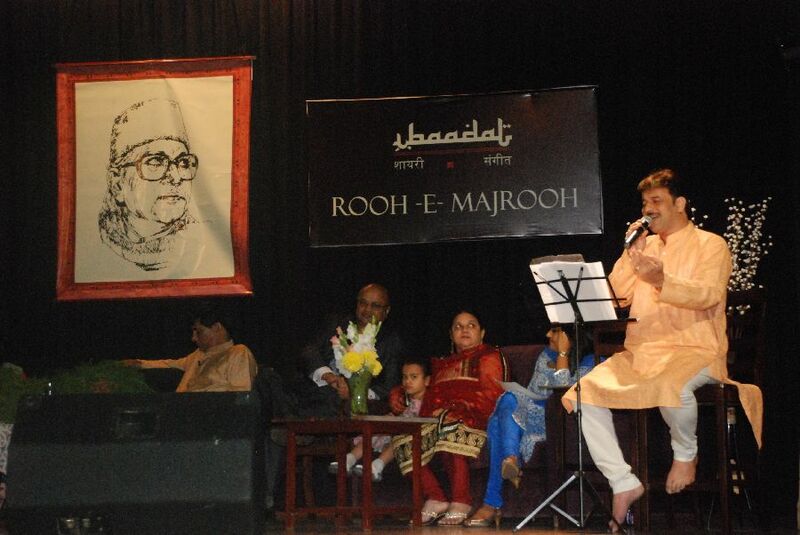 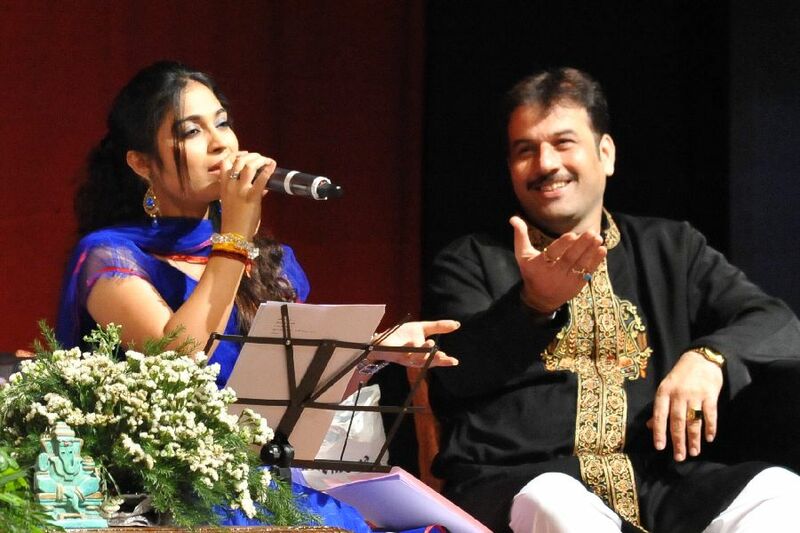 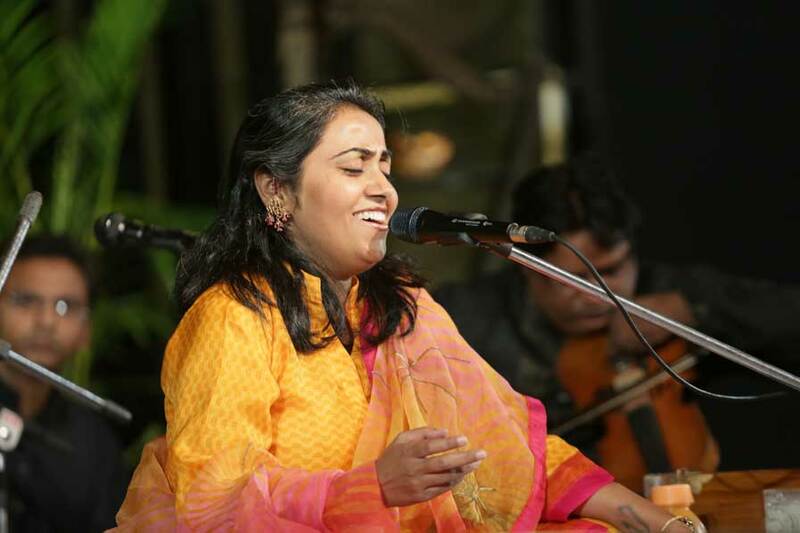 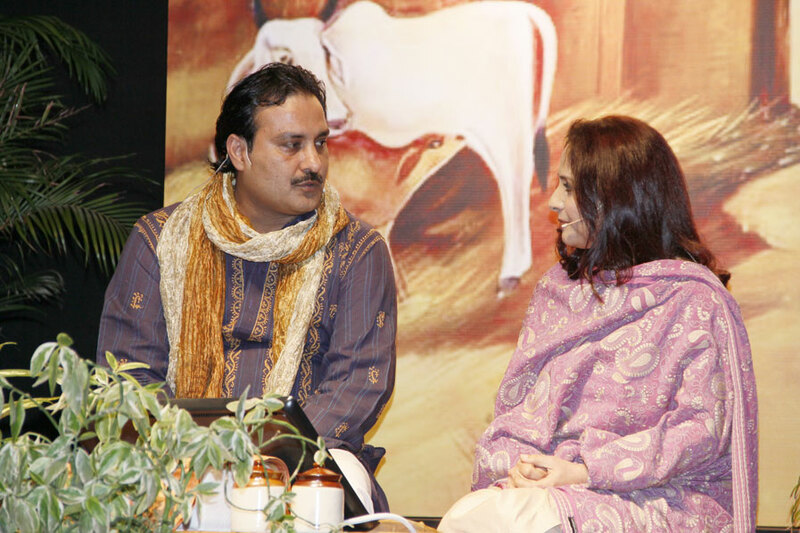 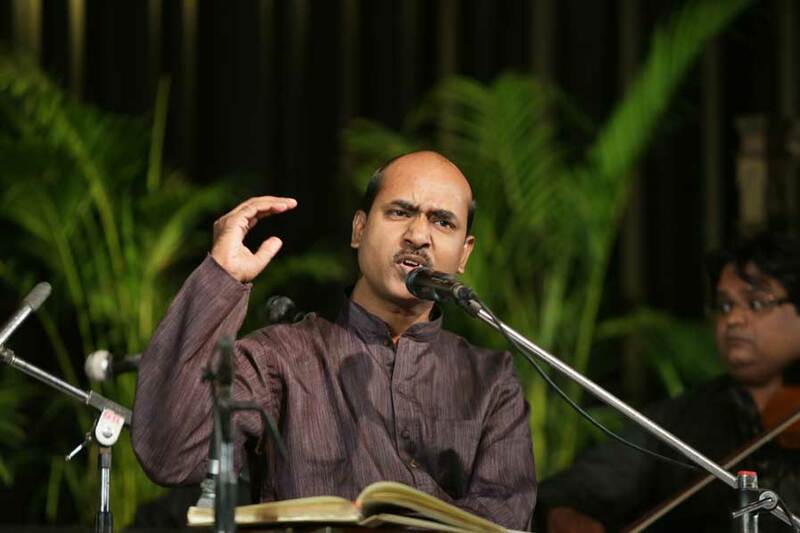 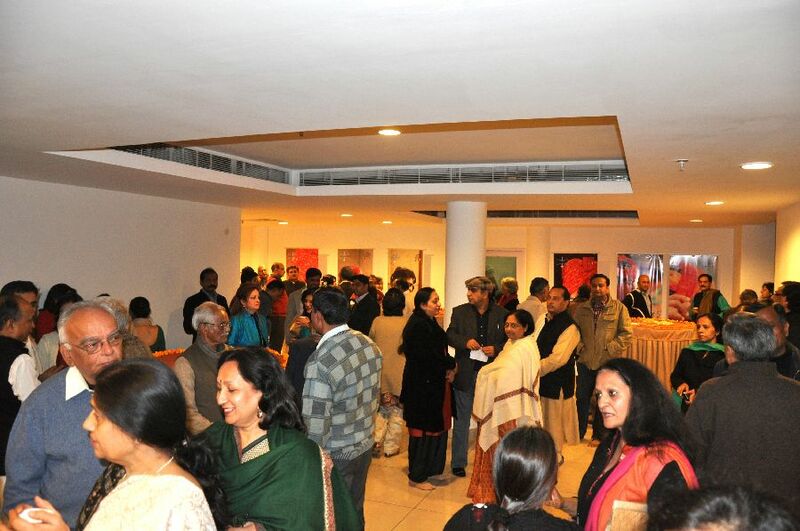 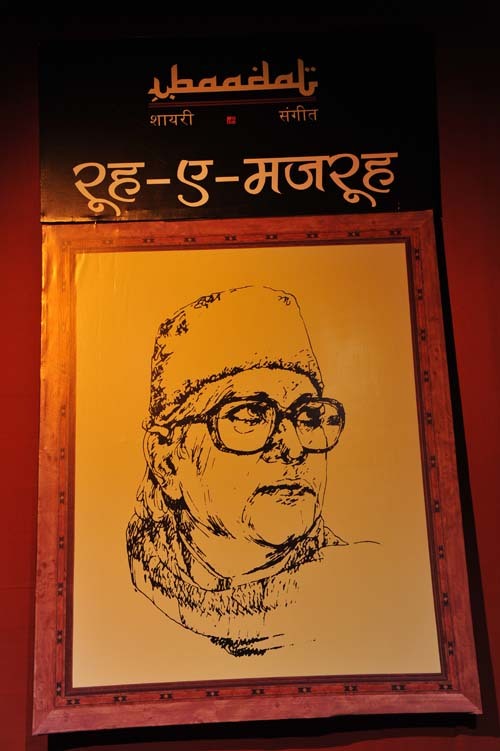 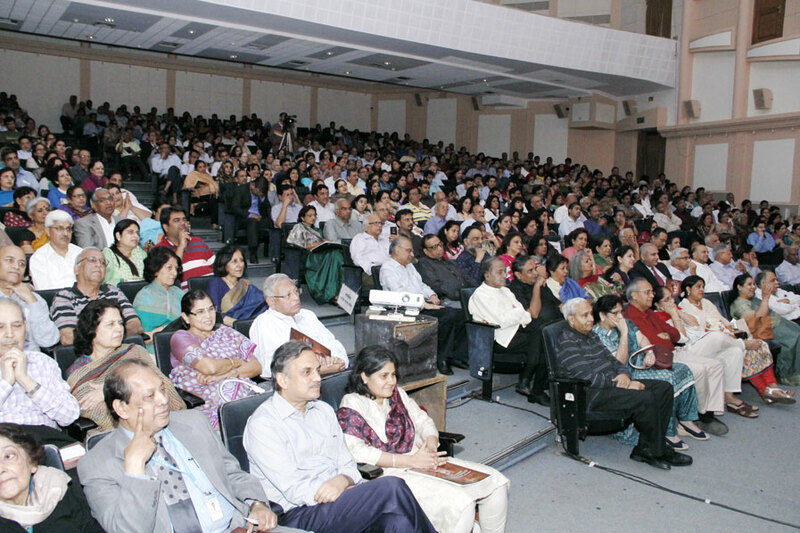 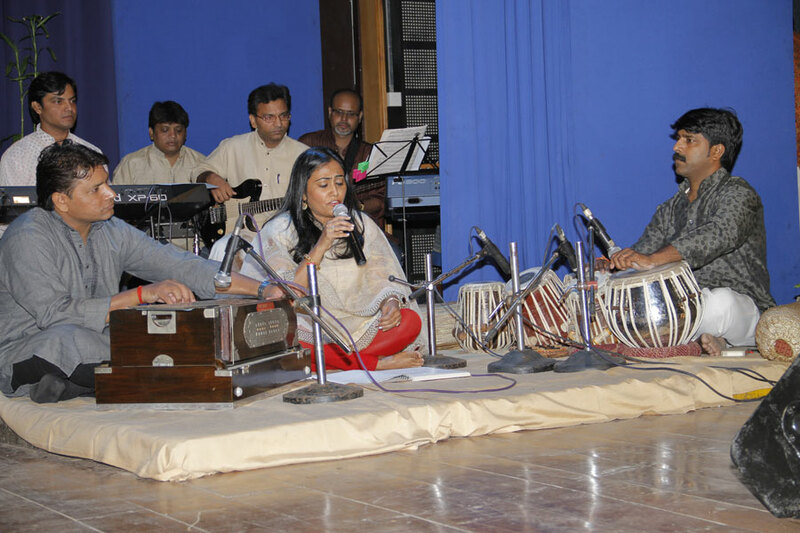 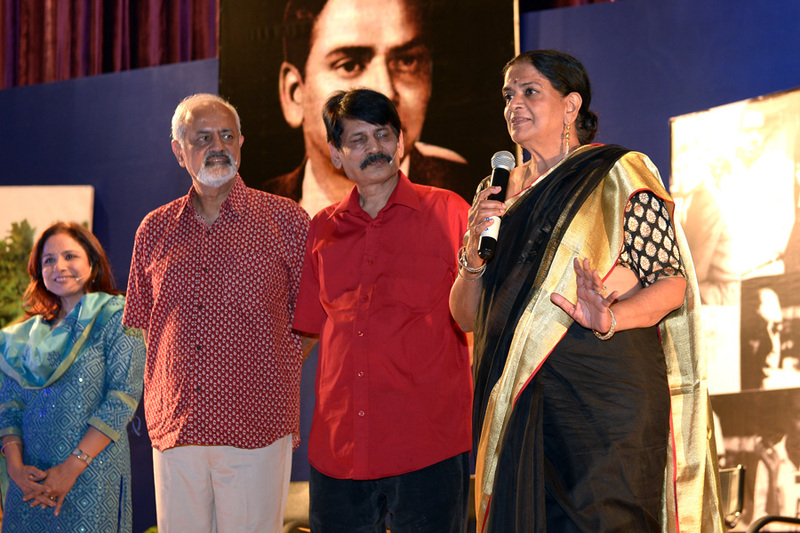 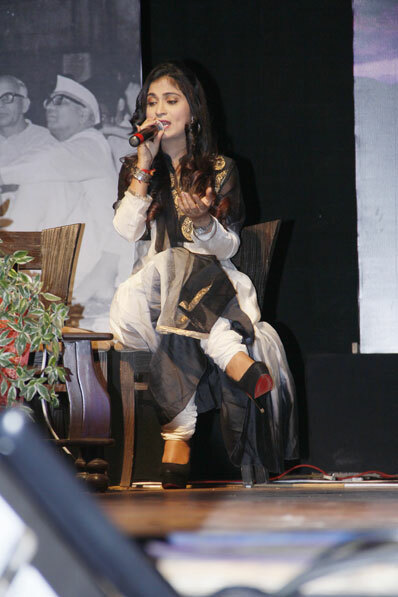 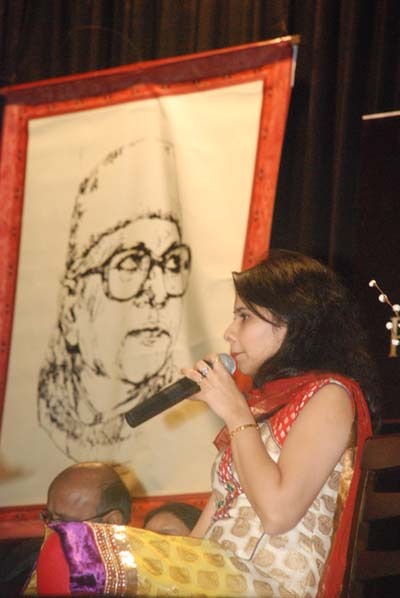 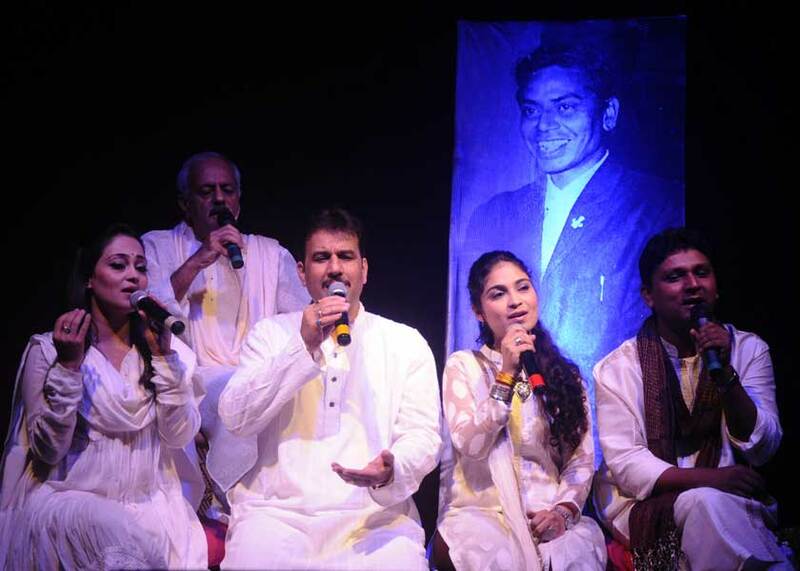 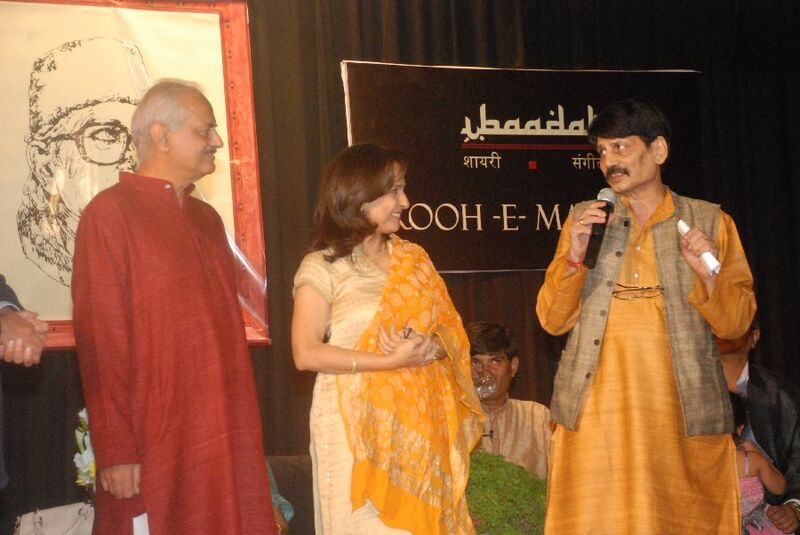 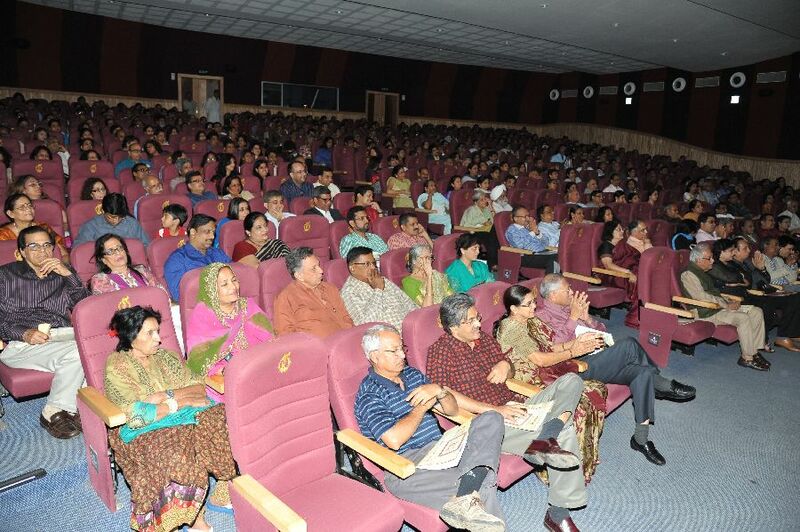 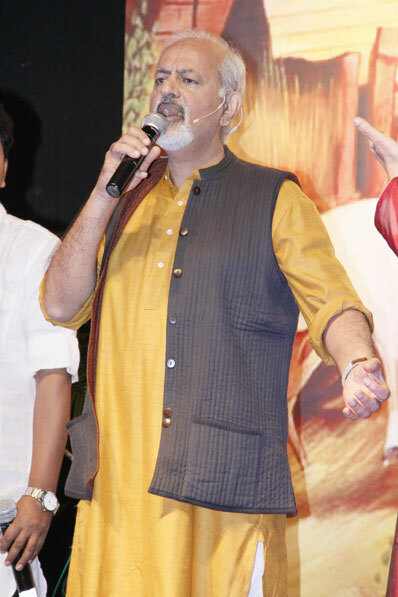 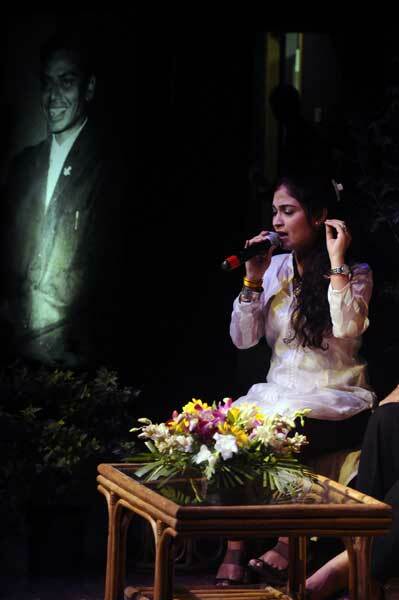 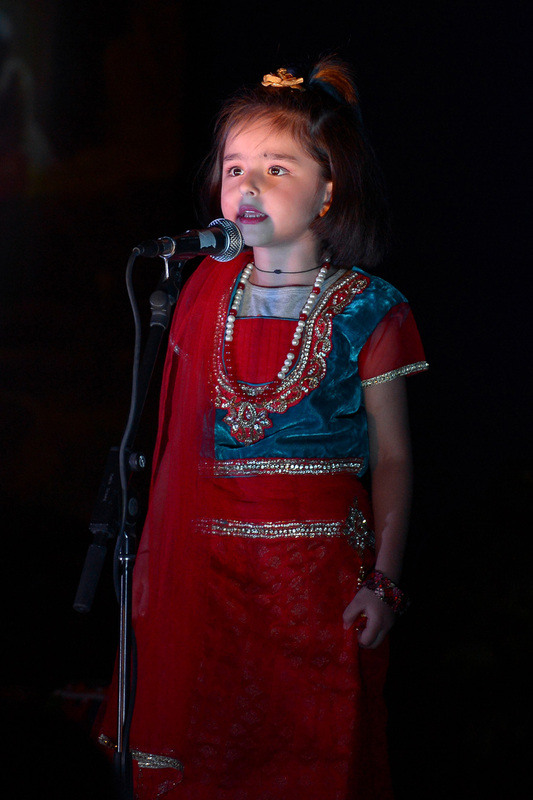 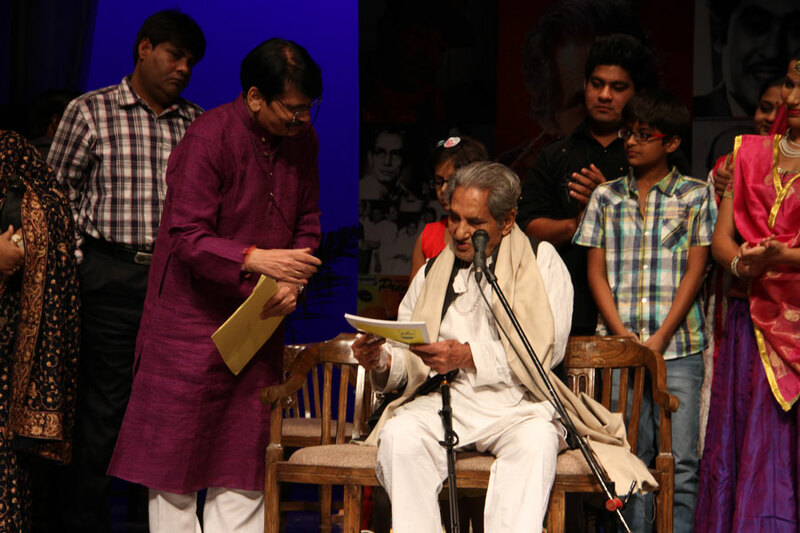 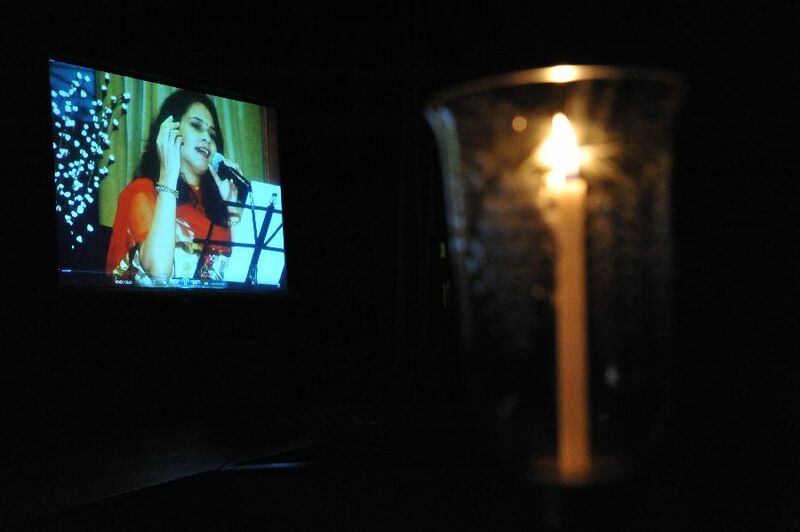 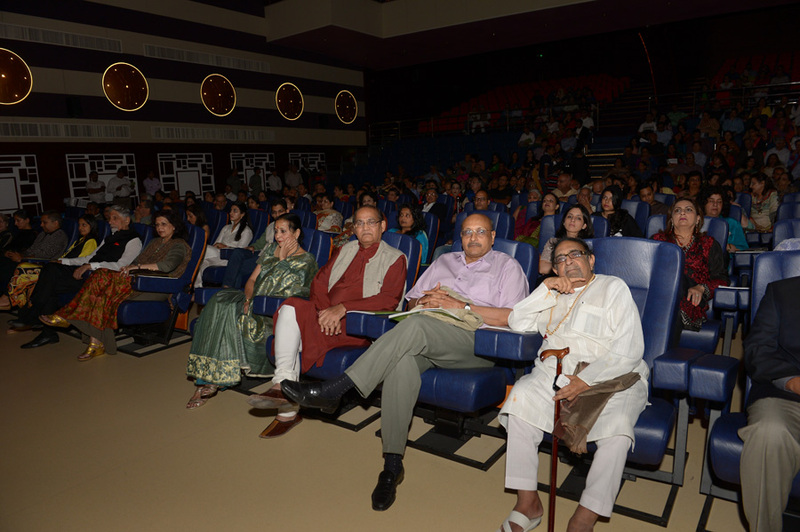 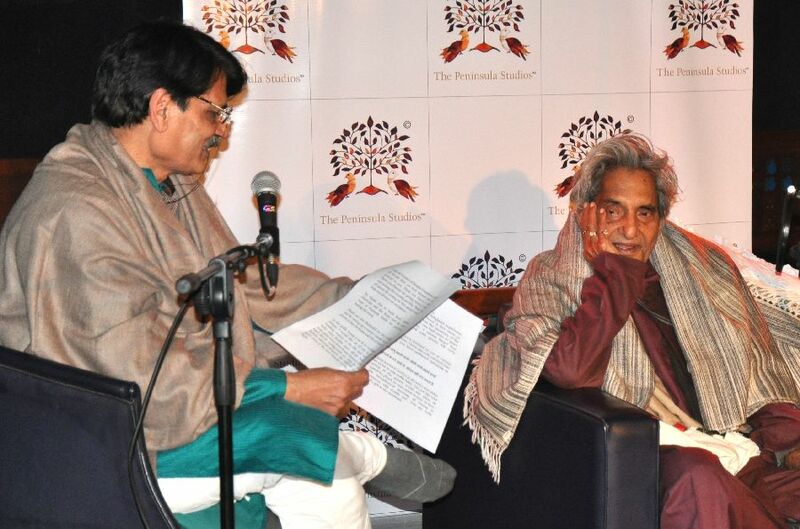 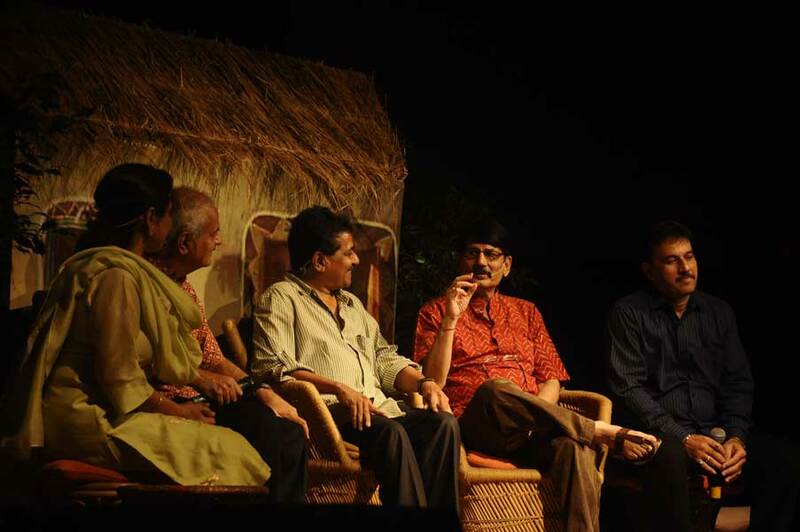 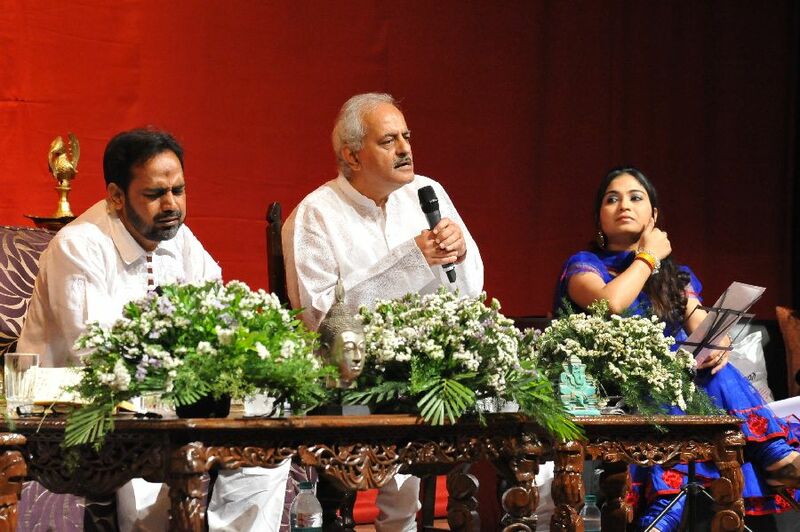 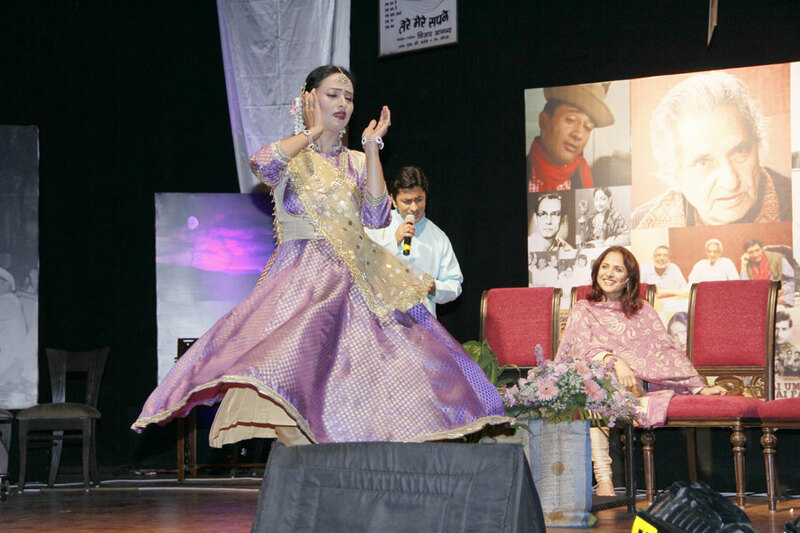 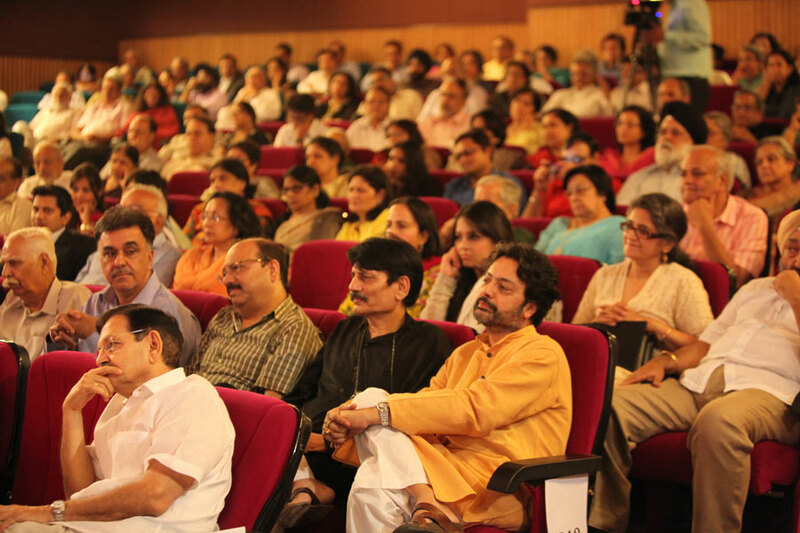 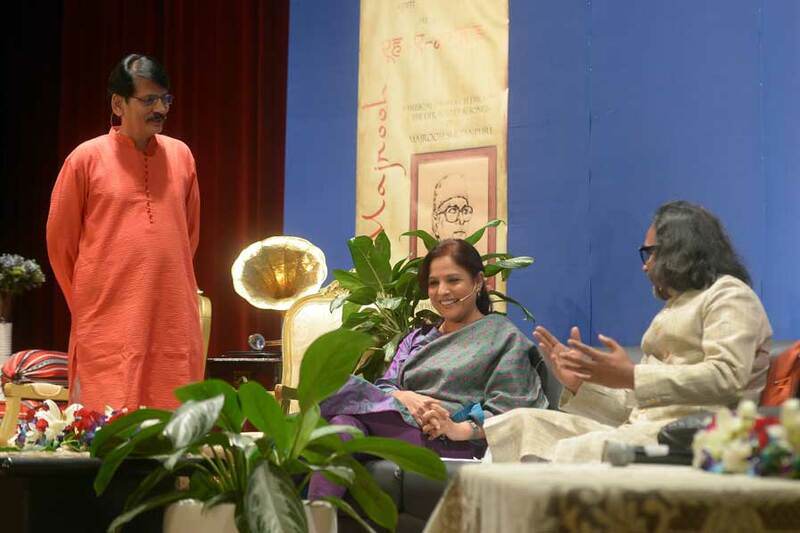 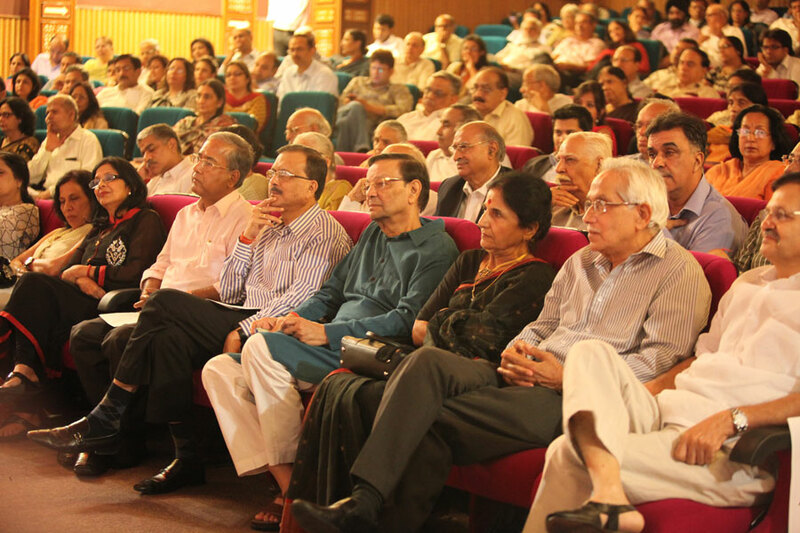 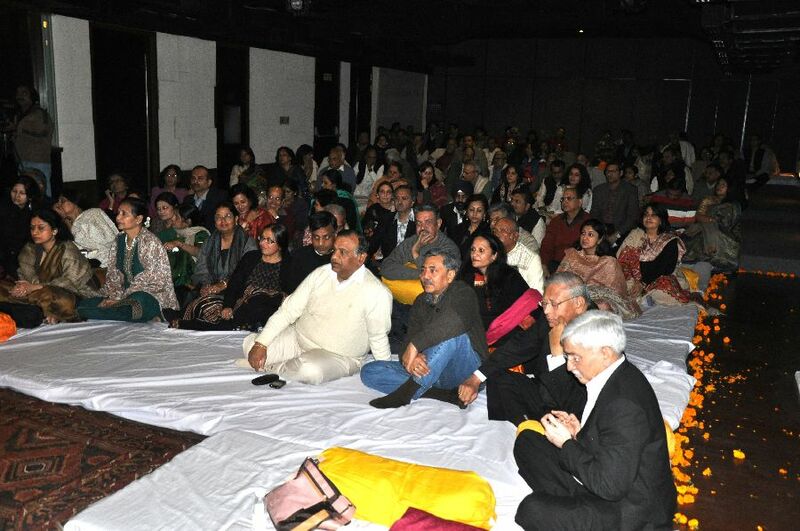 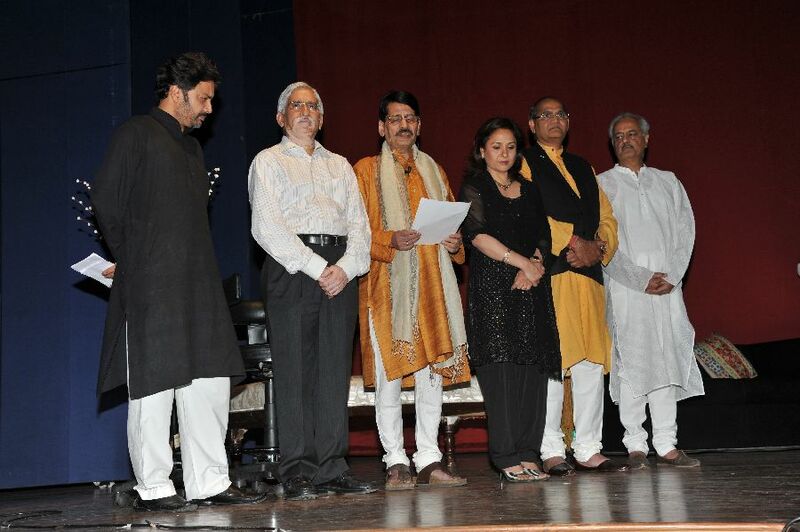 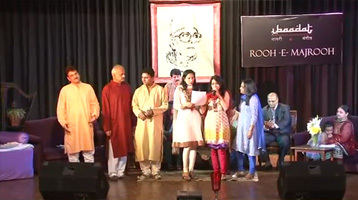 To display the wide range of the poet, scores of the poet’s songs are presented only through mukhdas. 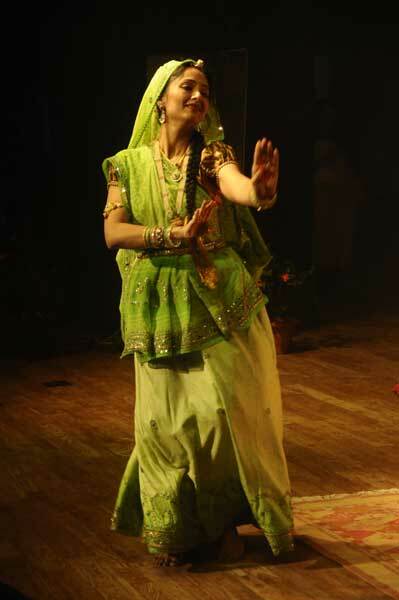 In certain shows, dance sequences are also added. 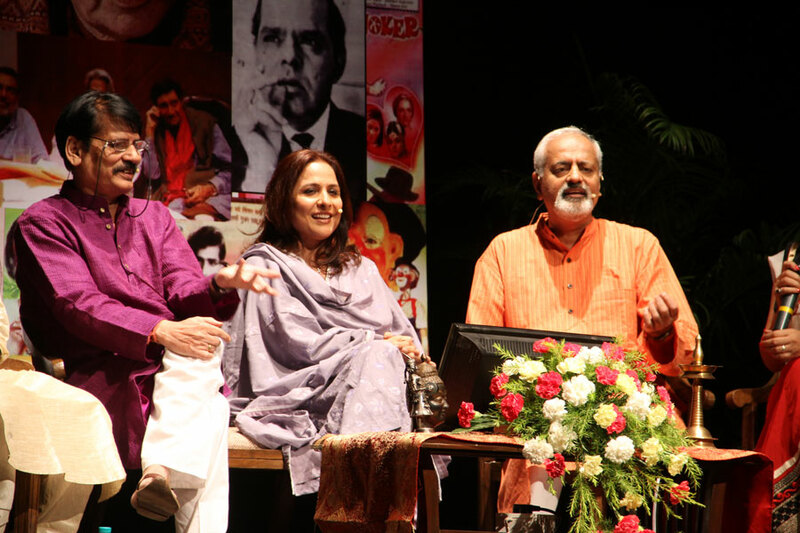 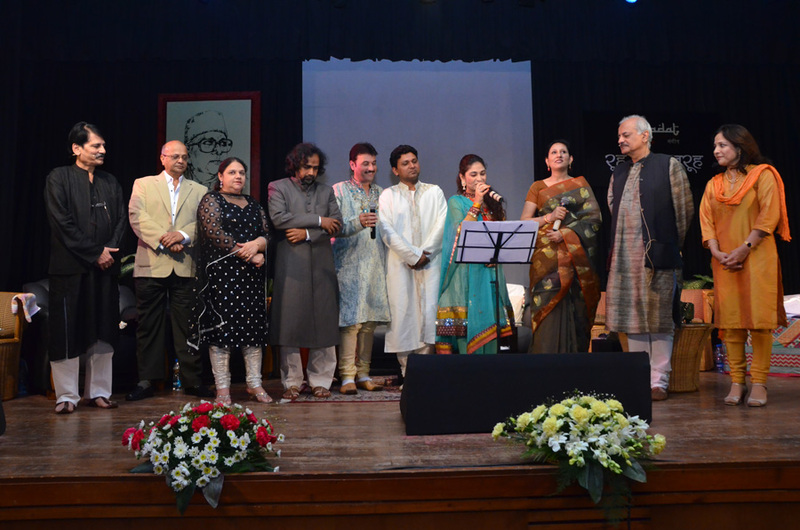 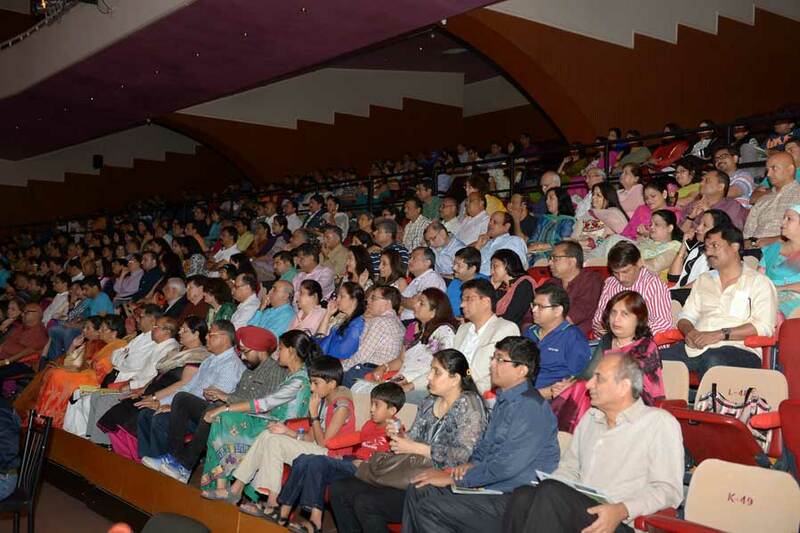 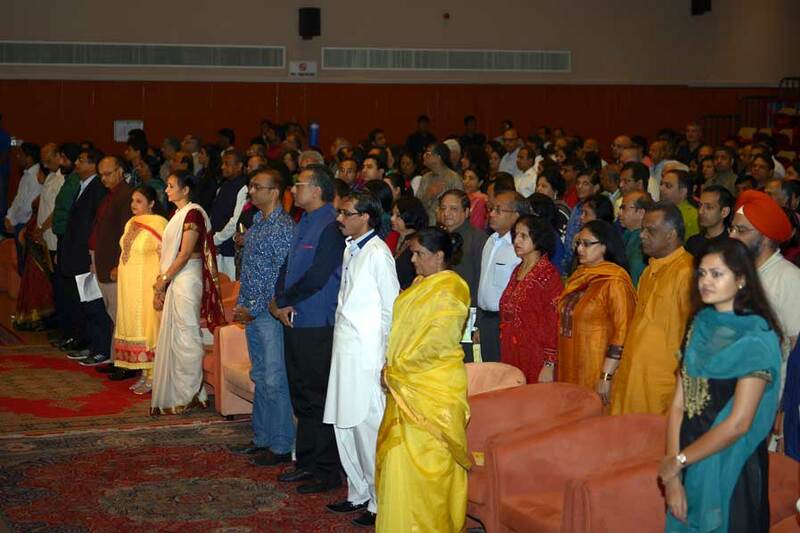 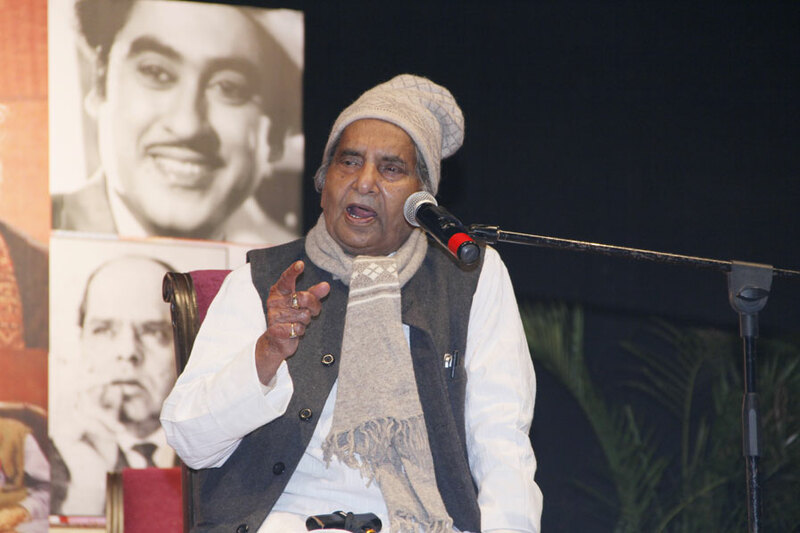 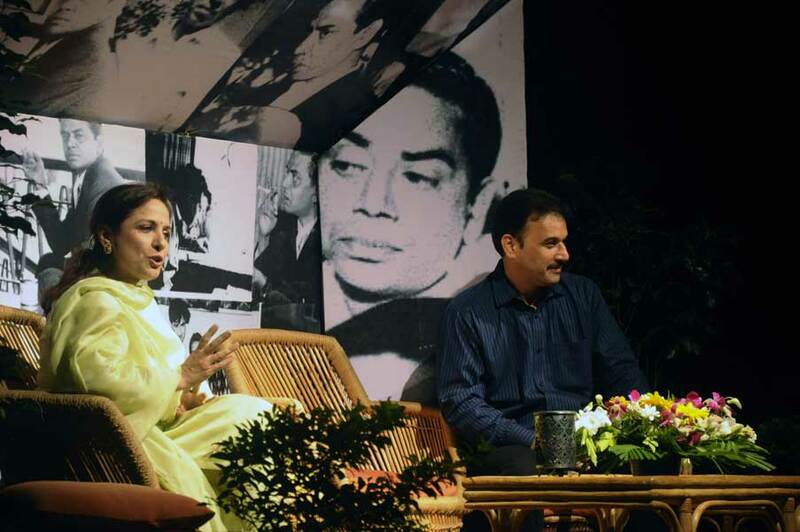 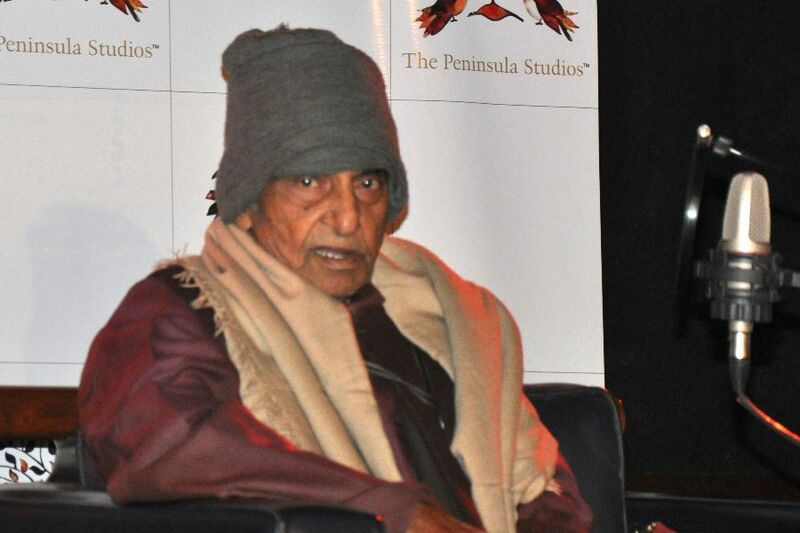 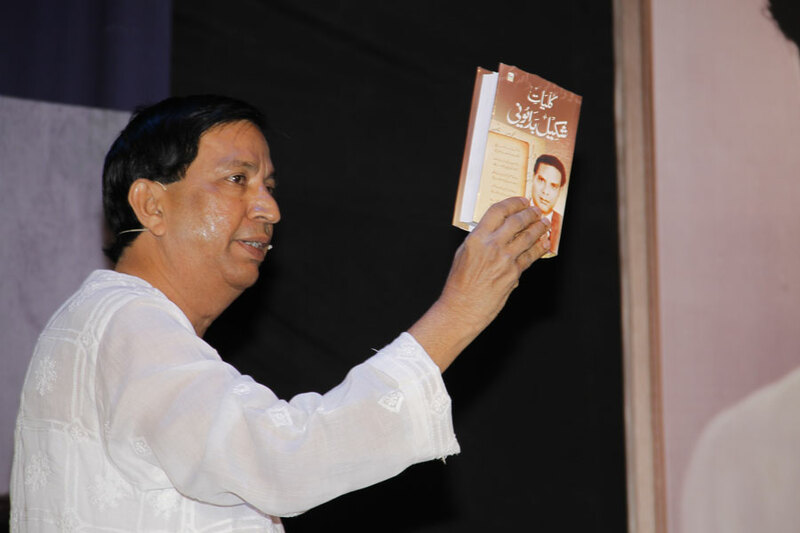 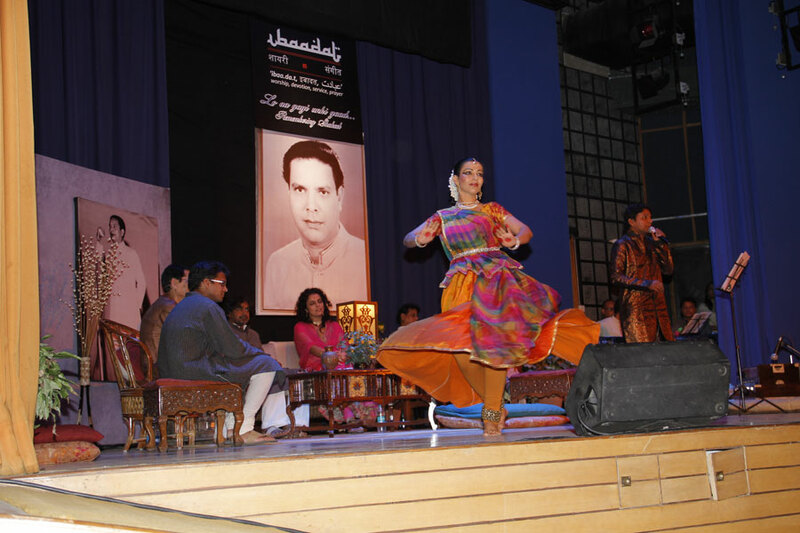 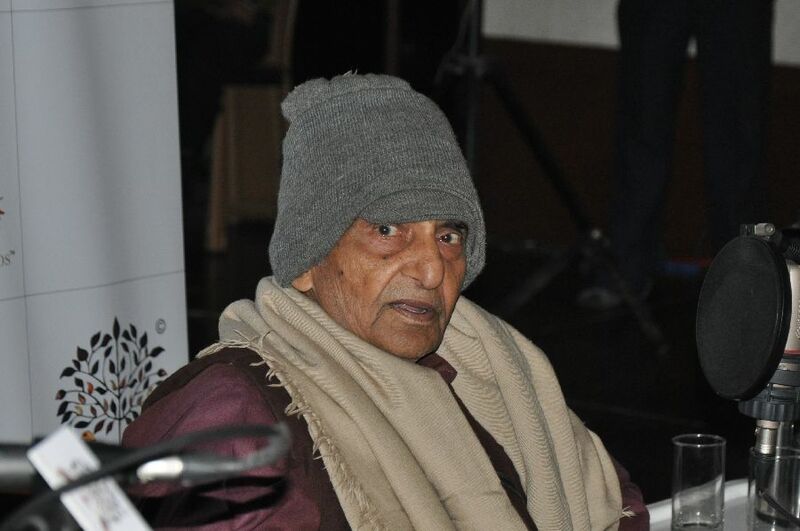 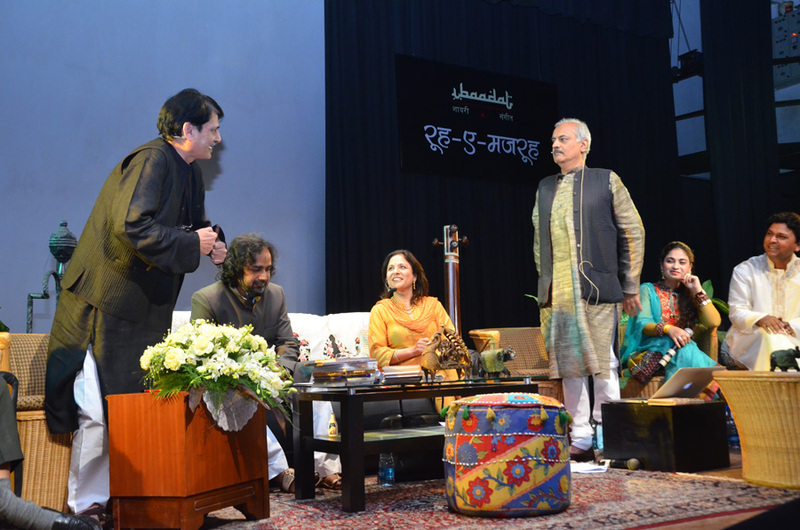 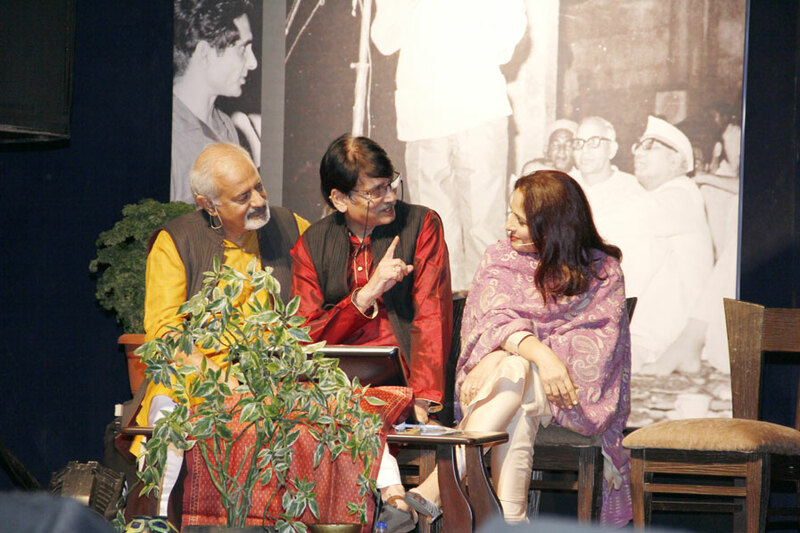 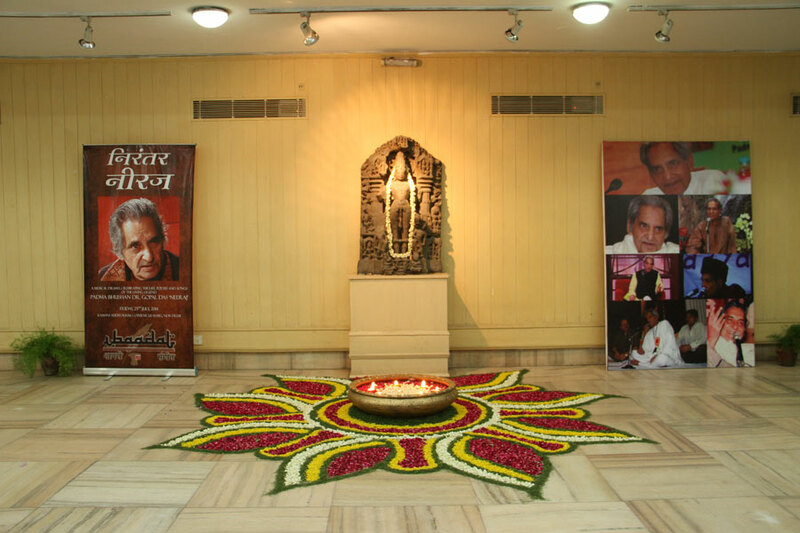 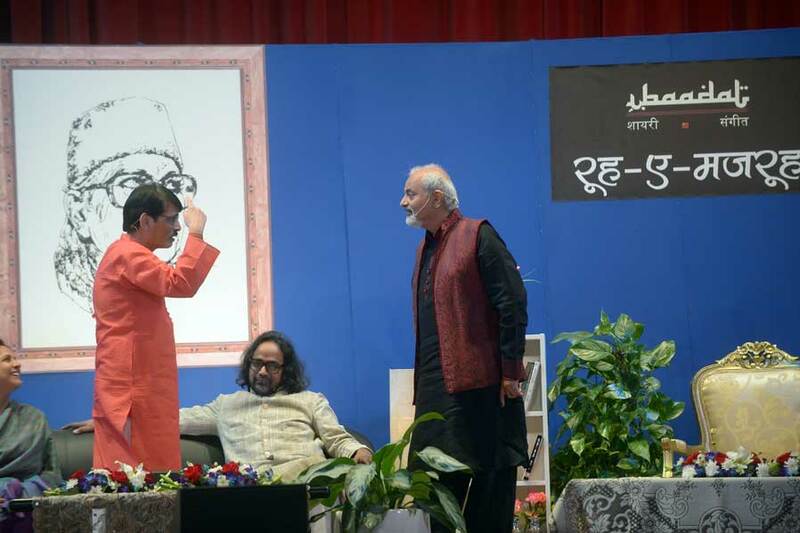 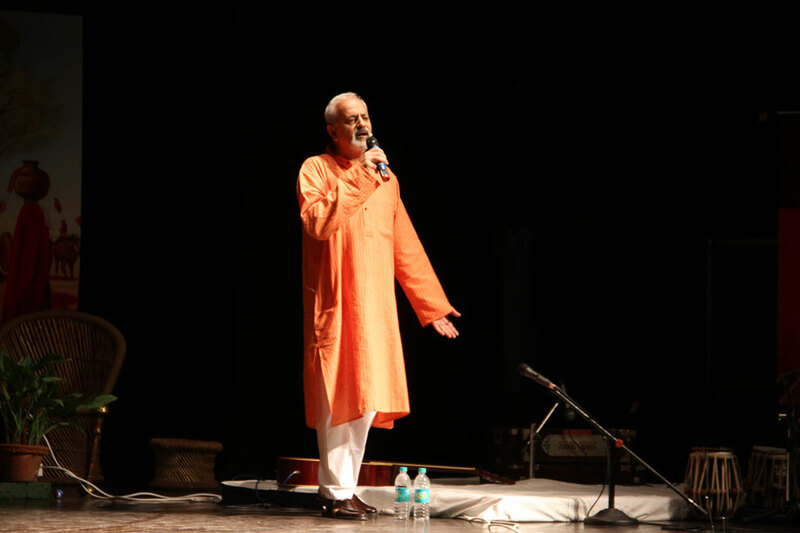 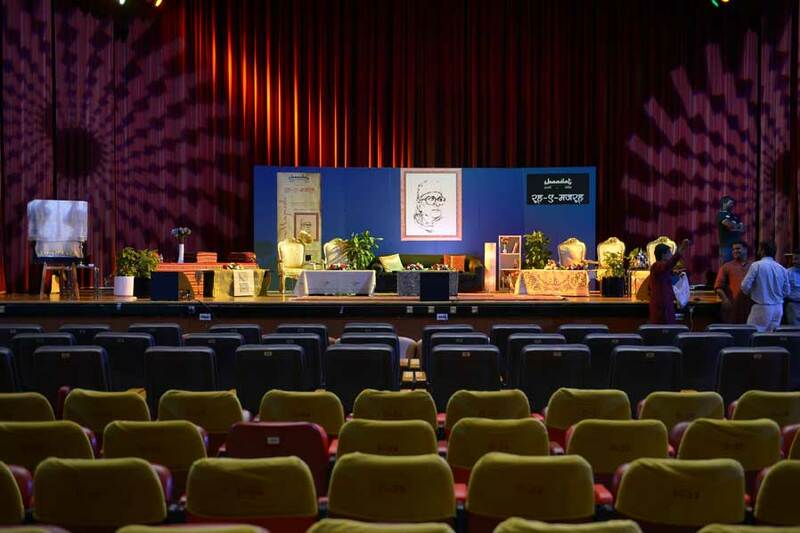 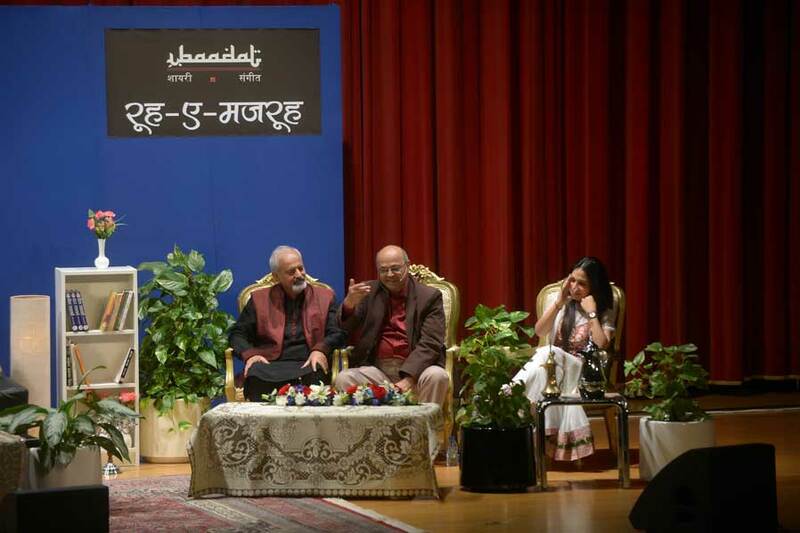 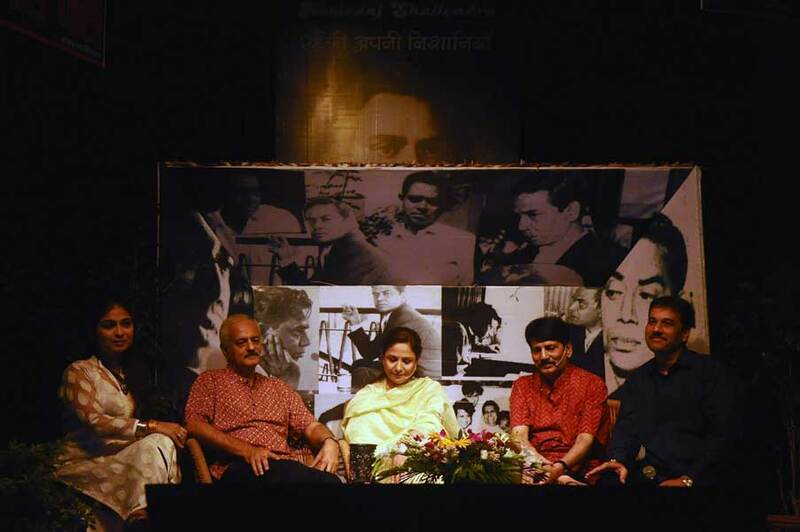 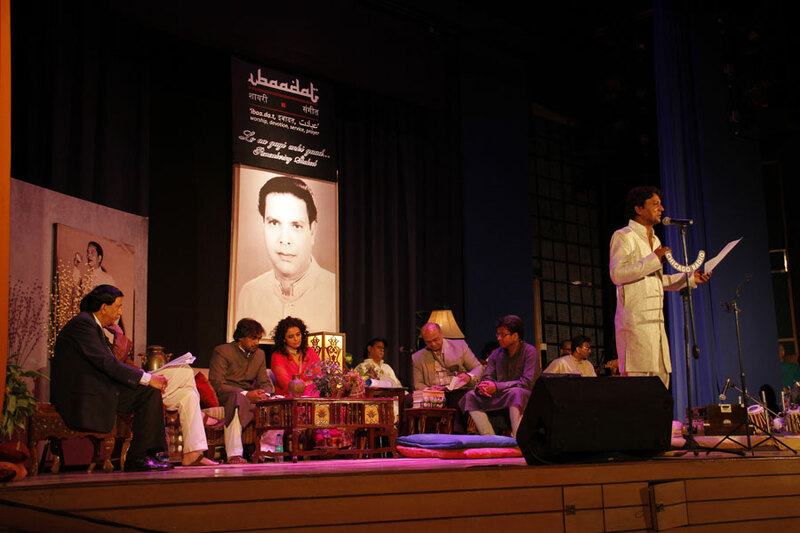 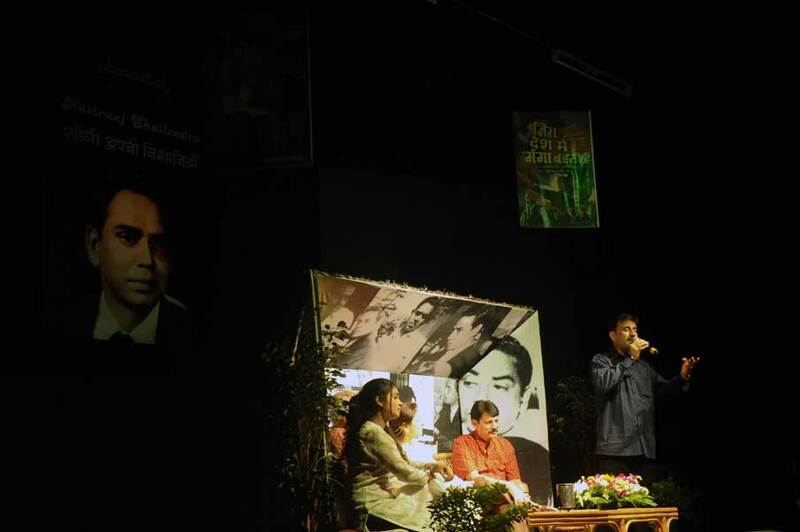 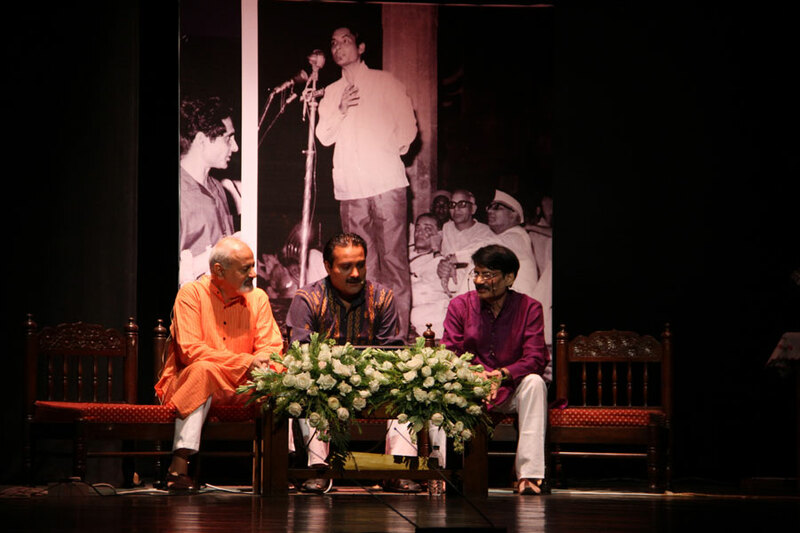 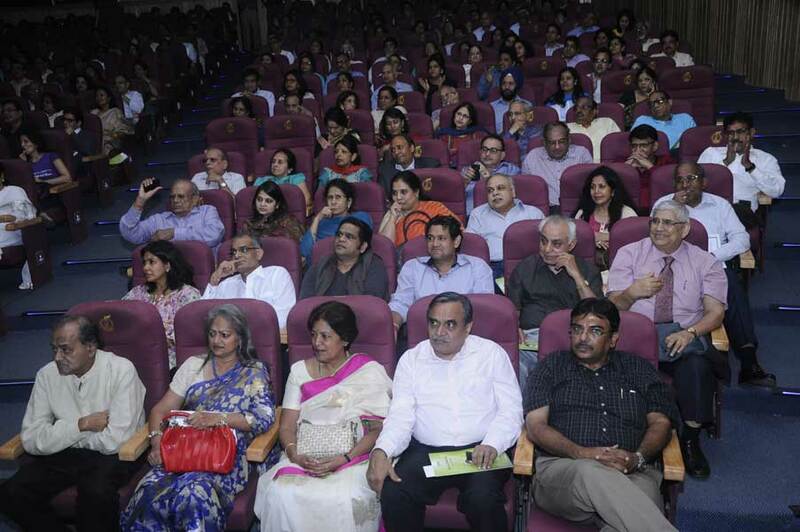 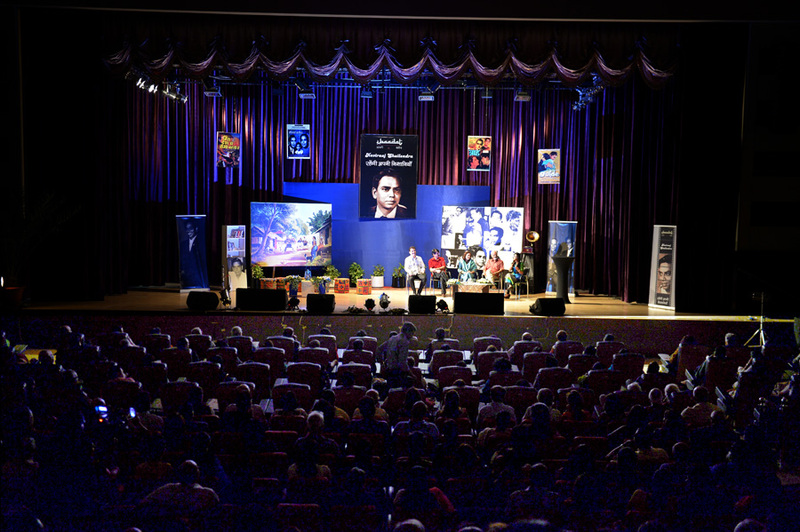 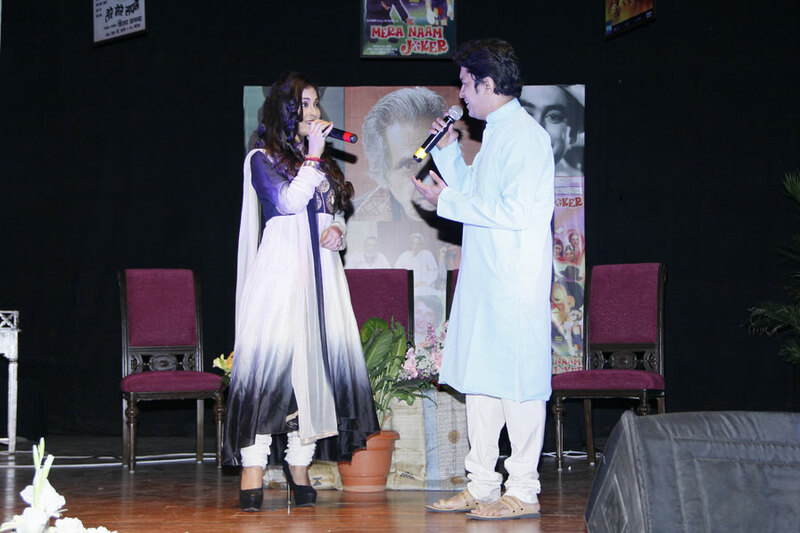 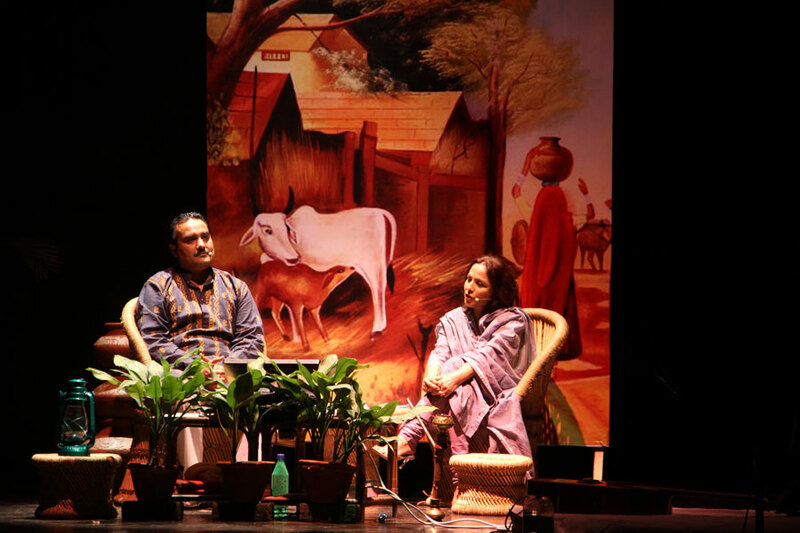 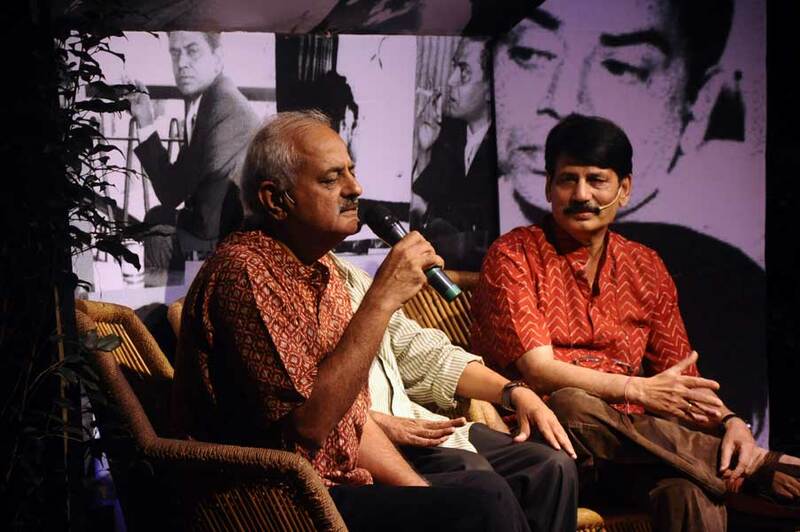 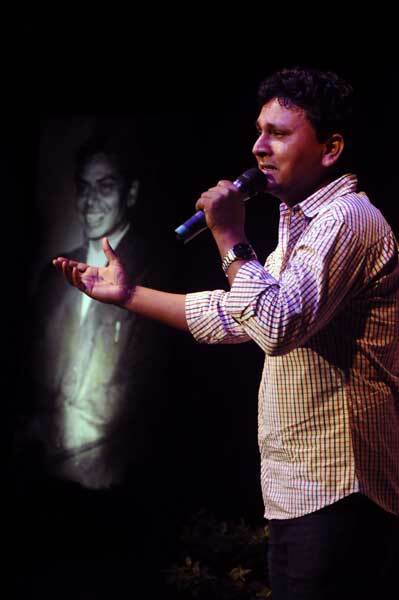 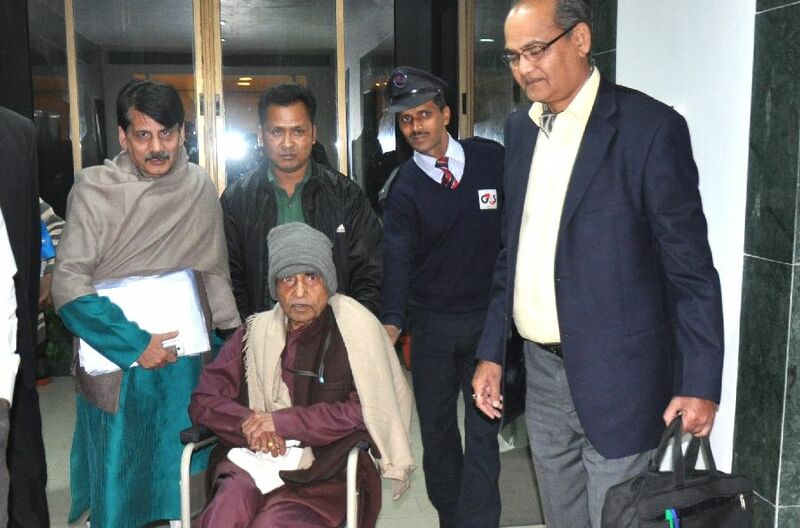 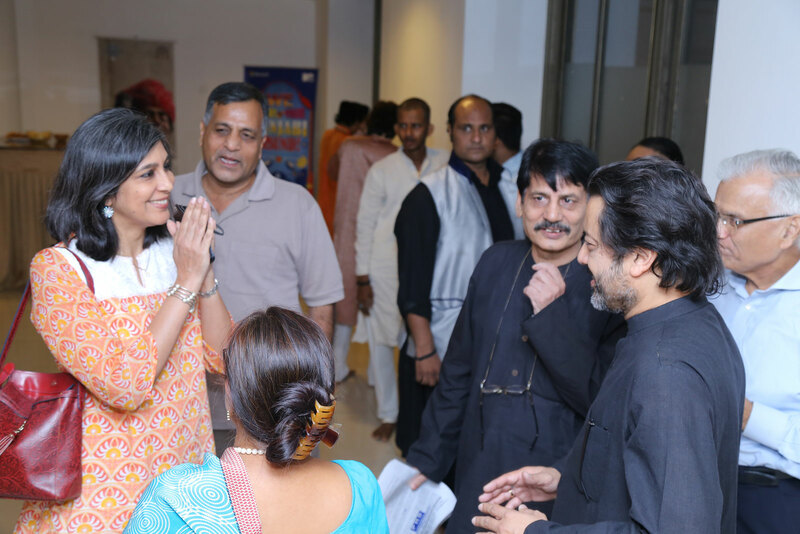 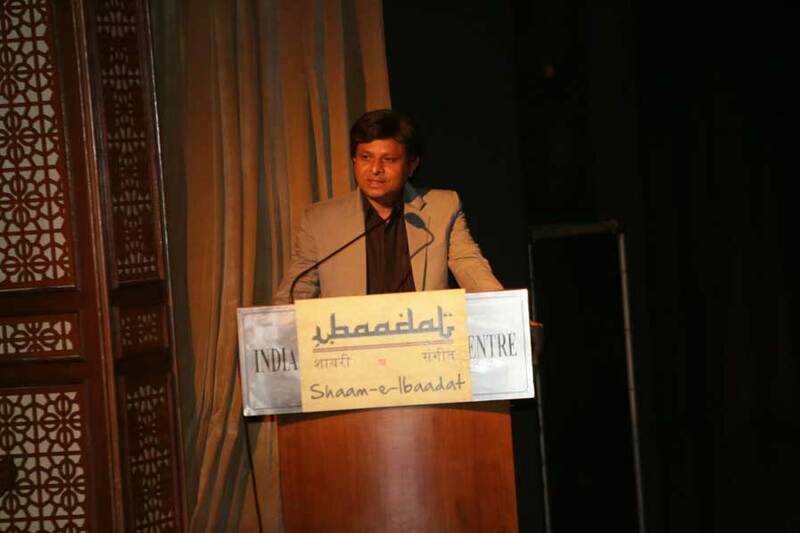 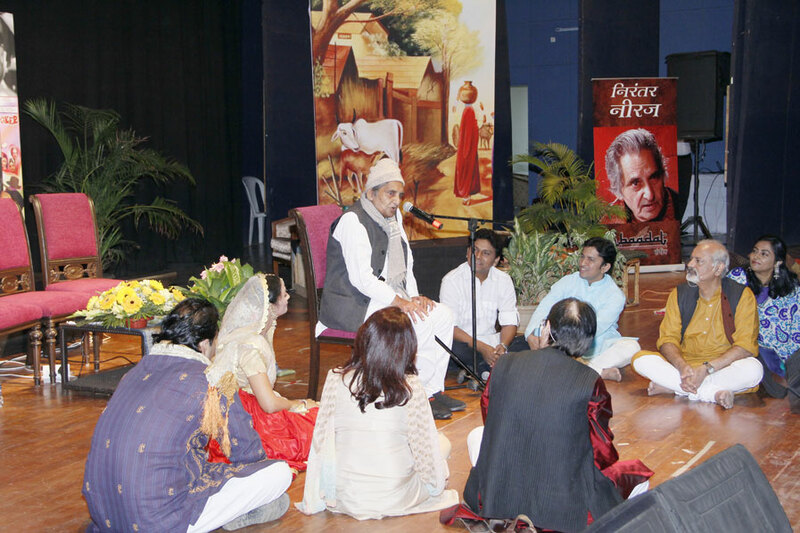 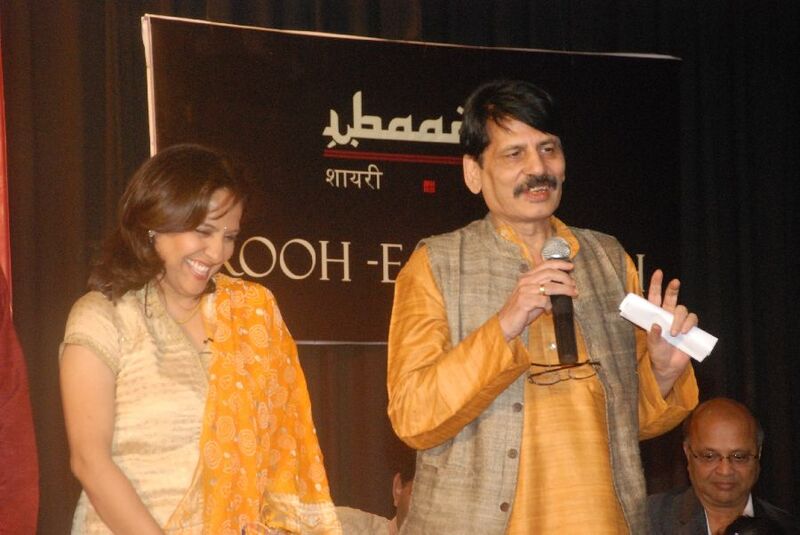 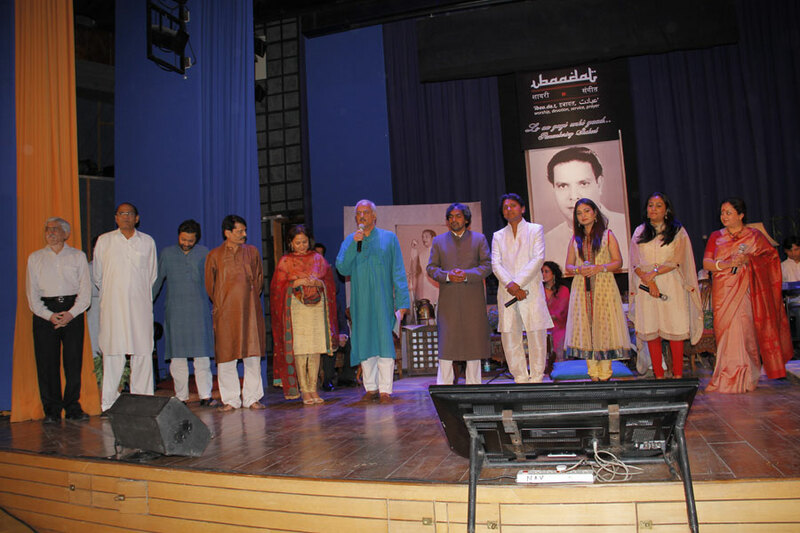 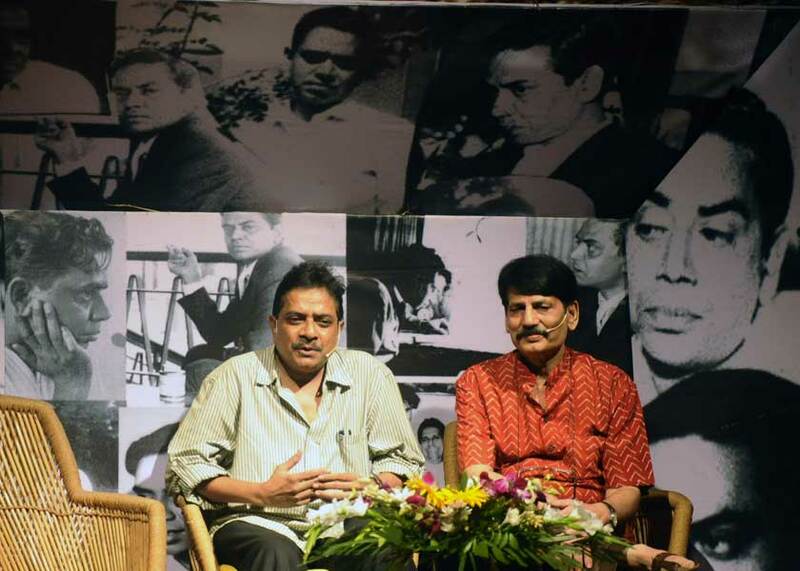 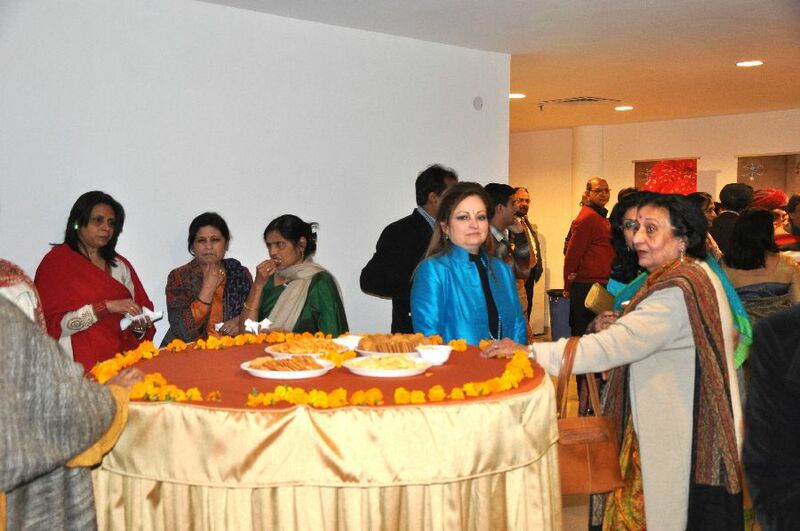 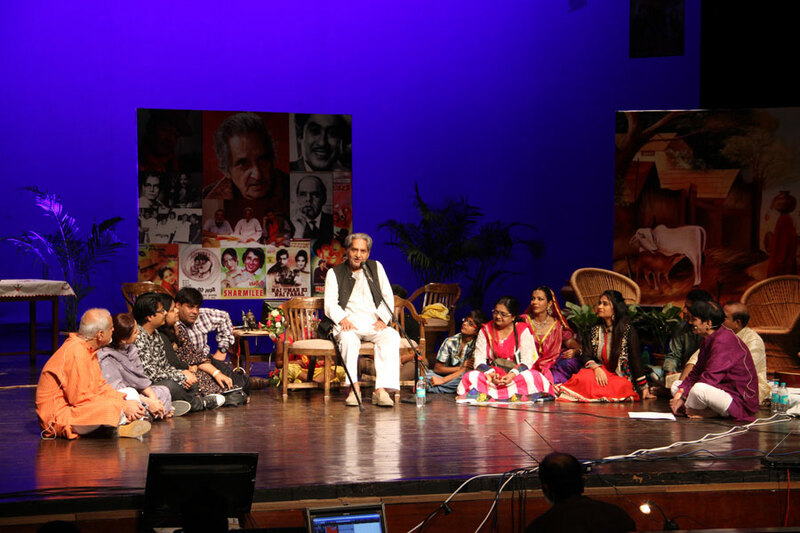 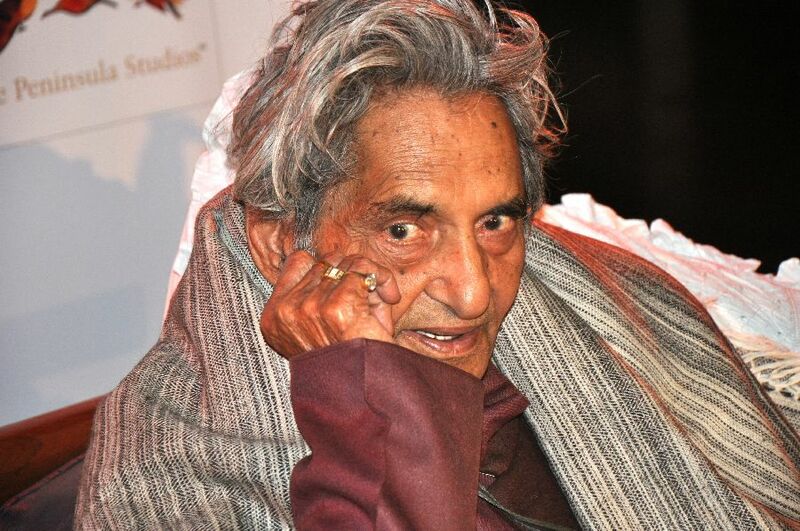 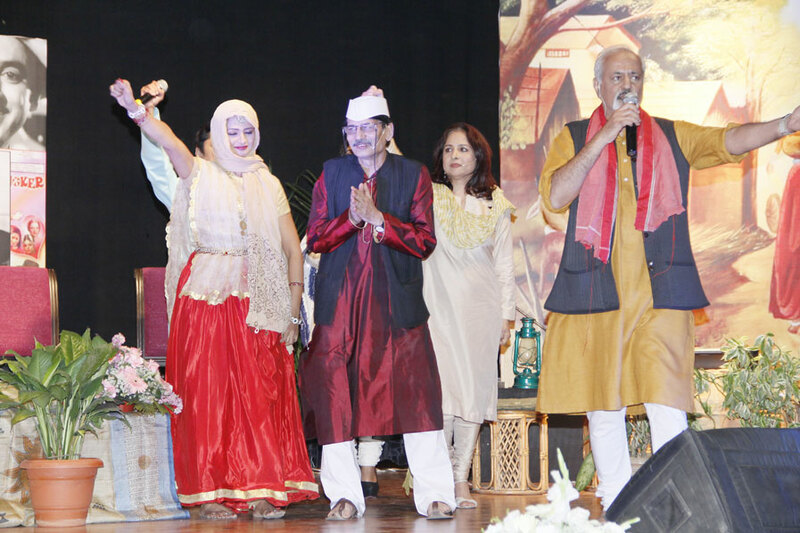 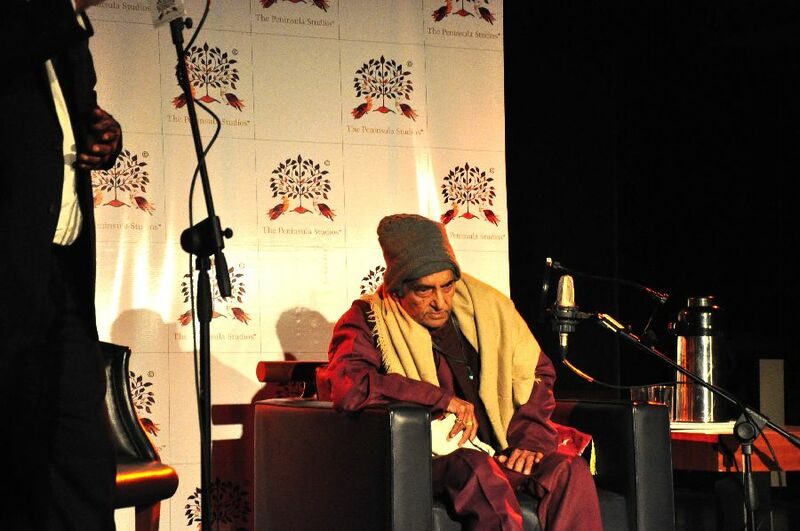 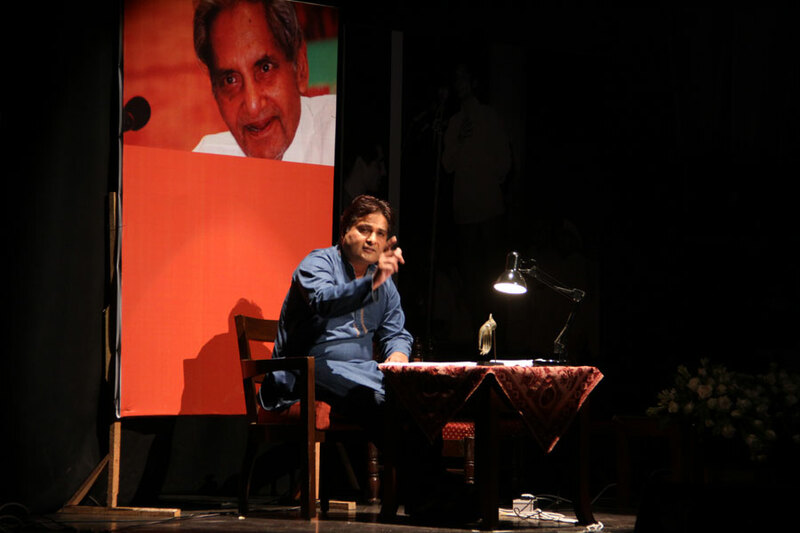 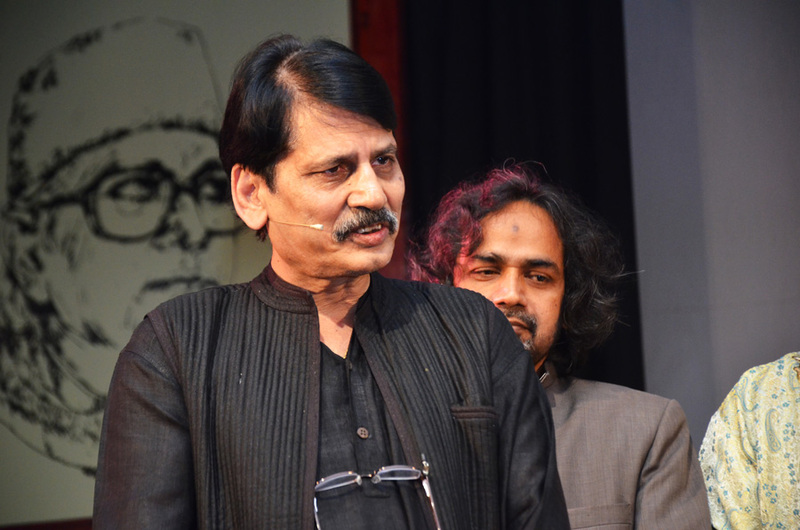 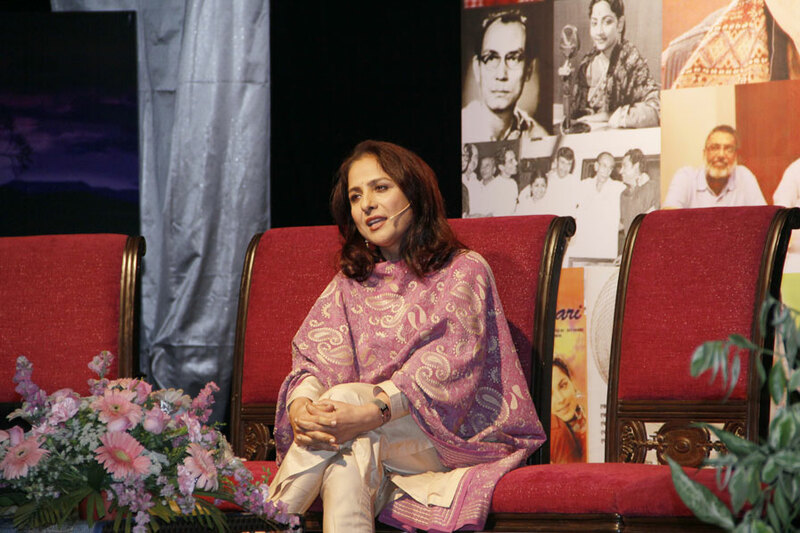 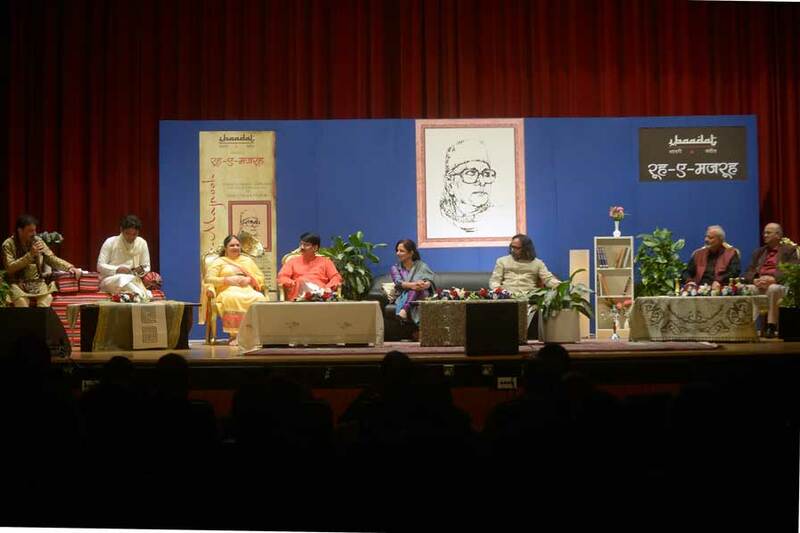 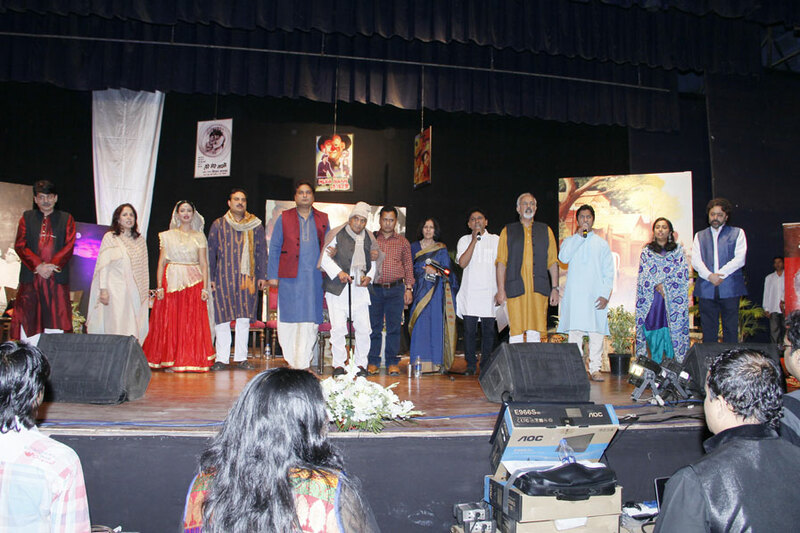 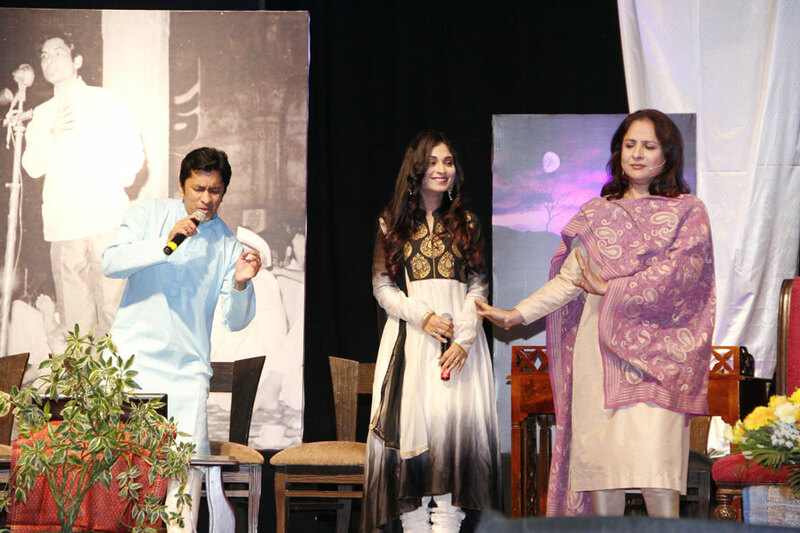 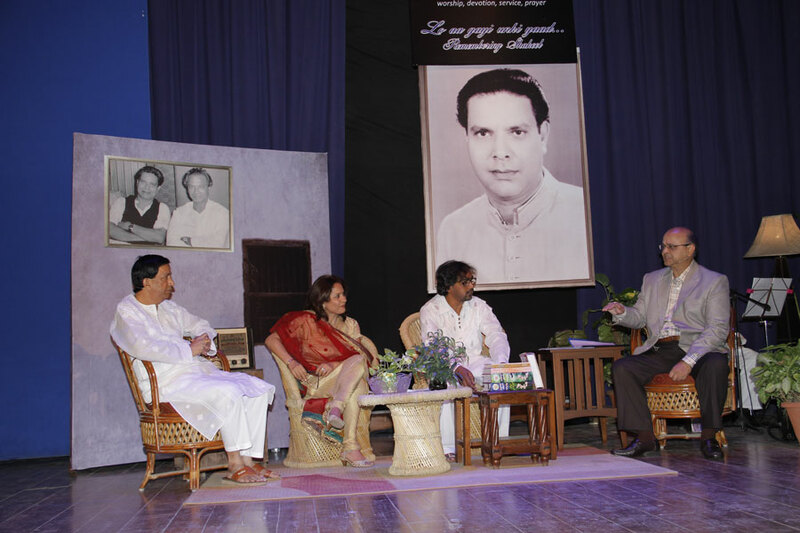 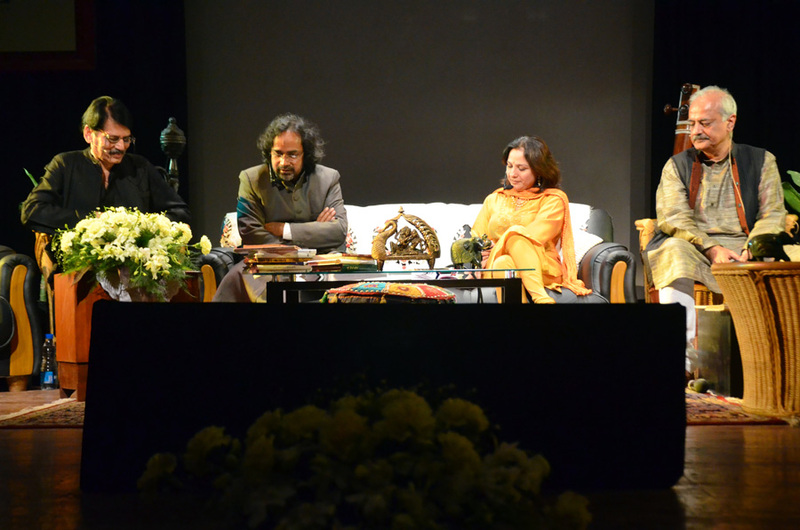 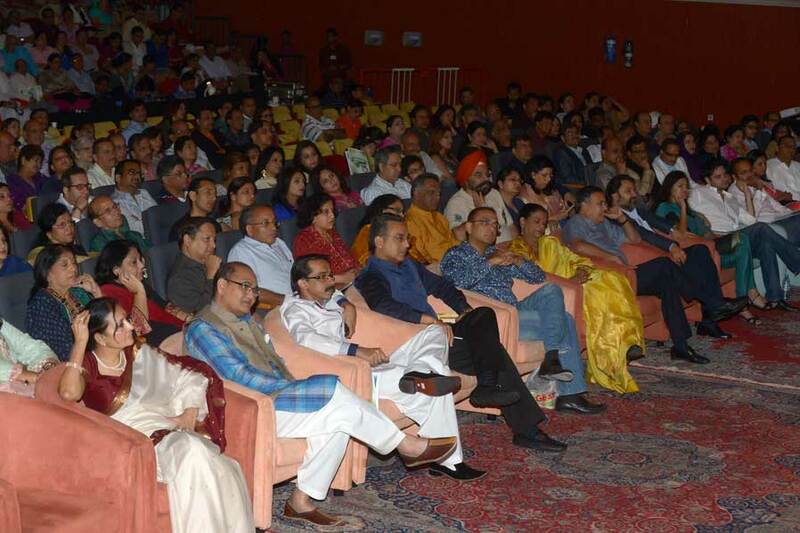 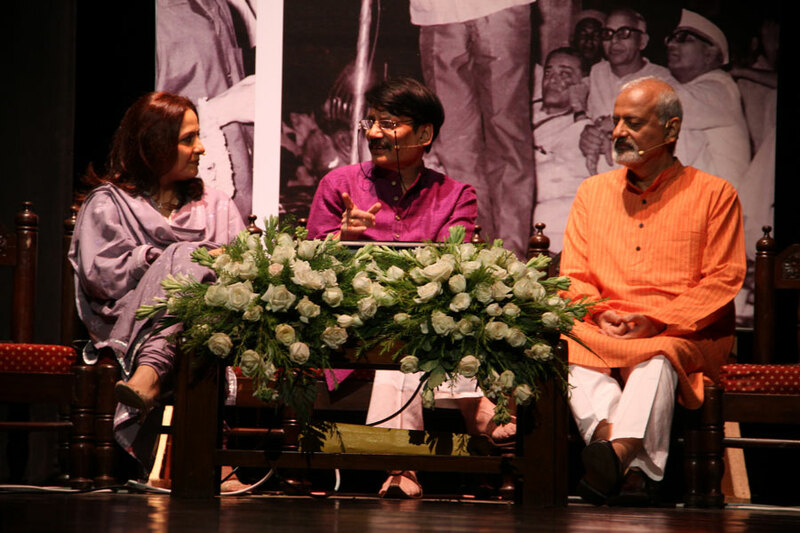 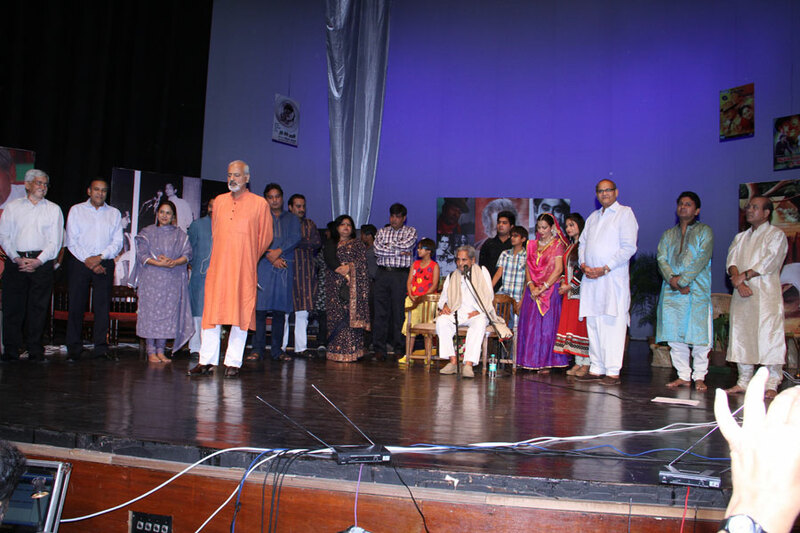 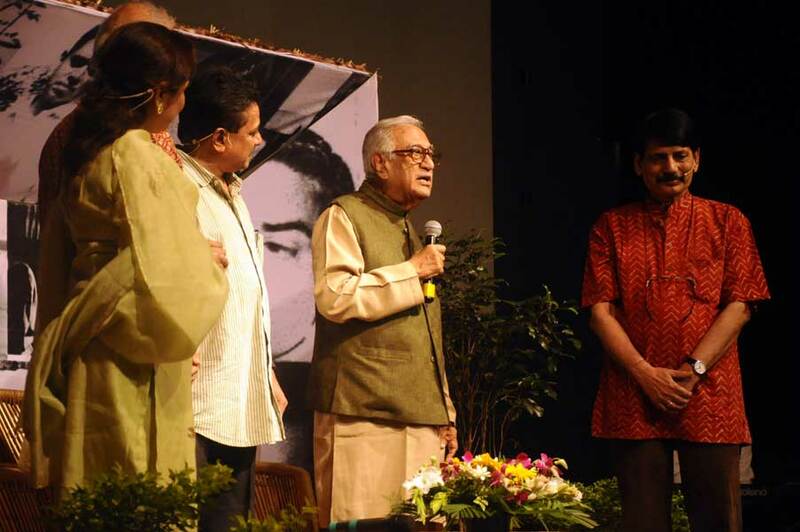 Ibaadat has till now staged 33 shows… in Delhi, Mumbai, Kolkata, Ludhiana, Jaipur and Dubai covering Majrooh Sultanpuri, Shailendra, Shakeel Badayuni, Gopal Das Neeraj, Rajinder Krishan, Hasrat Jaipuri and Sahir Ludhianvi. 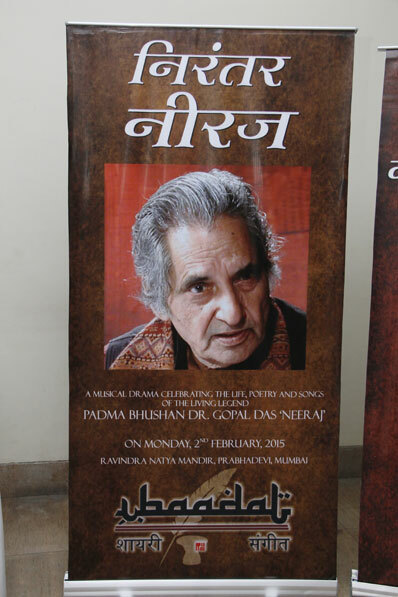 Work is currently in progress on several other poets. 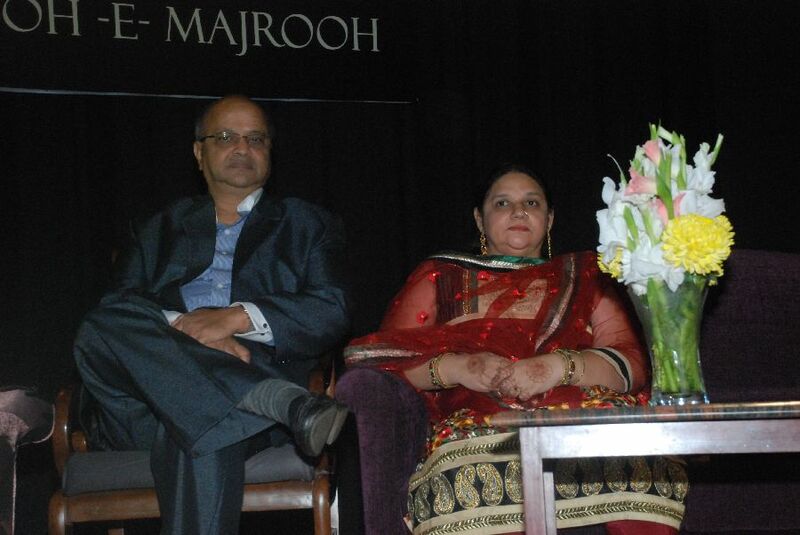 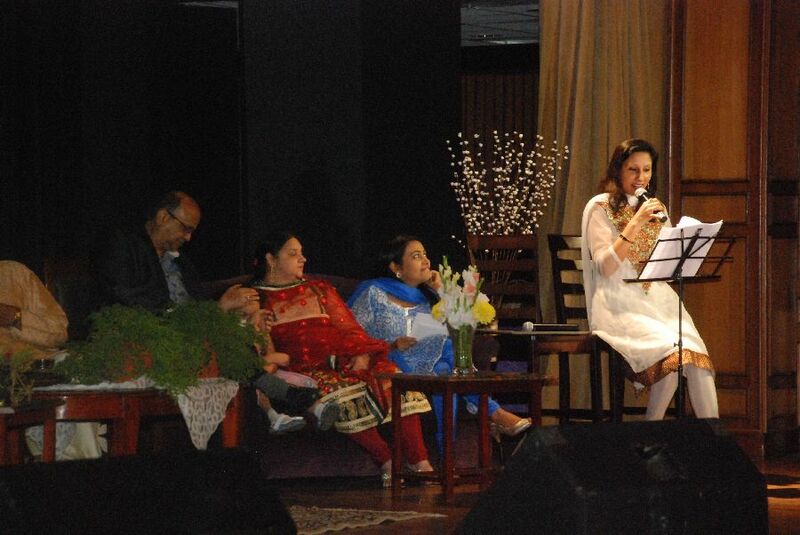 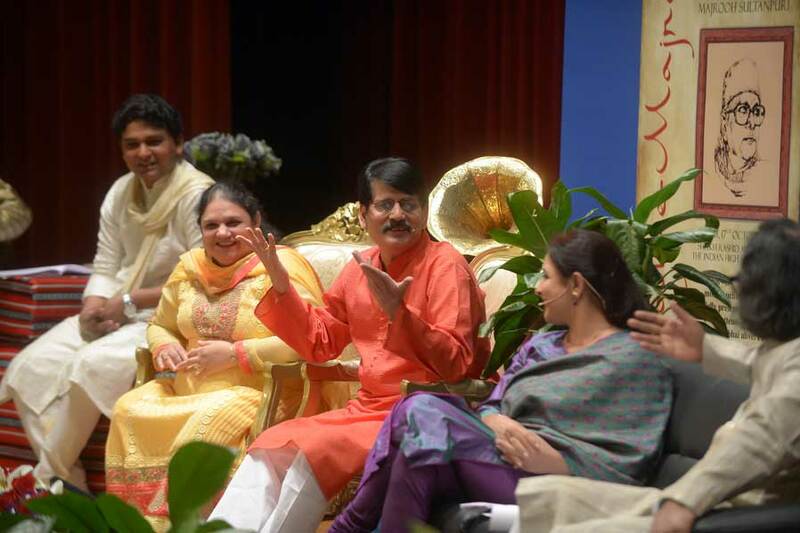 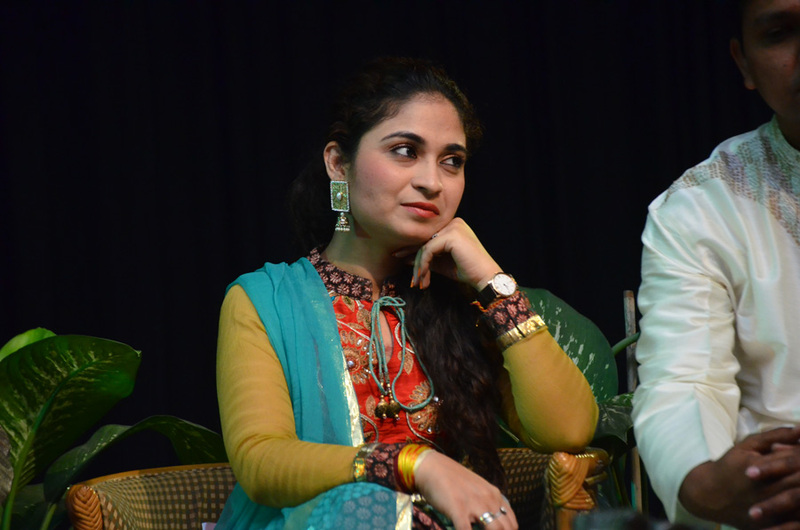 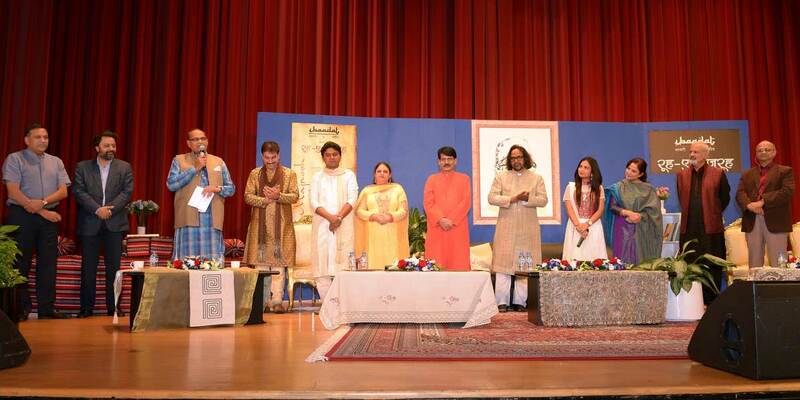 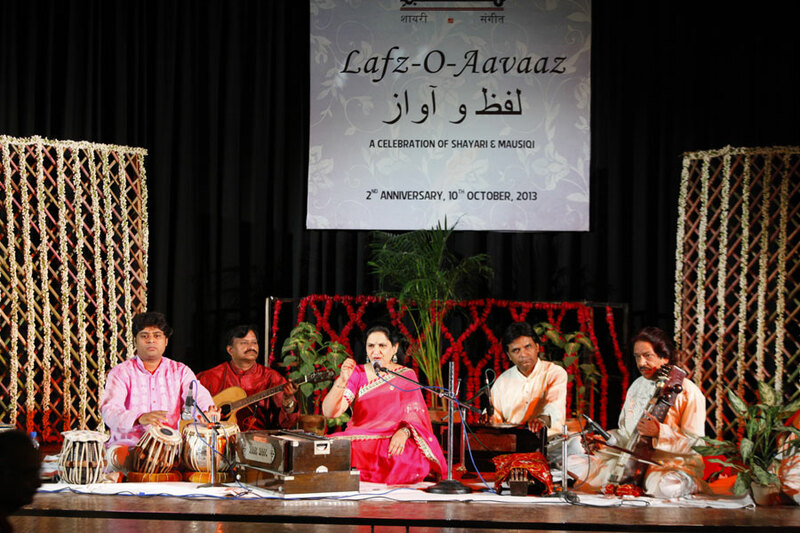 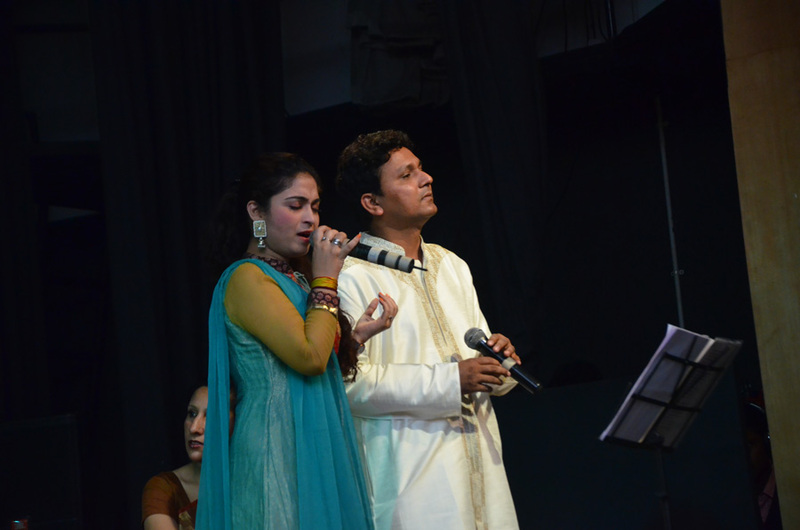 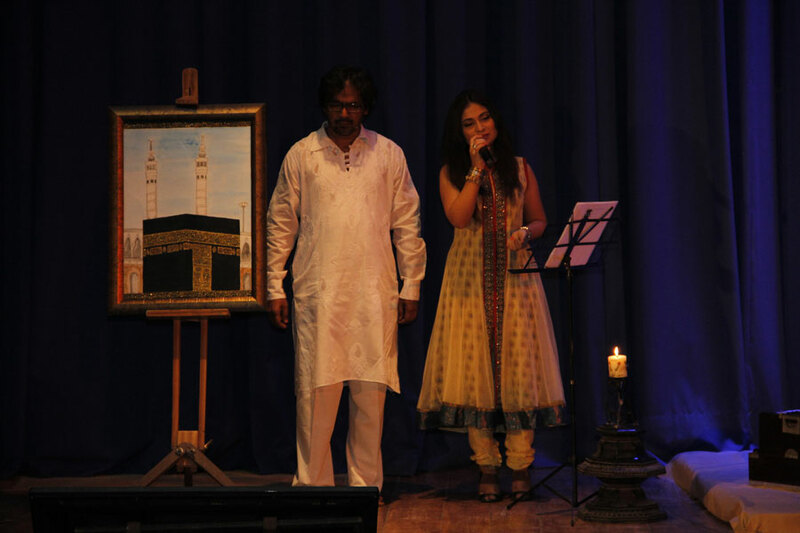 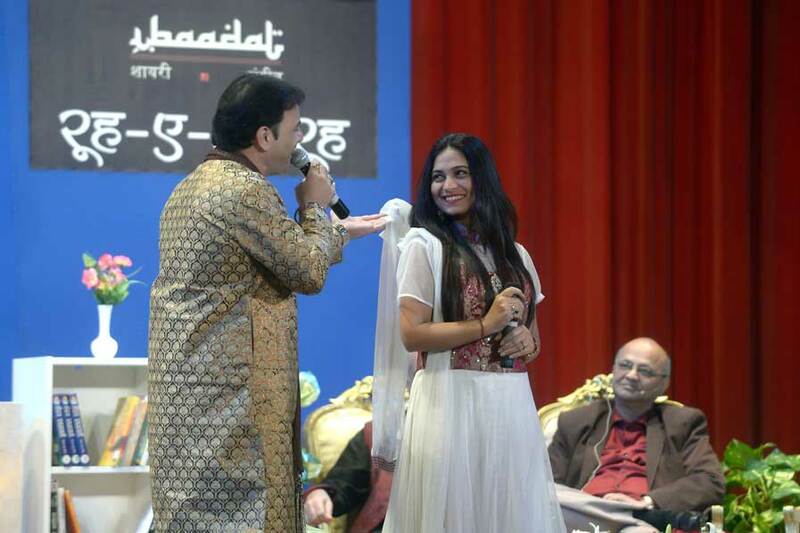 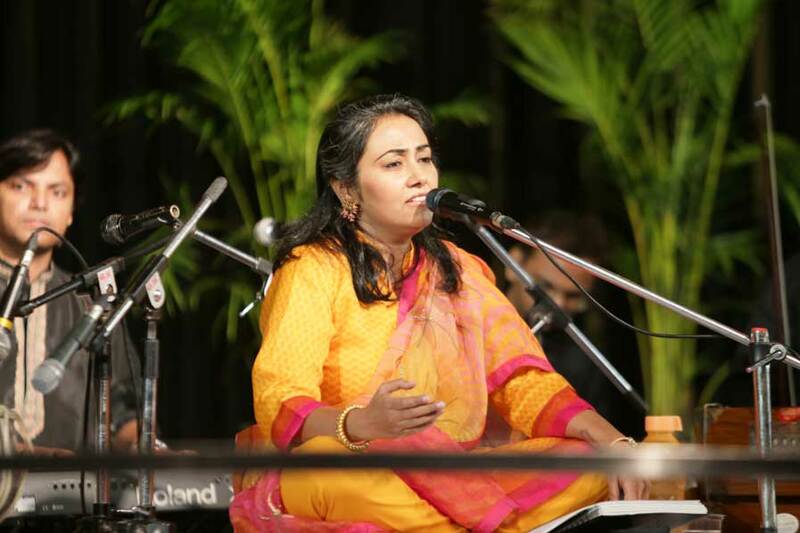 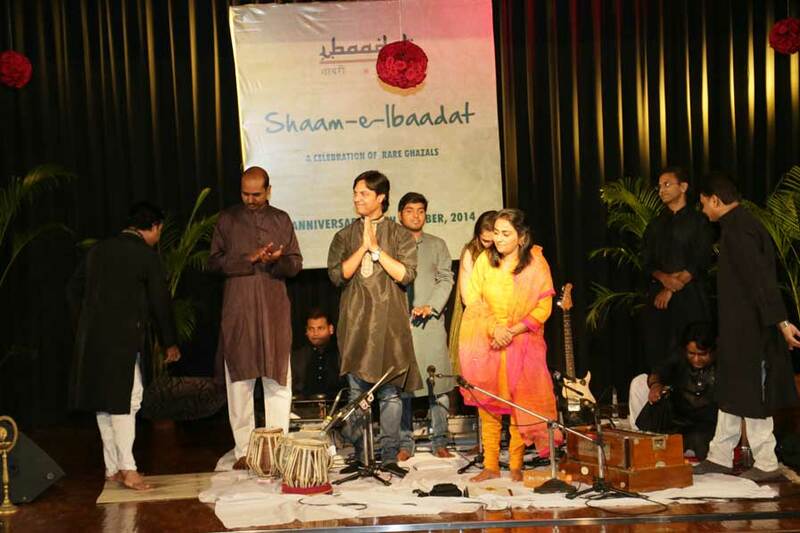 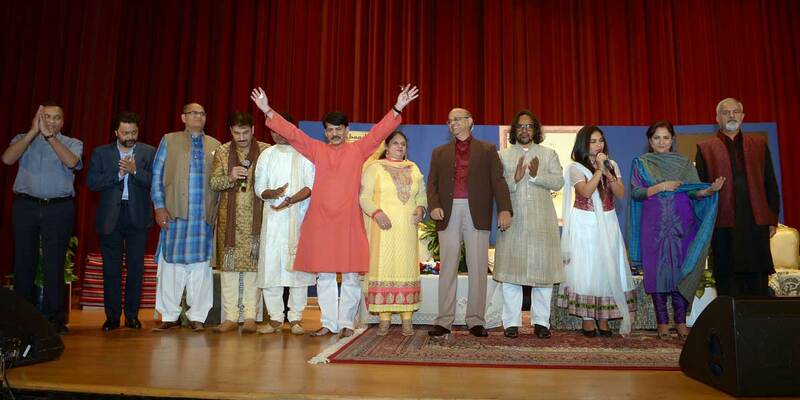 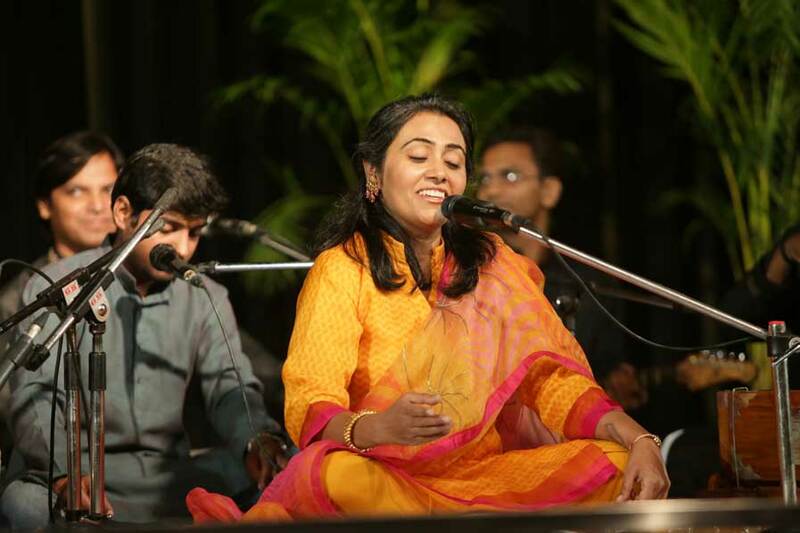 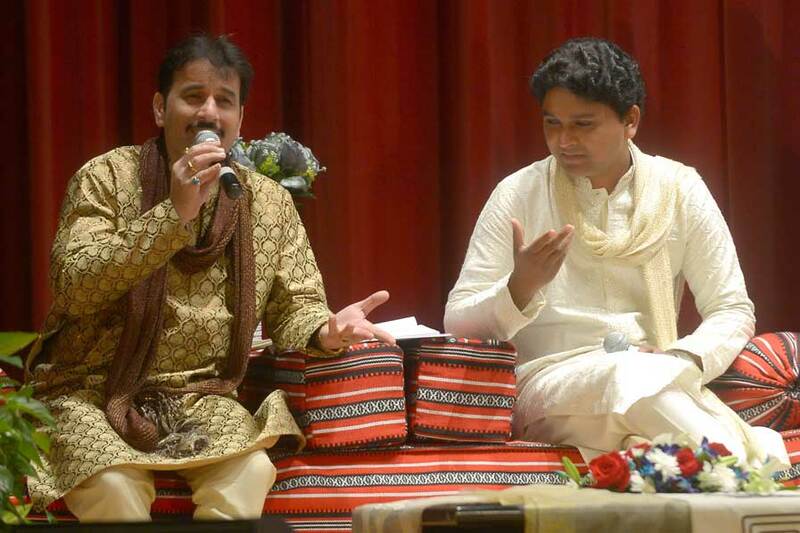 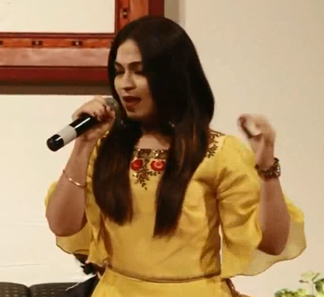 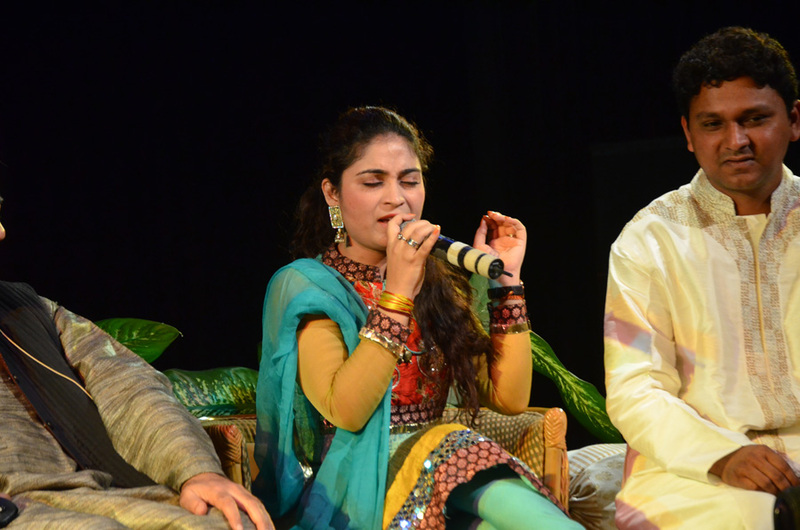 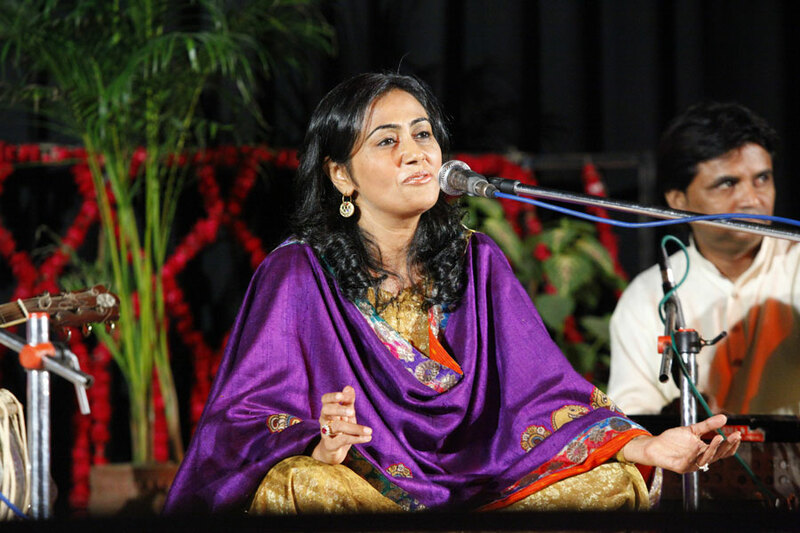 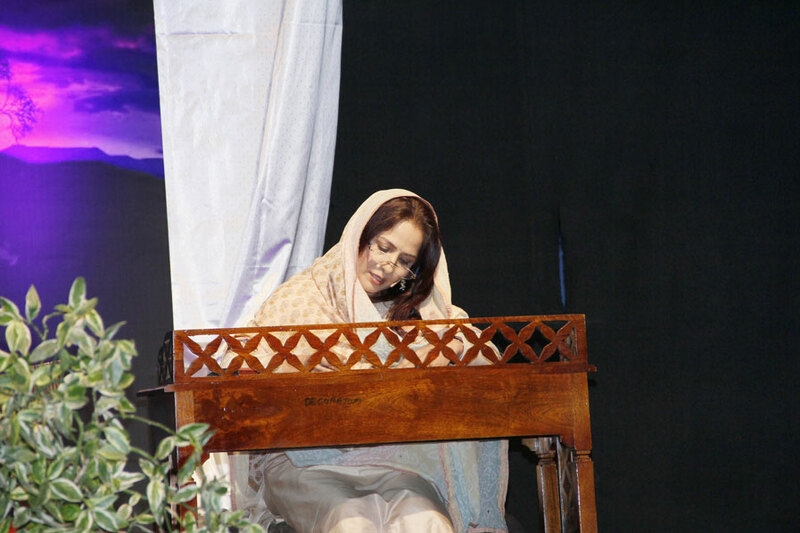 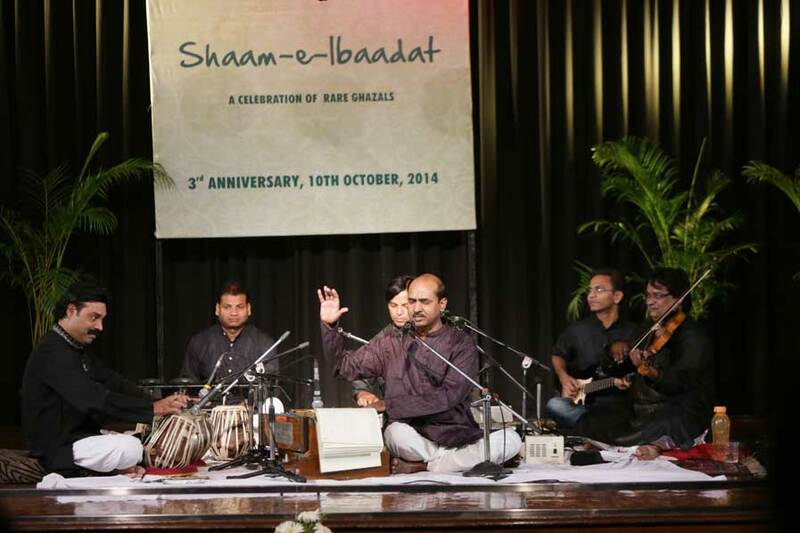 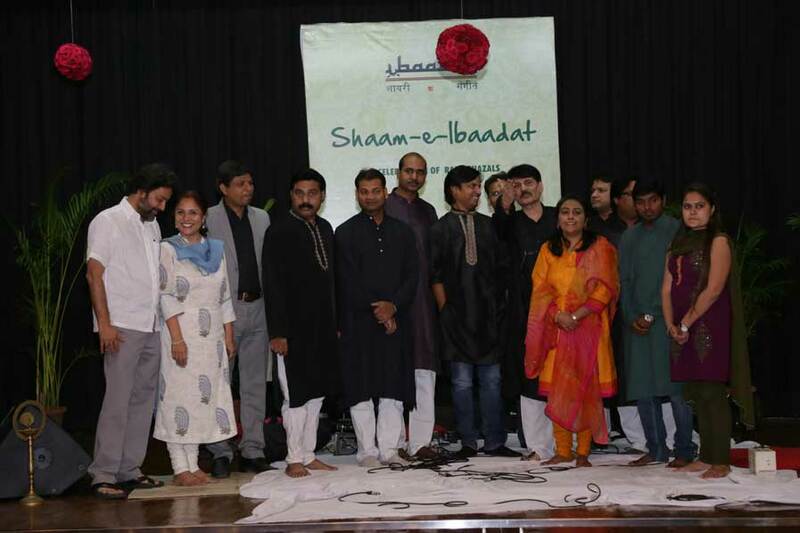 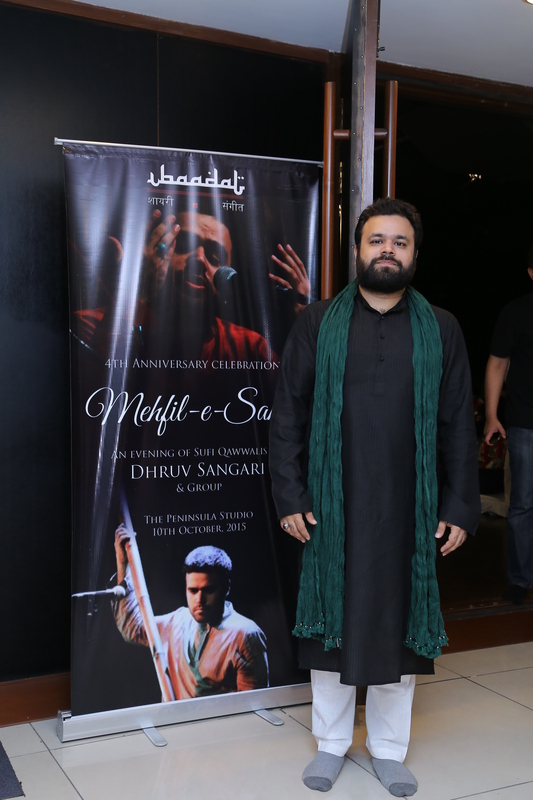 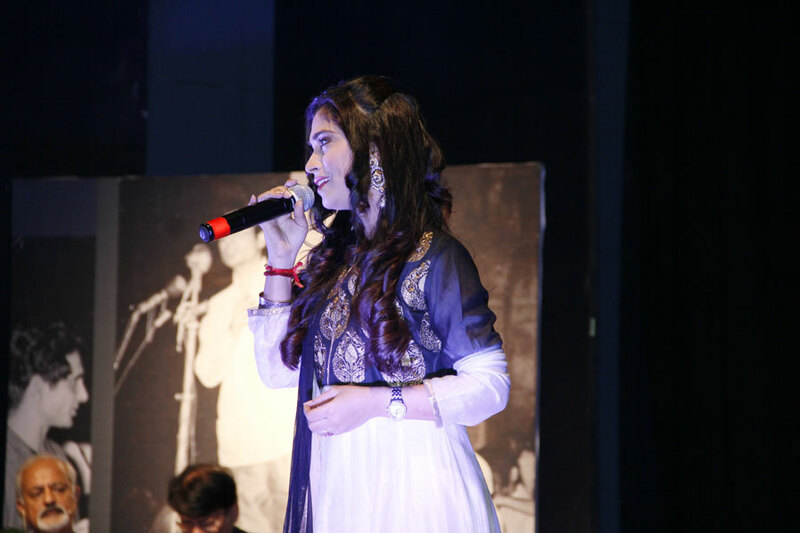 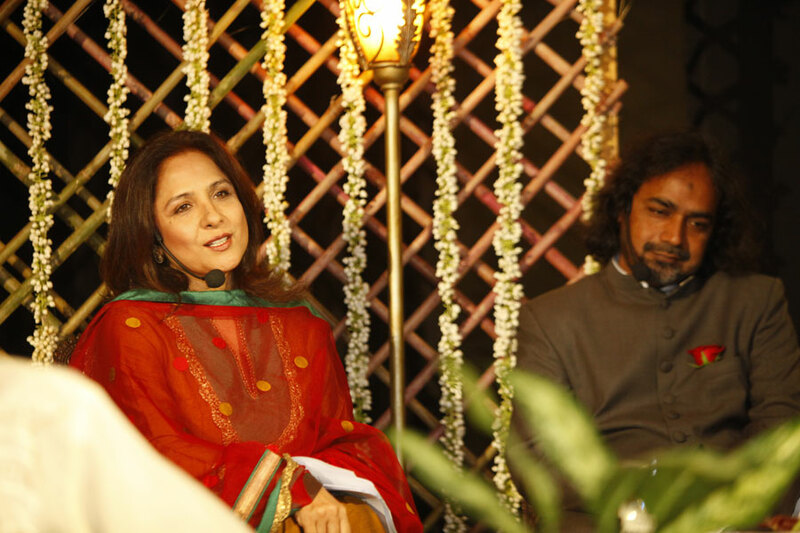 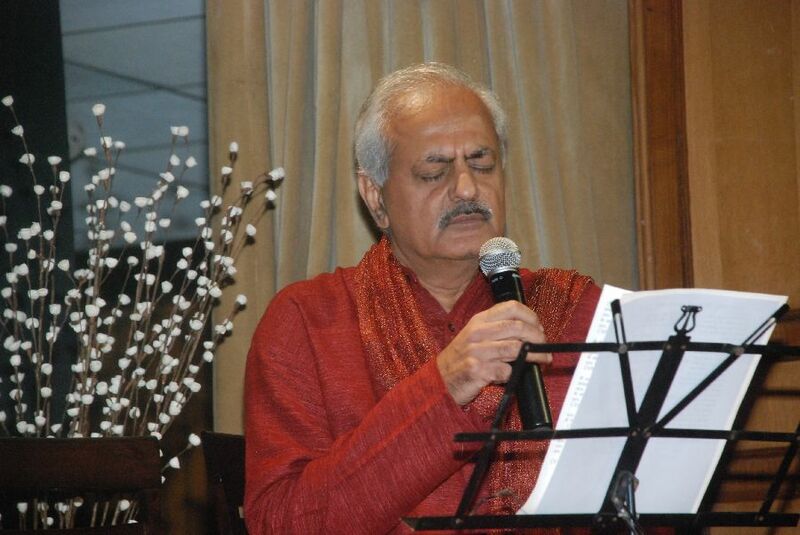 "This is undoubtedly the most touching, most beautifully presented mehfil I have ever attended. 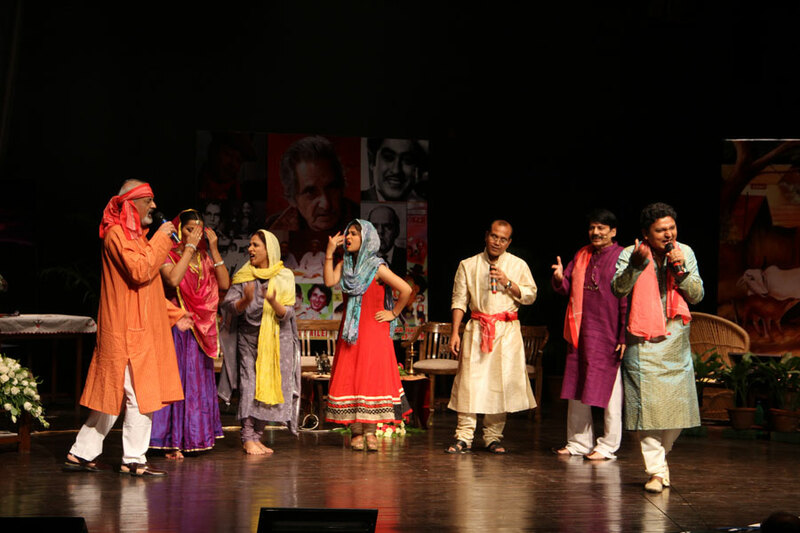 It brought Majroohbhai alive! 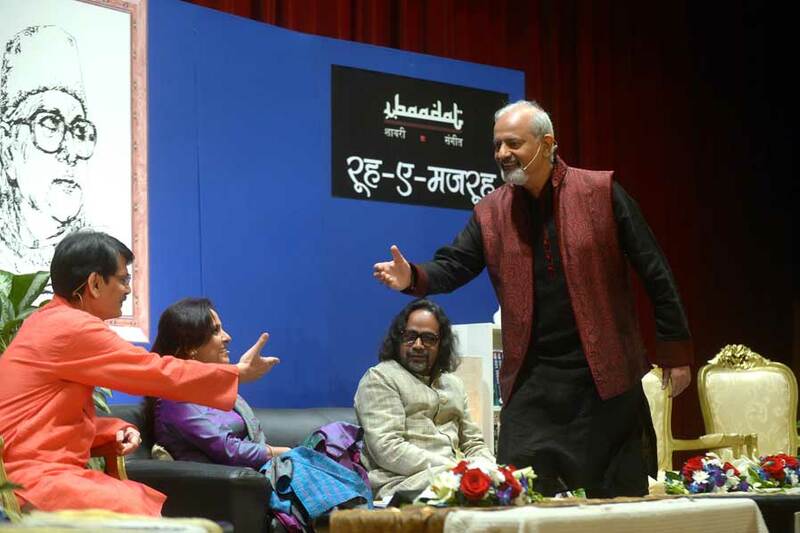 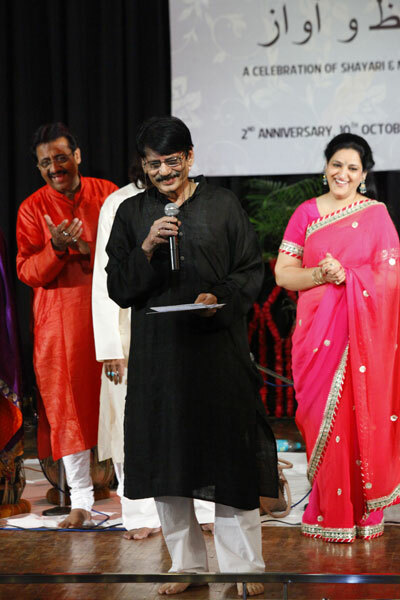 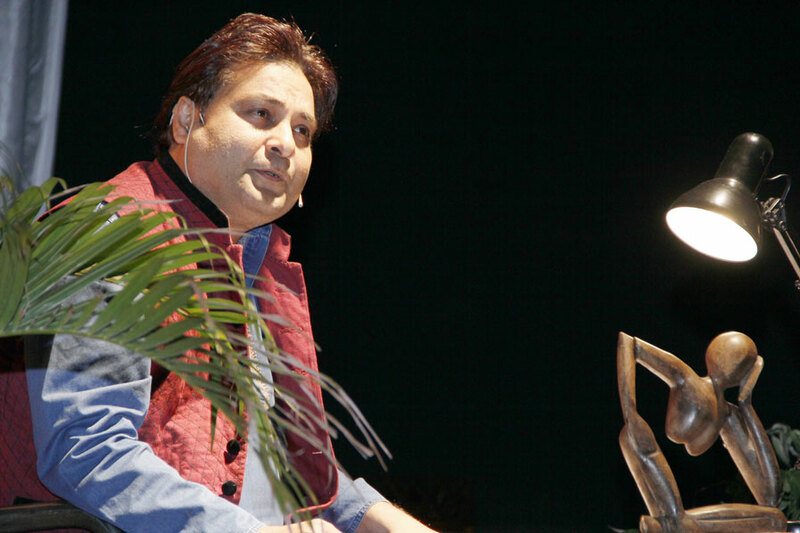 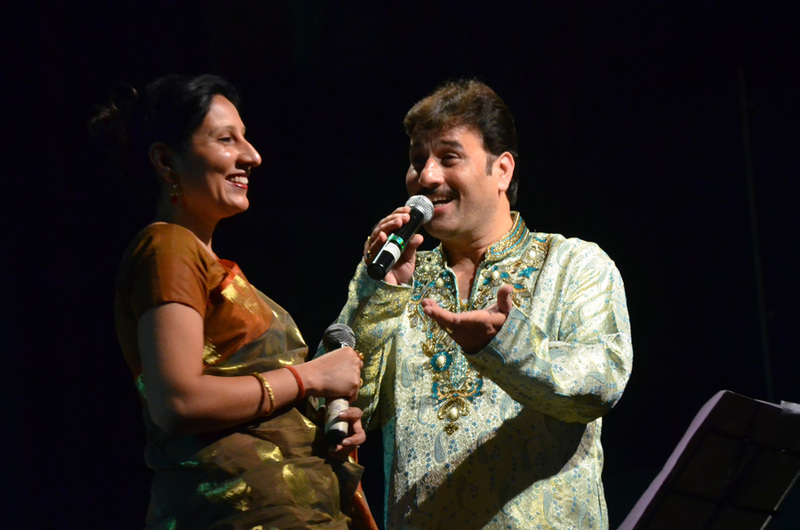 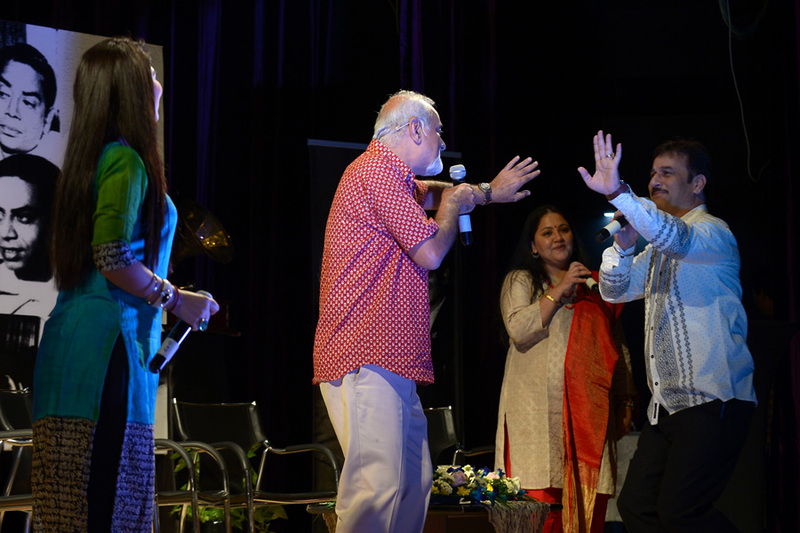 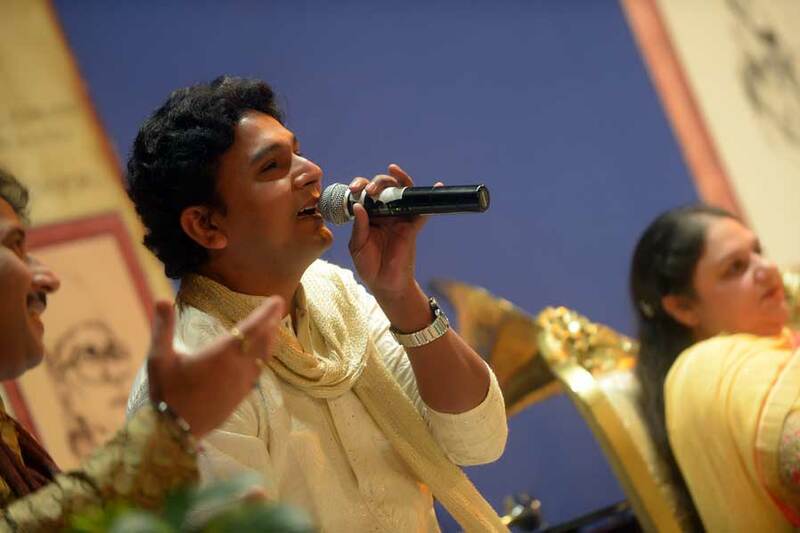 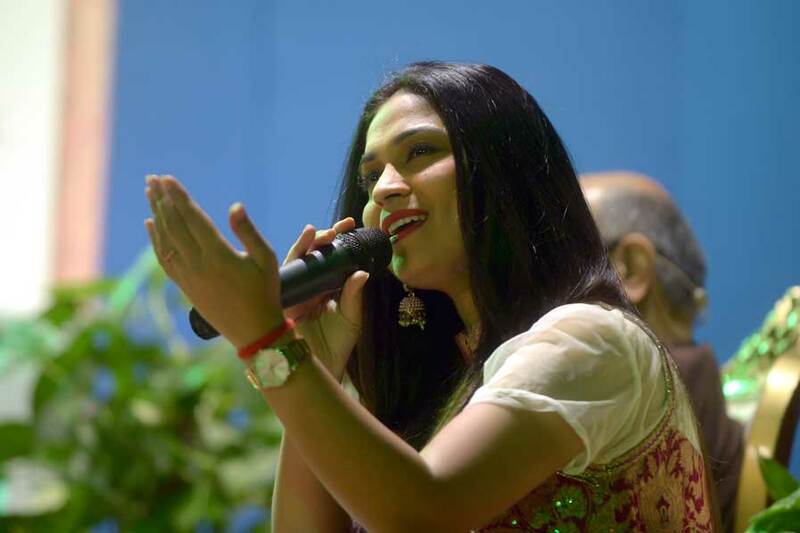 I have attended over 1200 shows but cannot remember even one close enough to this one." 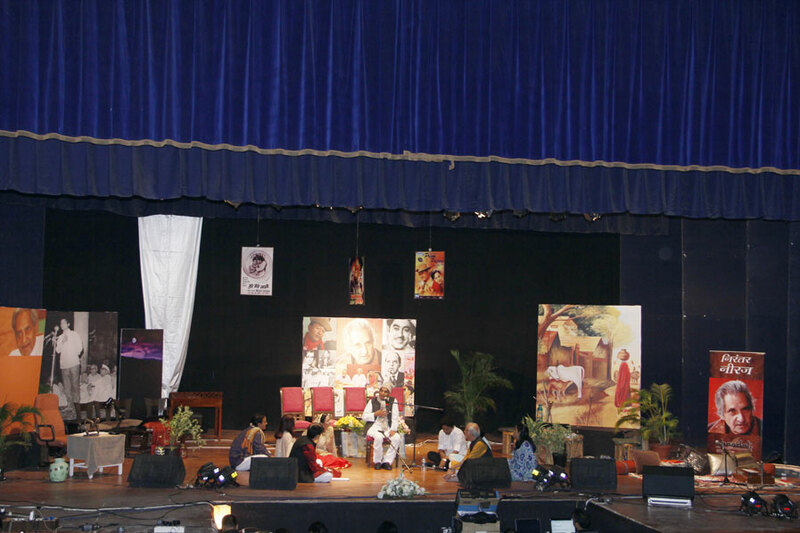 "An exemplary event. 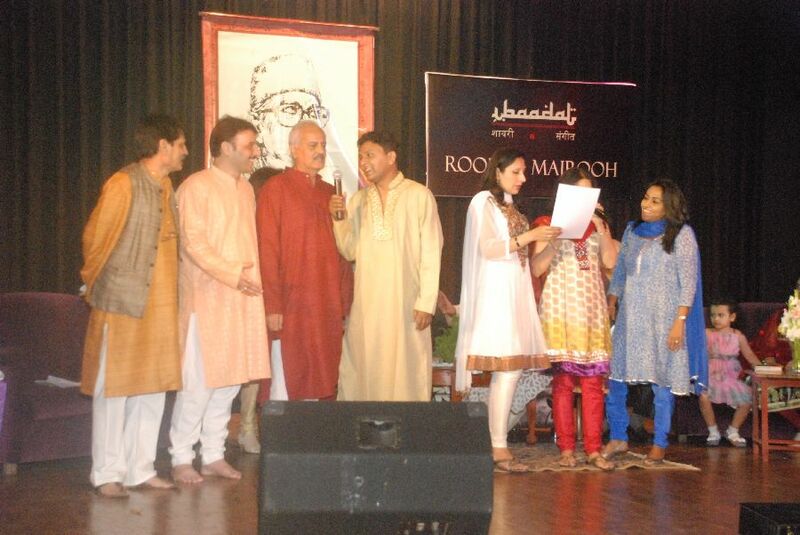 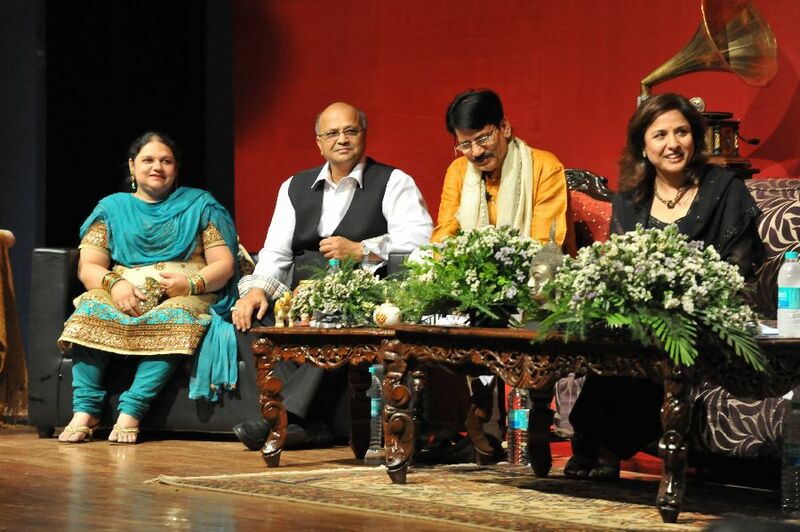 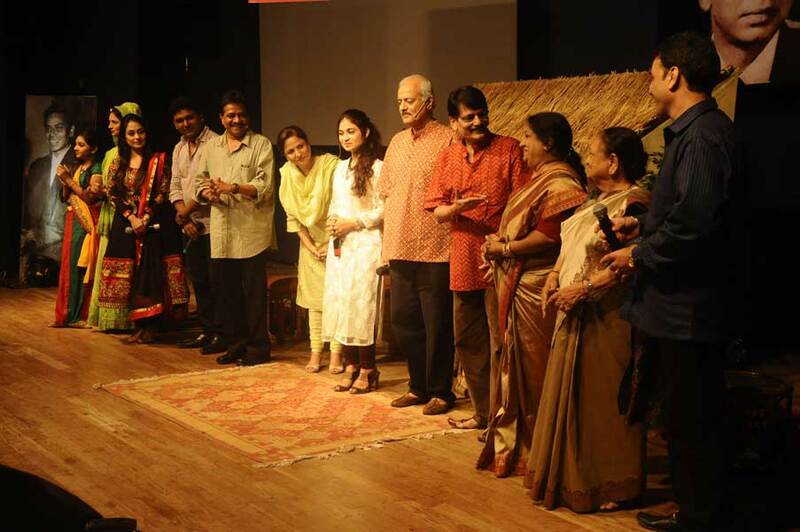 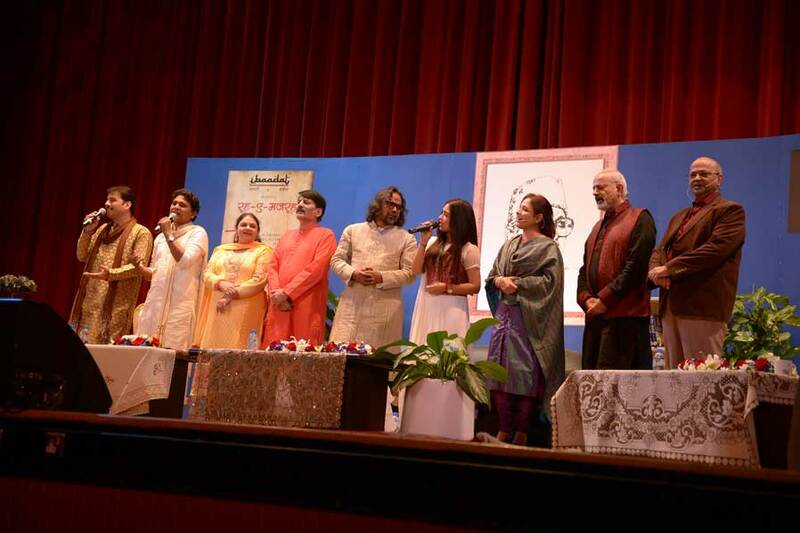 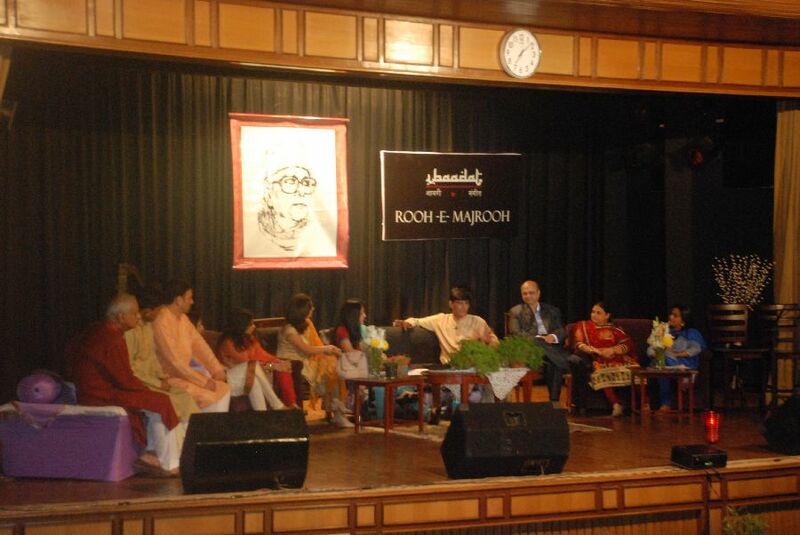 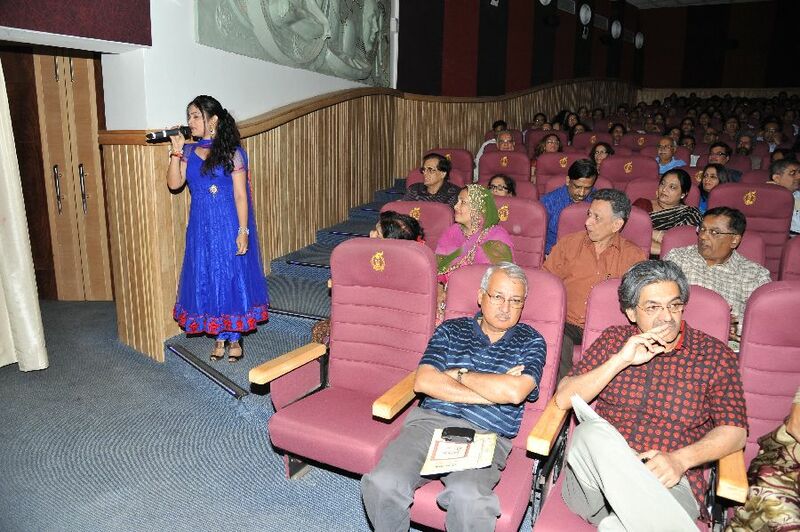 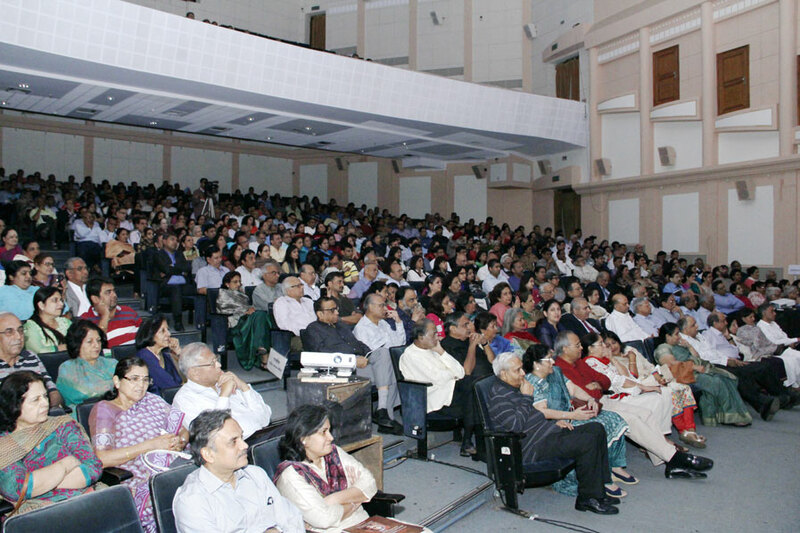 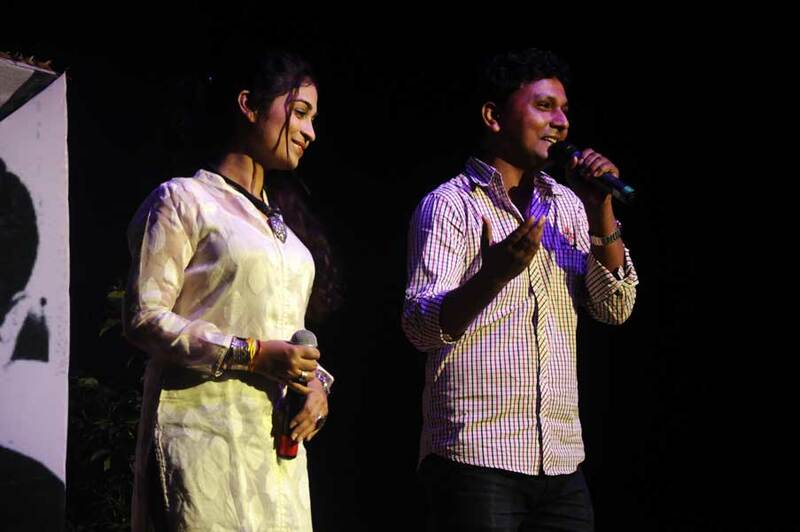 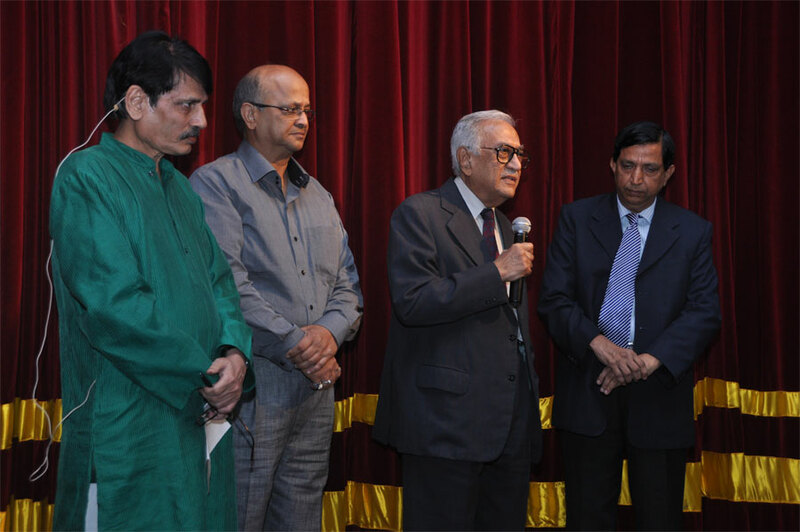 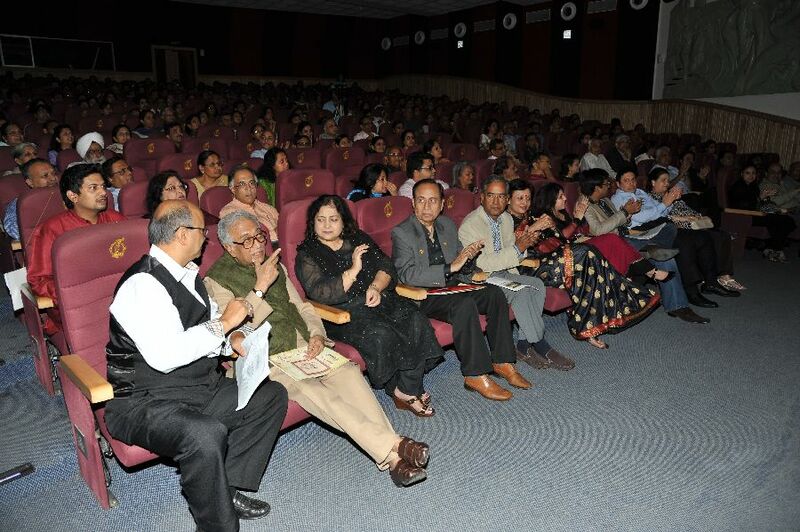 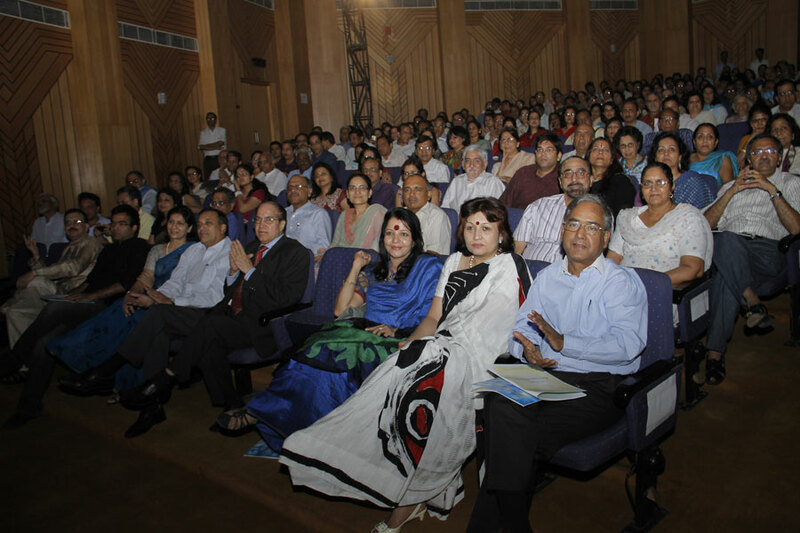 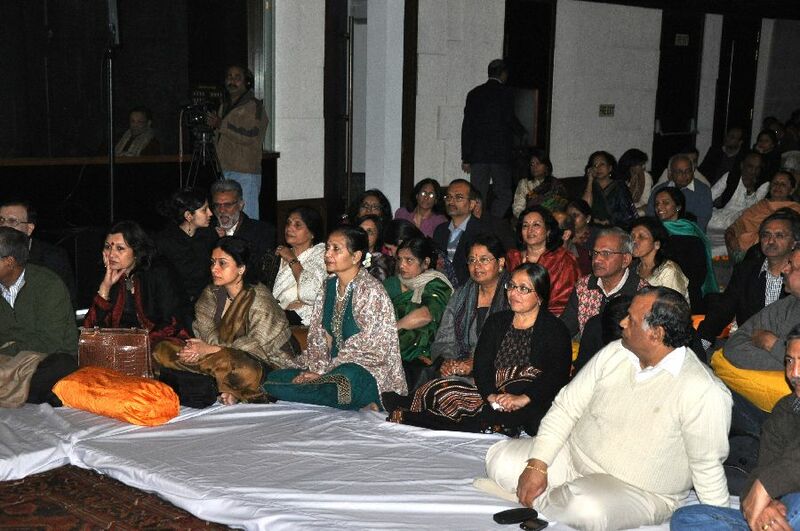 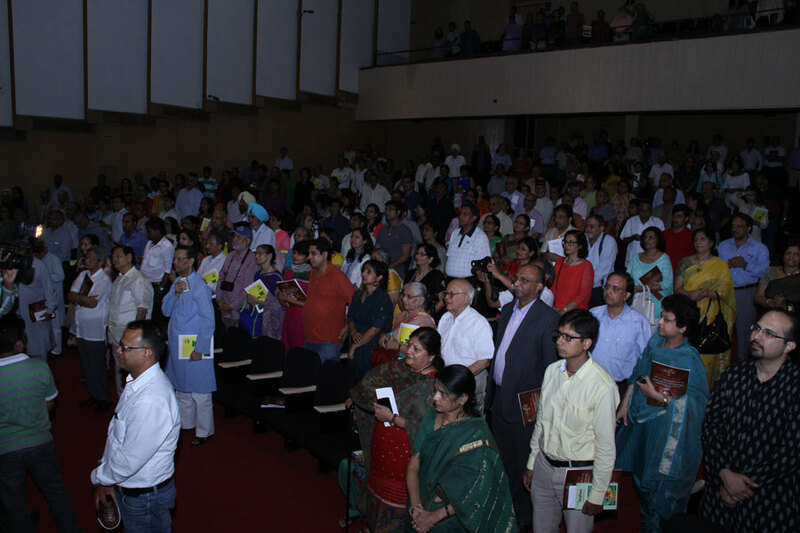 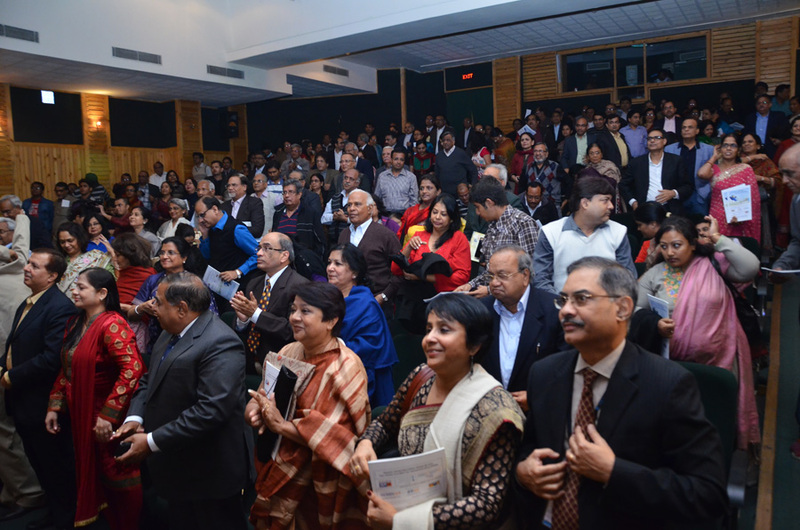 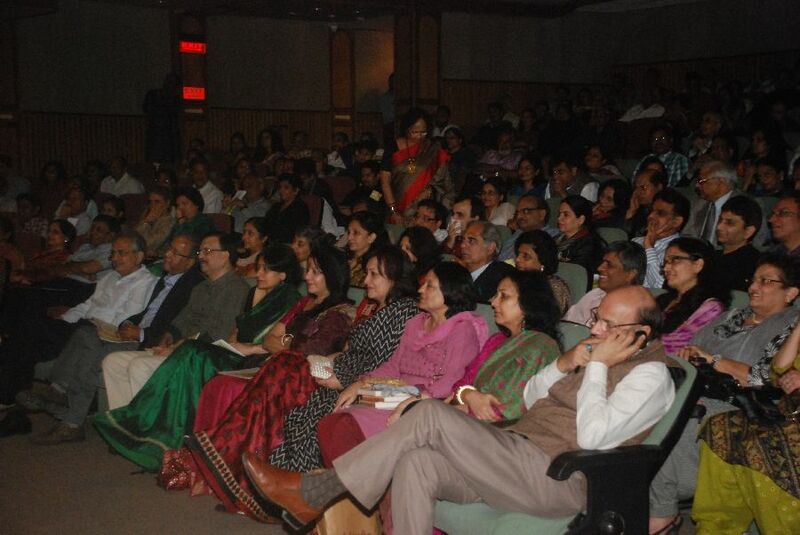 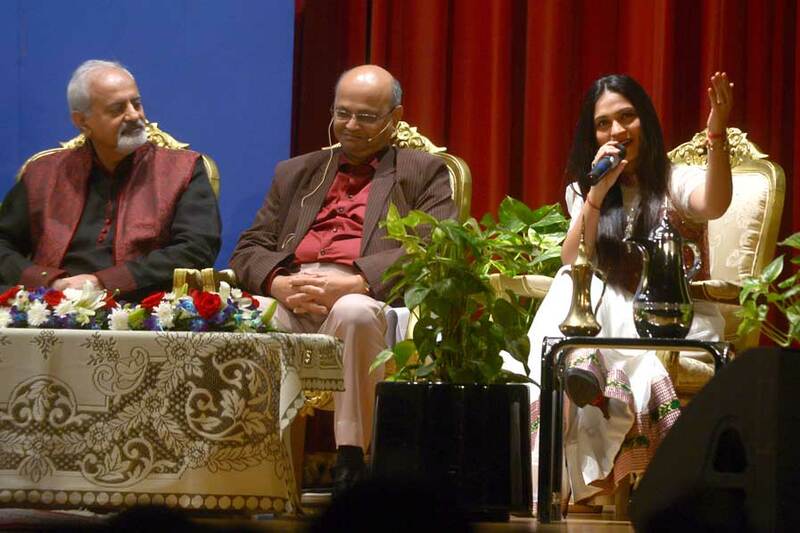 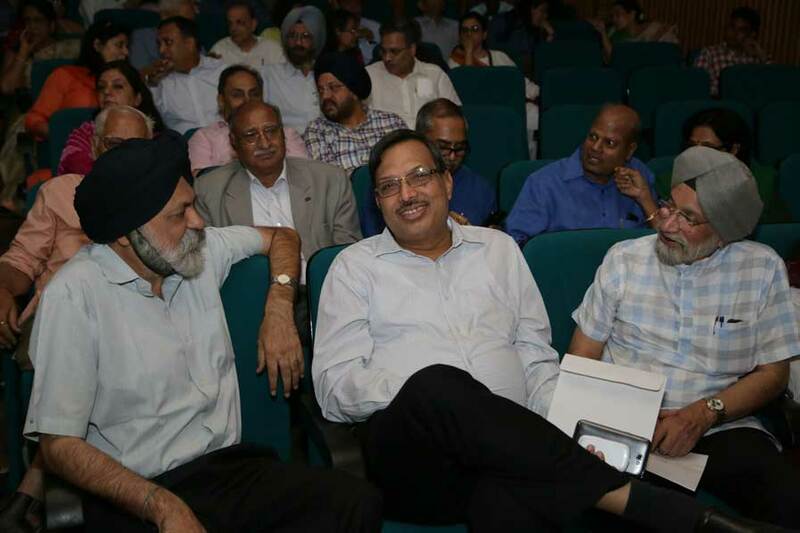 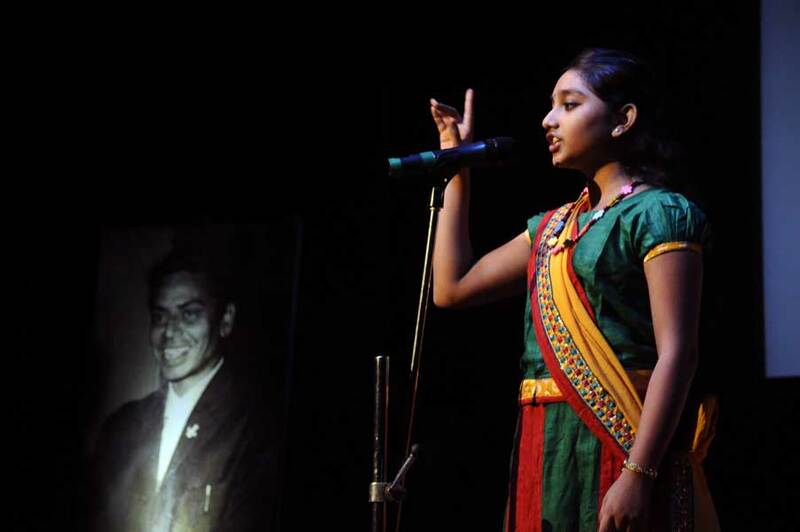 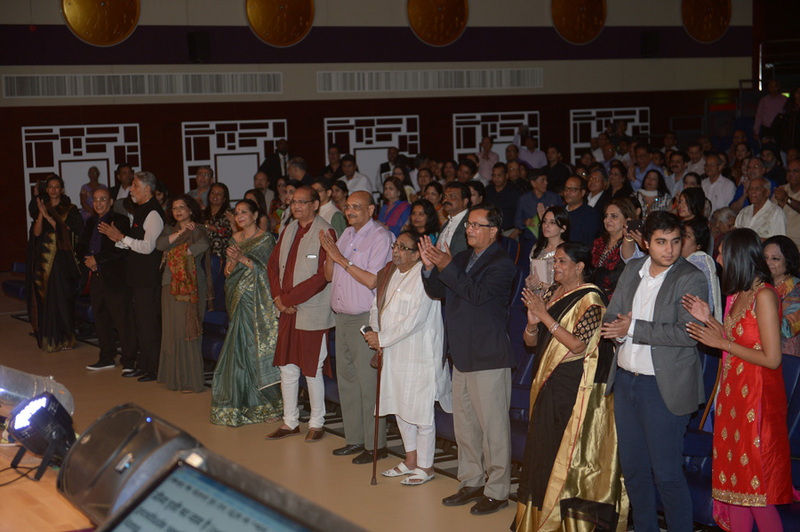 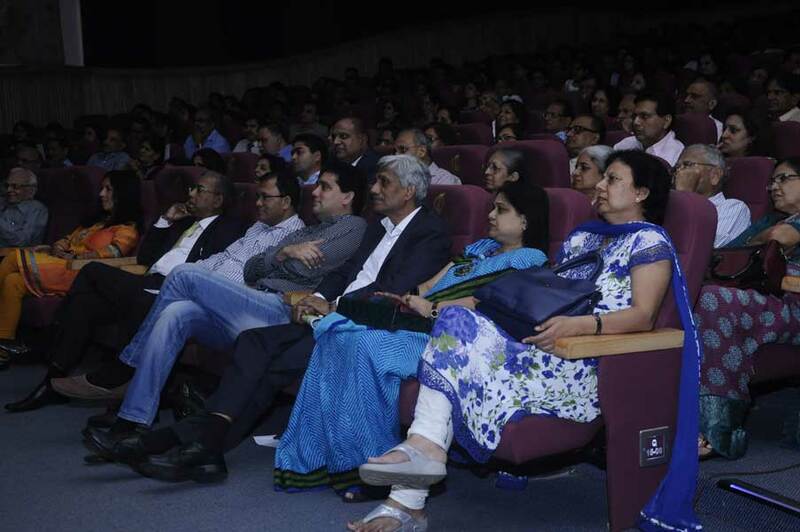 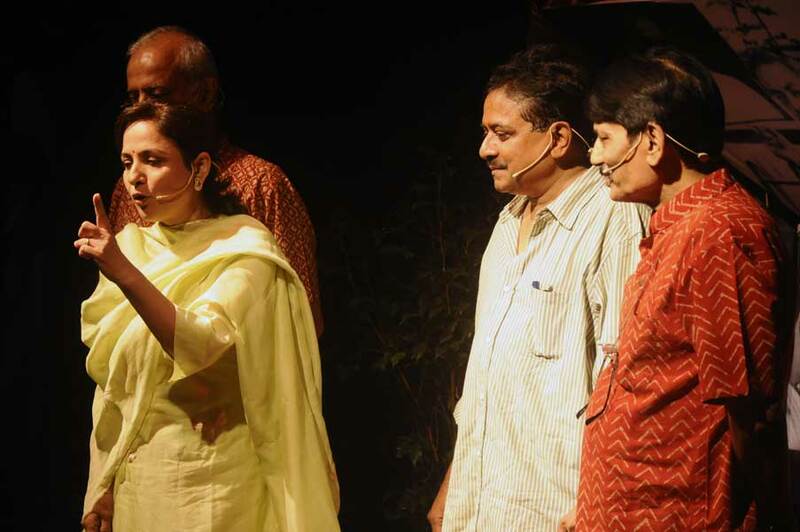 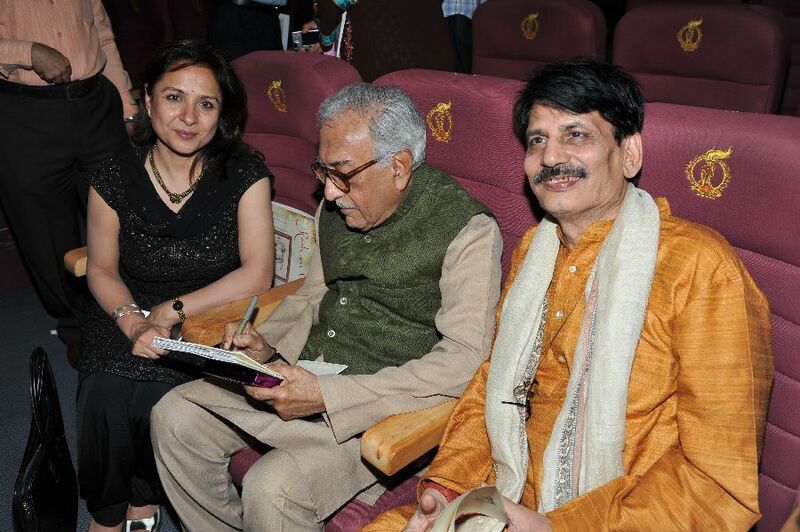 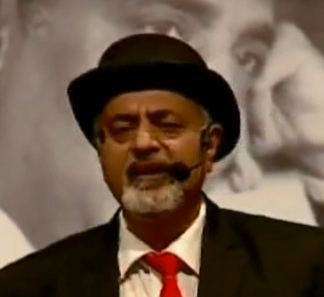 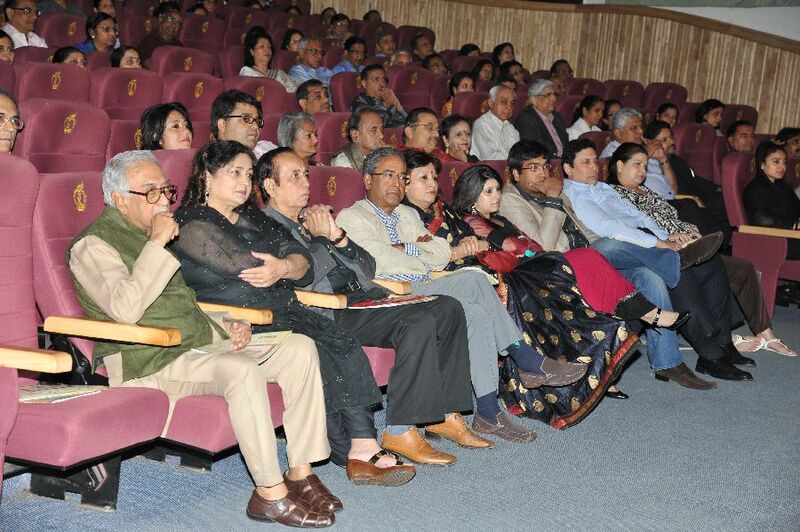 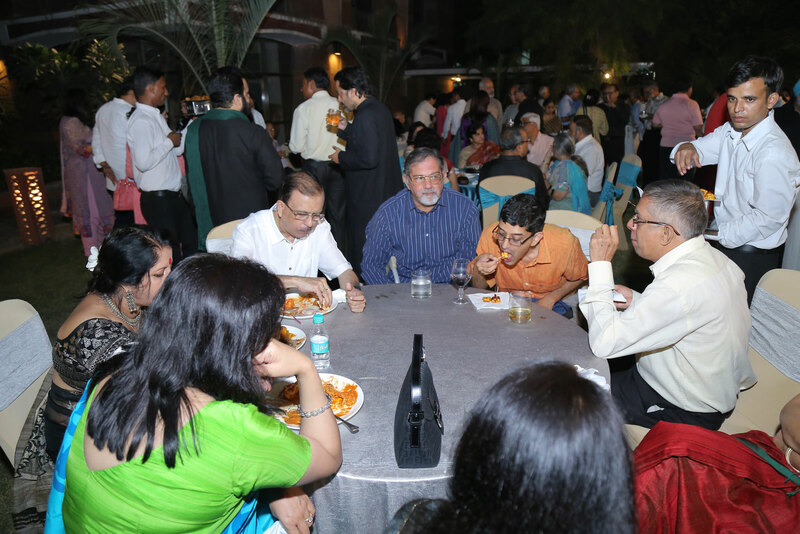 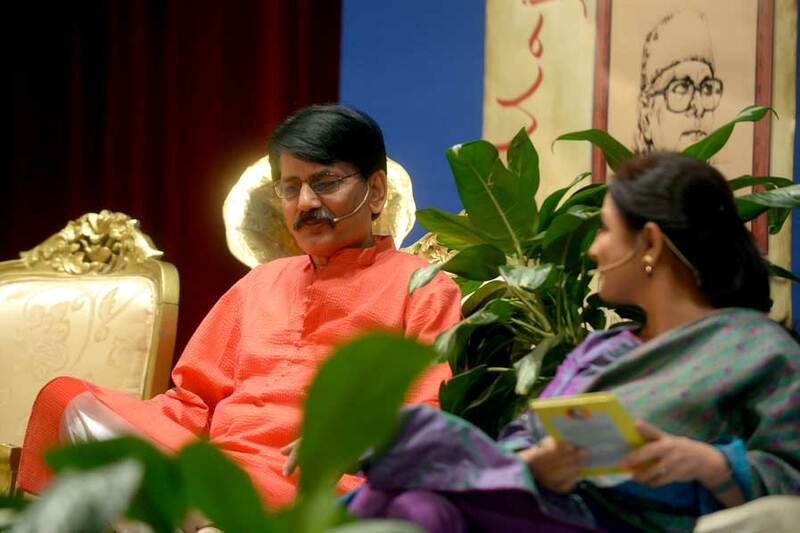 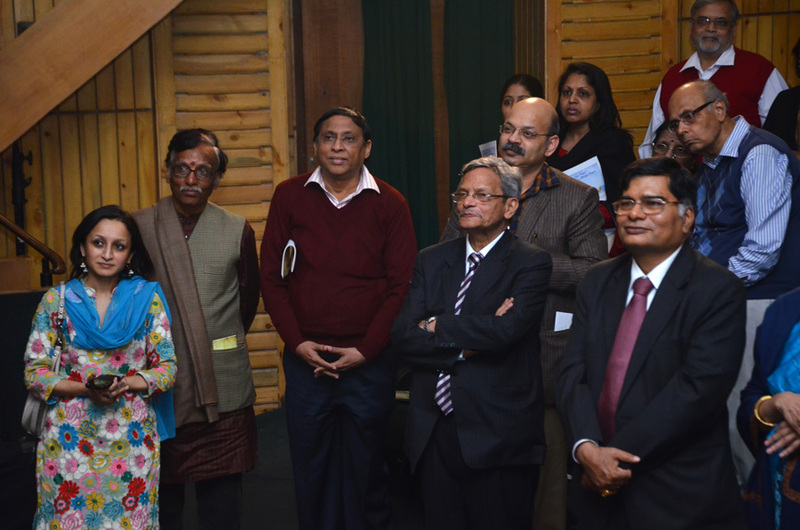 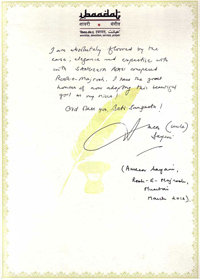 An outstanding effort to bring poetry back to life…in fact a great service to revive values. 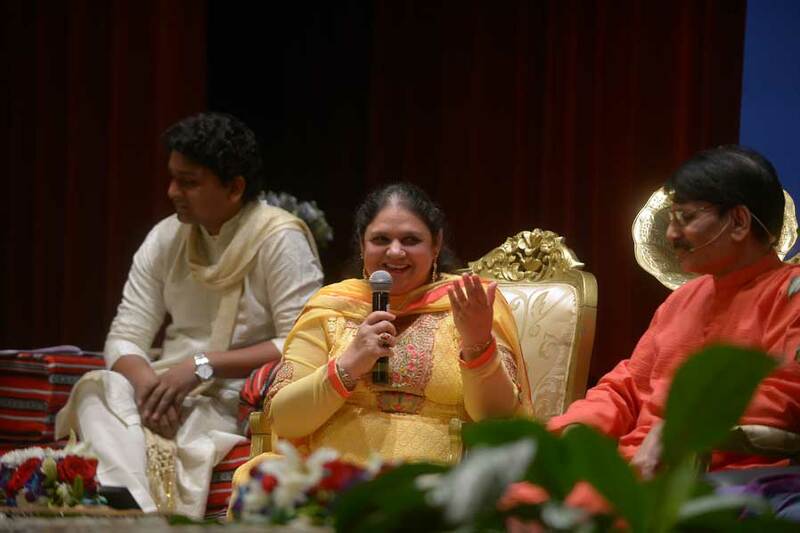 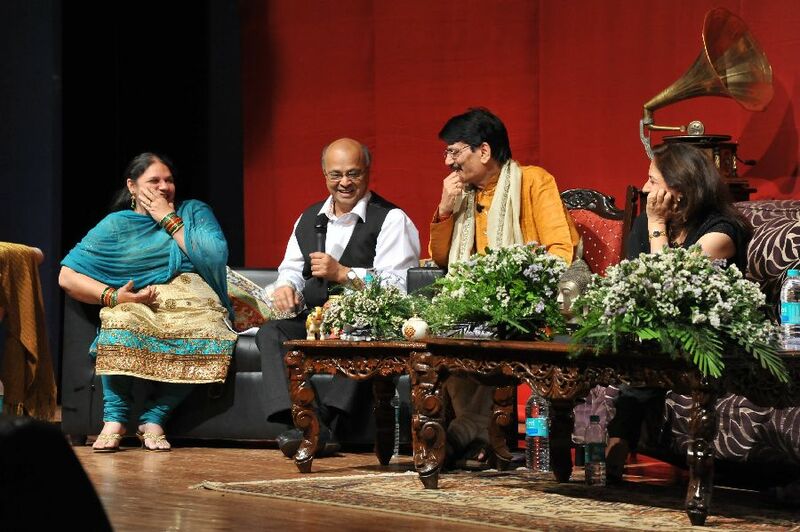 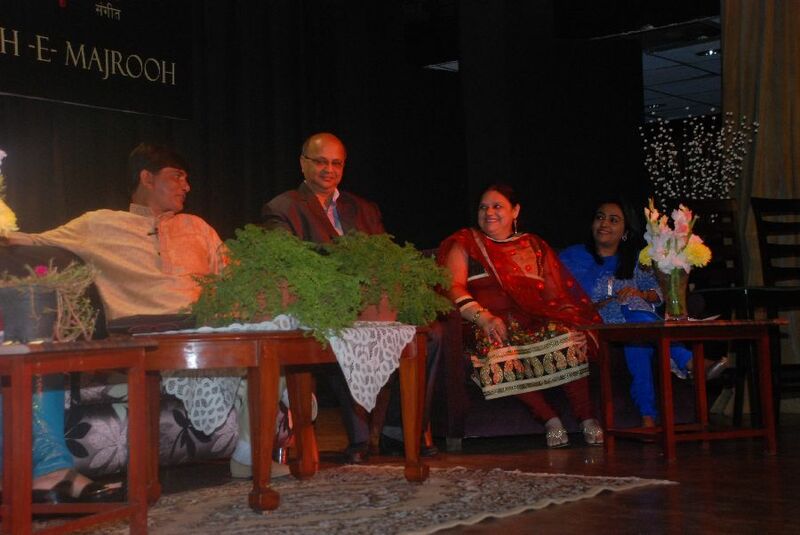 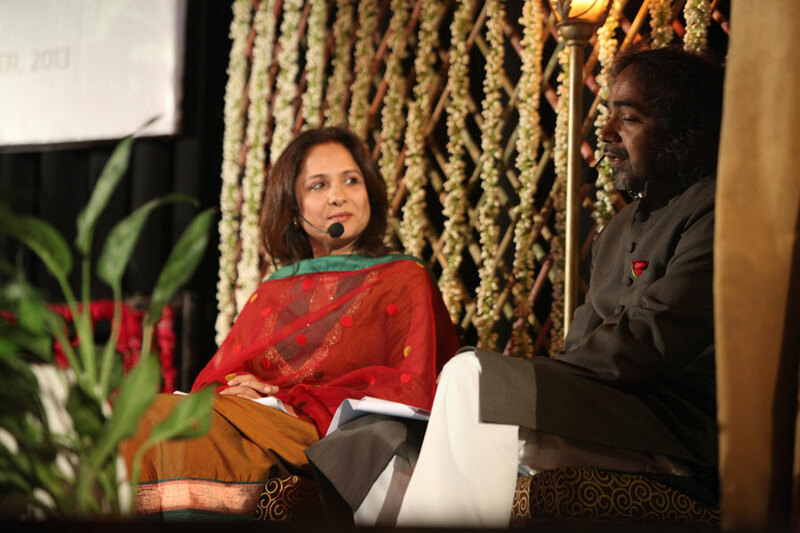 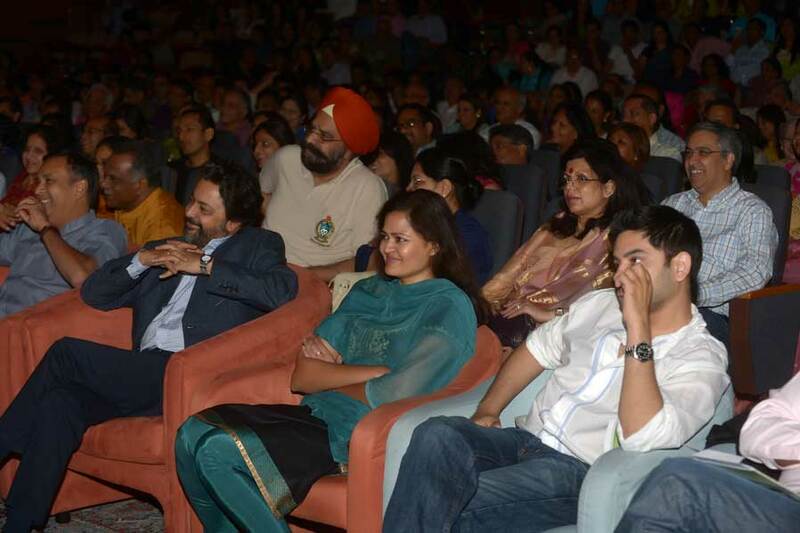 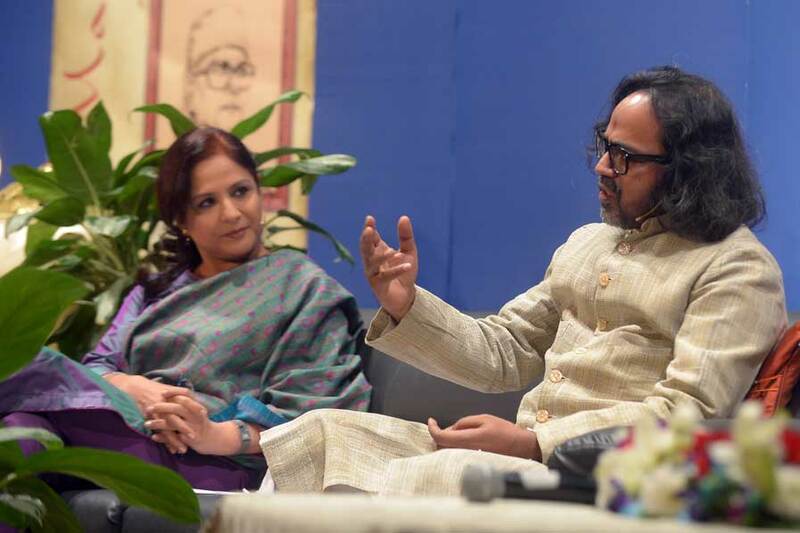 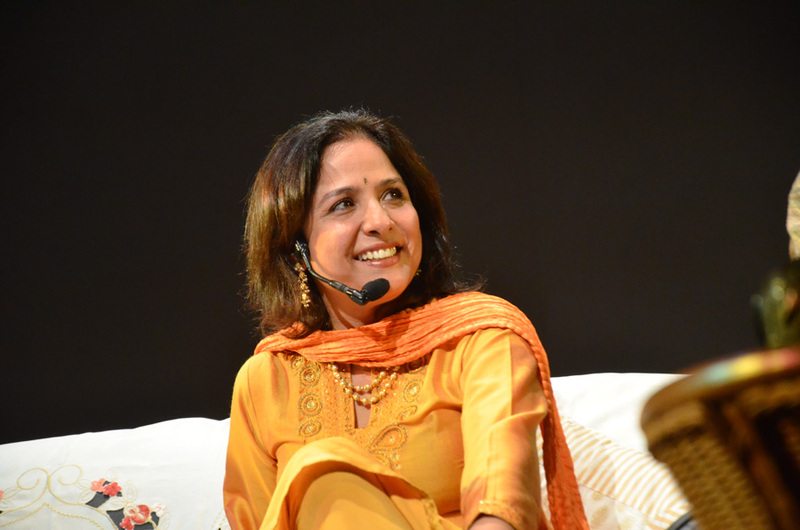 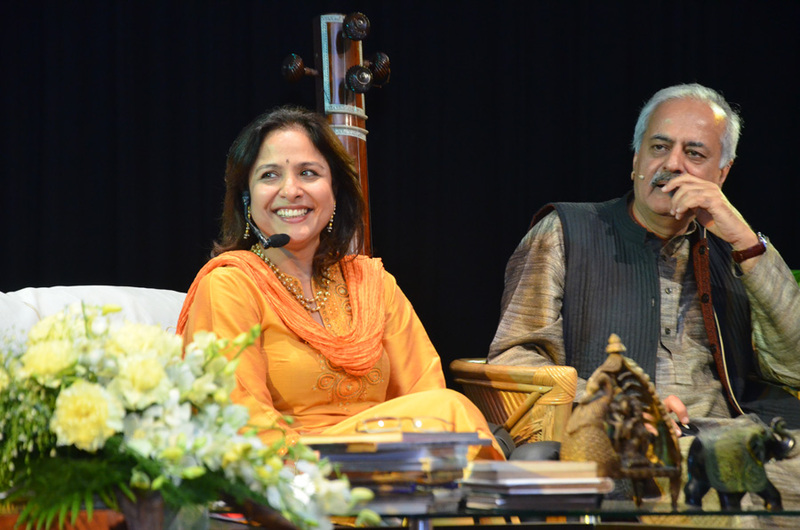 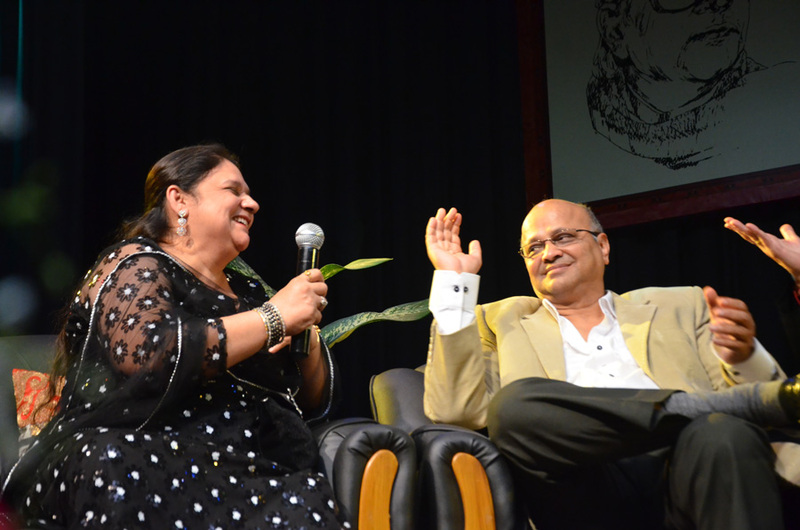 Thoroughly enjoyable, thoroughly inspiring evening."